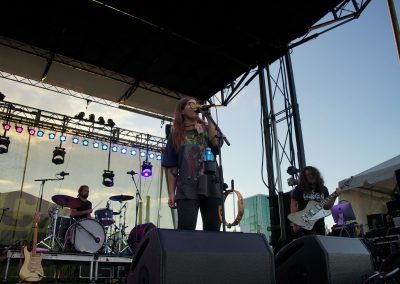 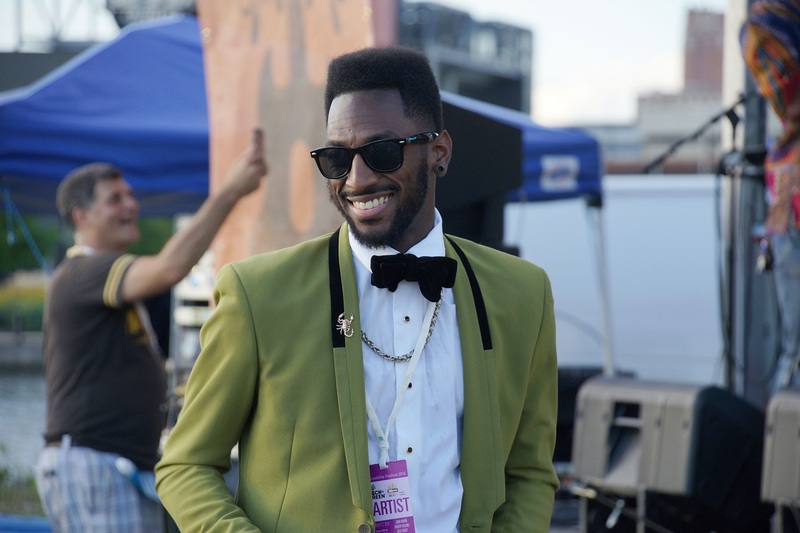 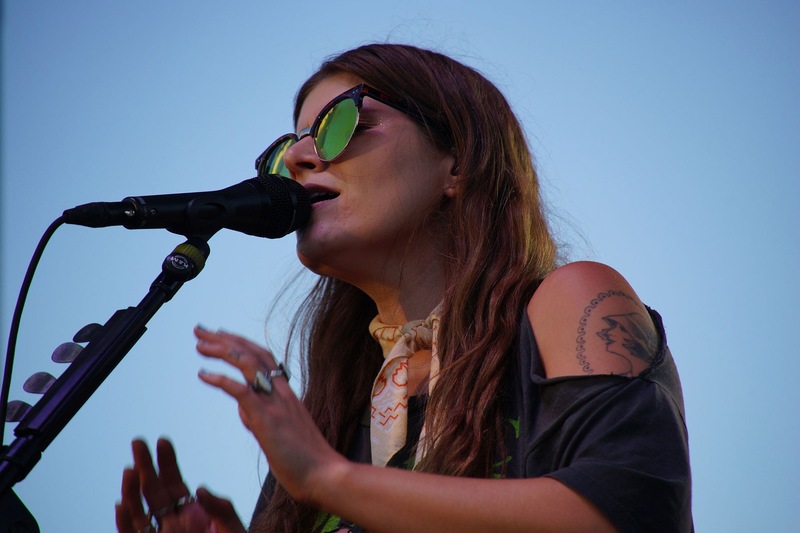 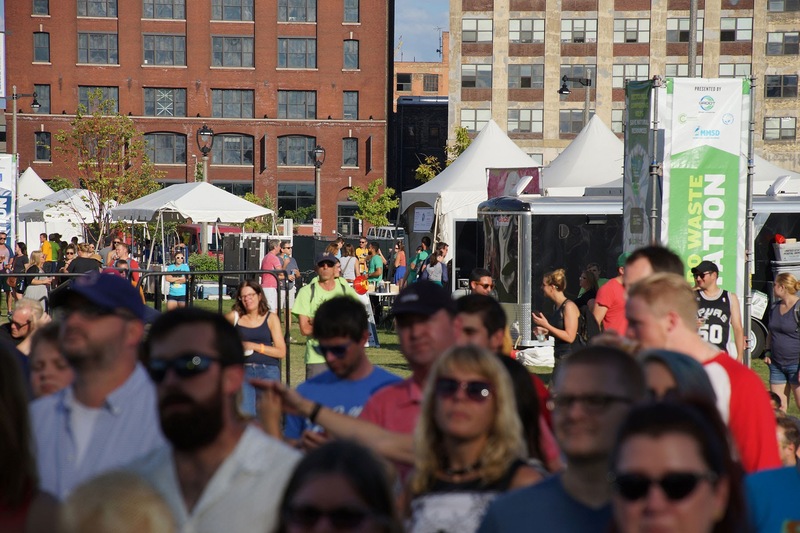 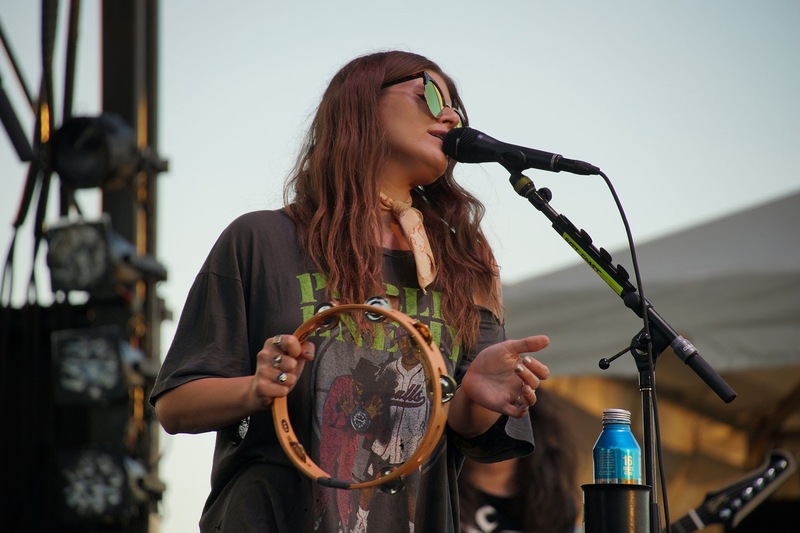 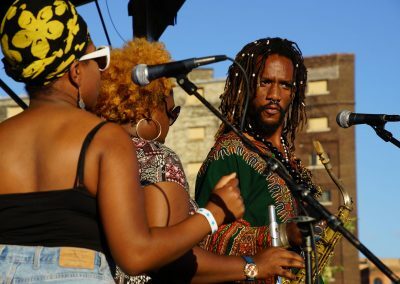 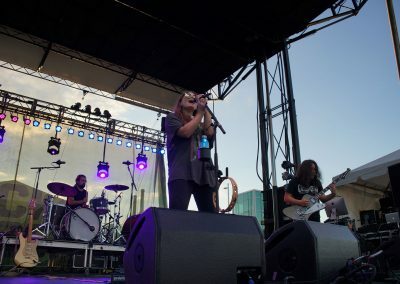 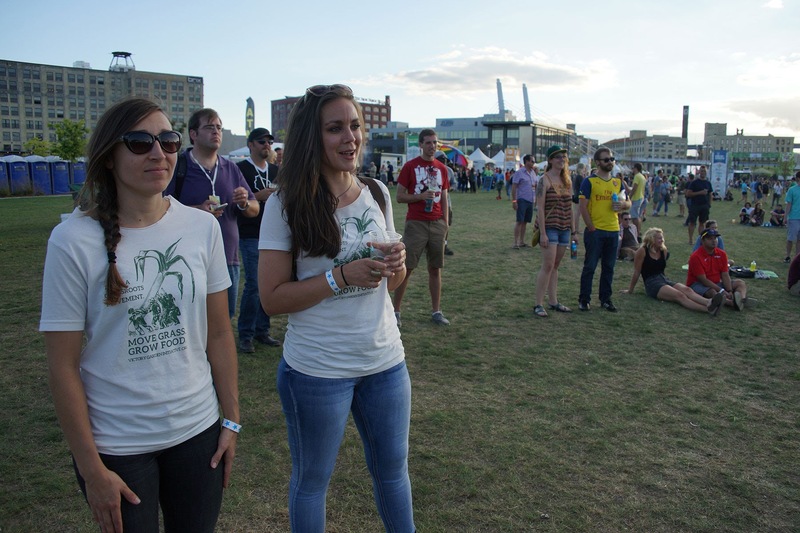 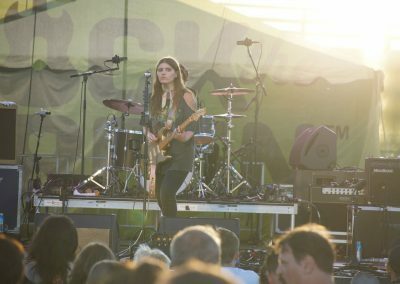 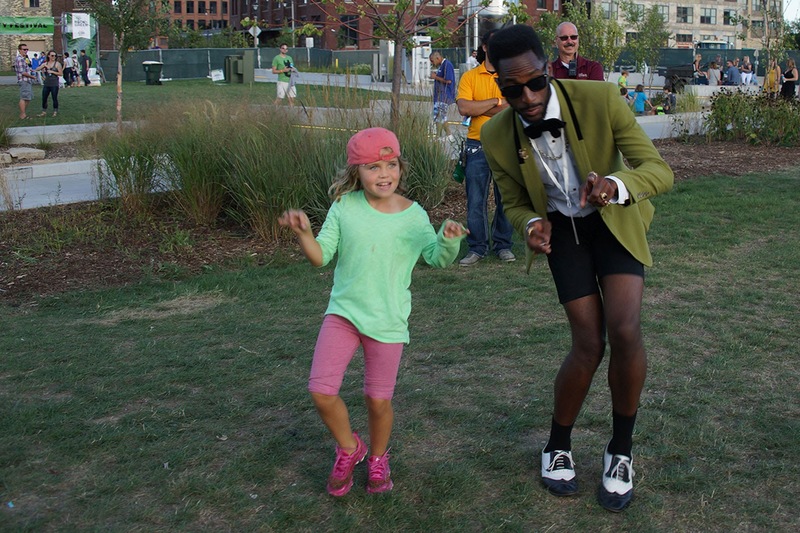 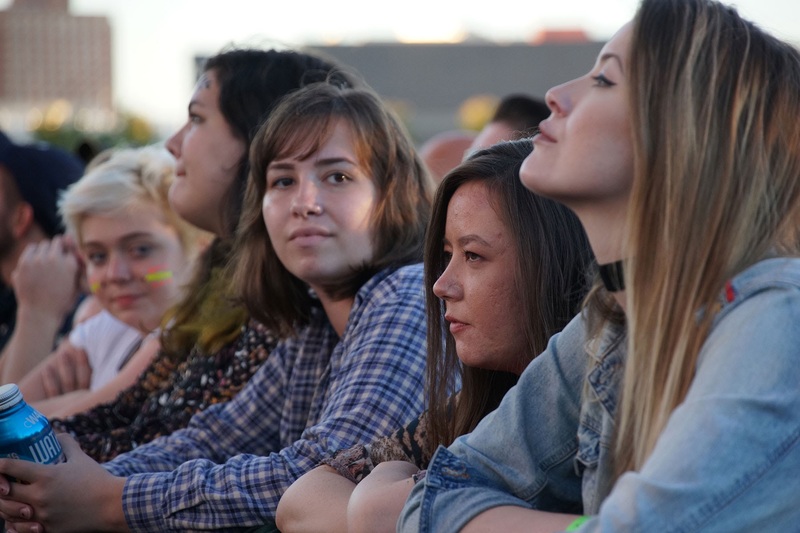 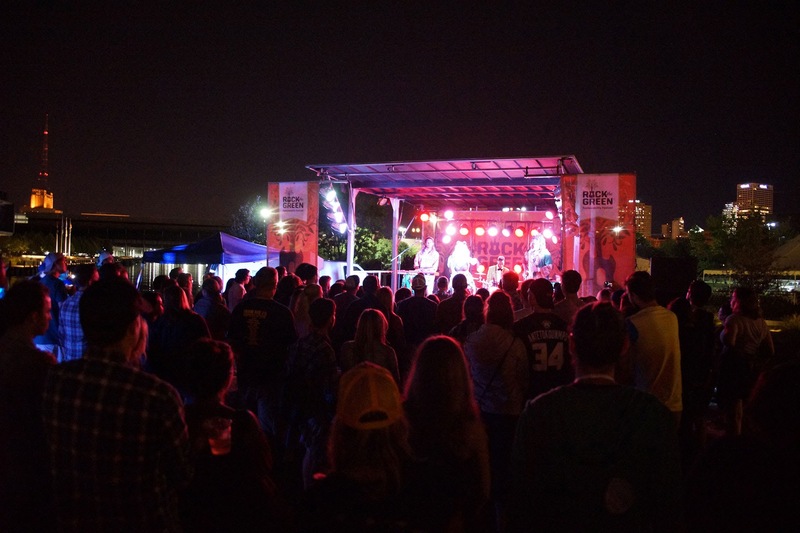 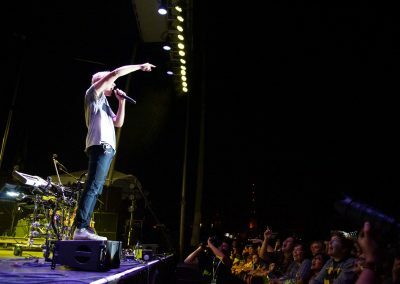 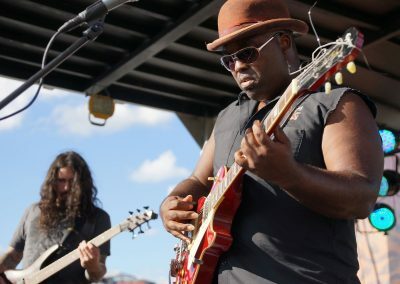 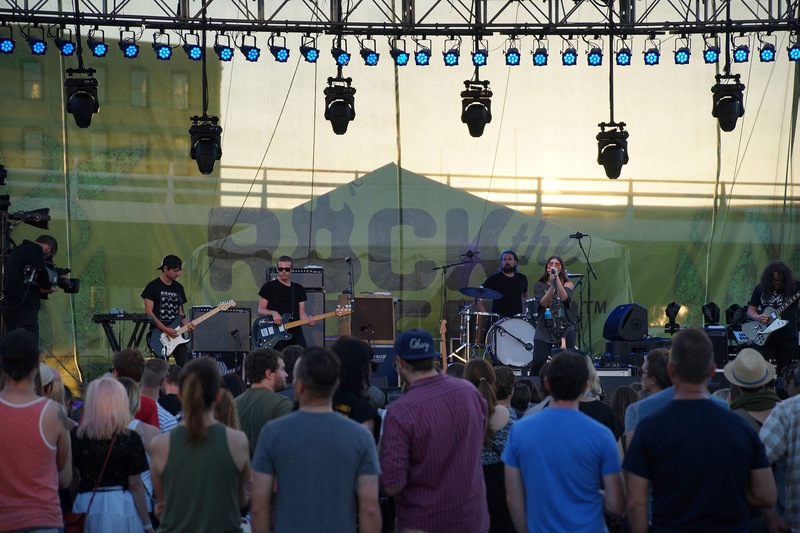 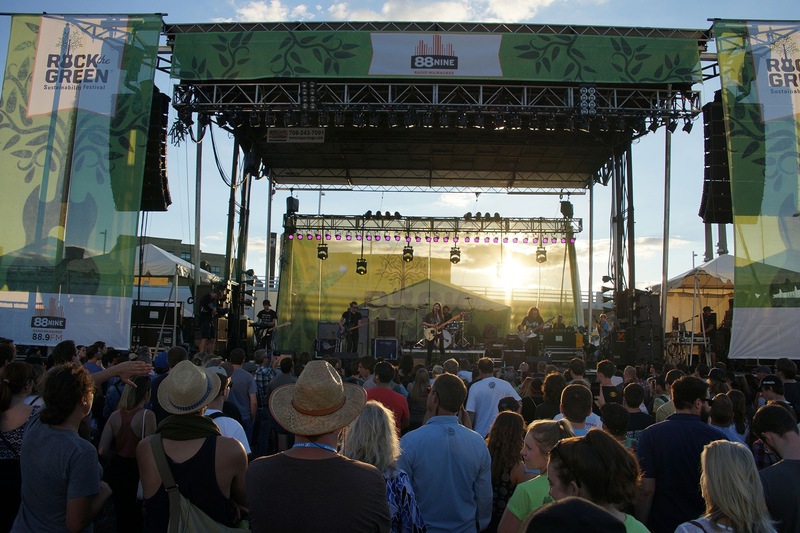 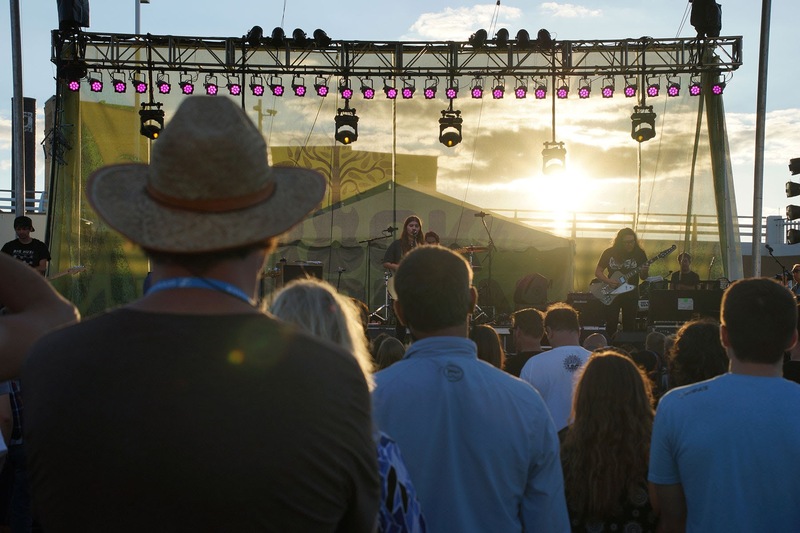 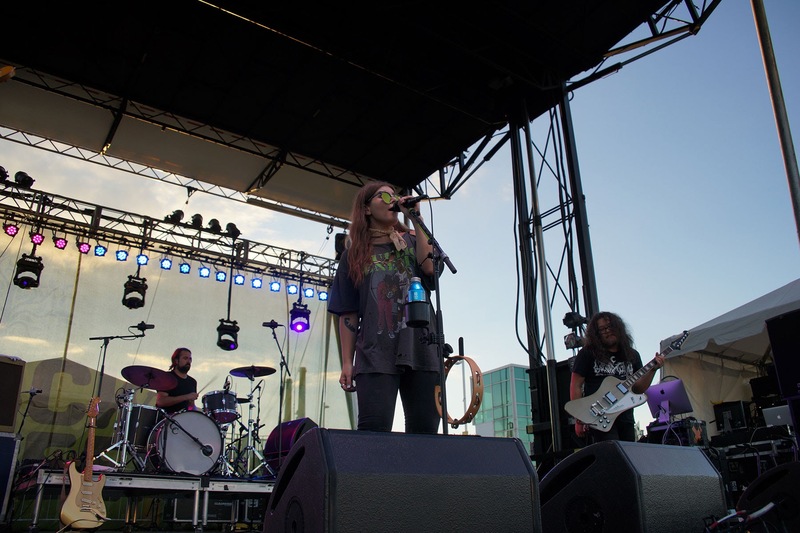 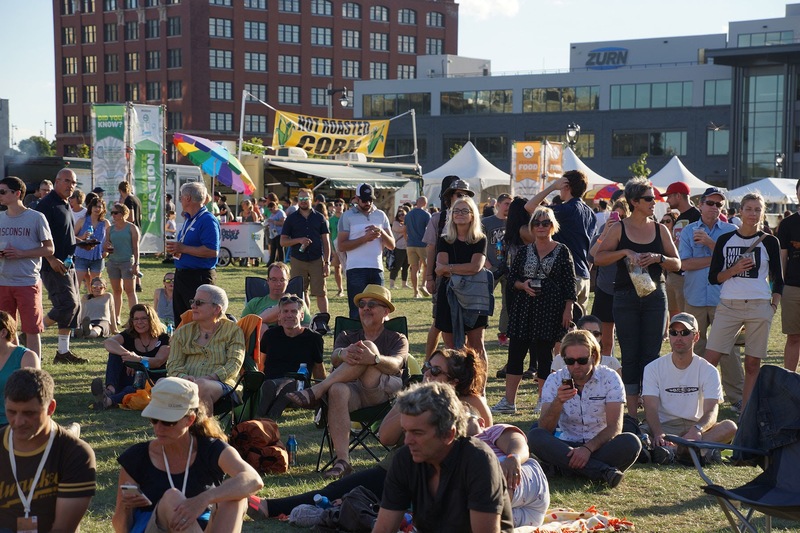 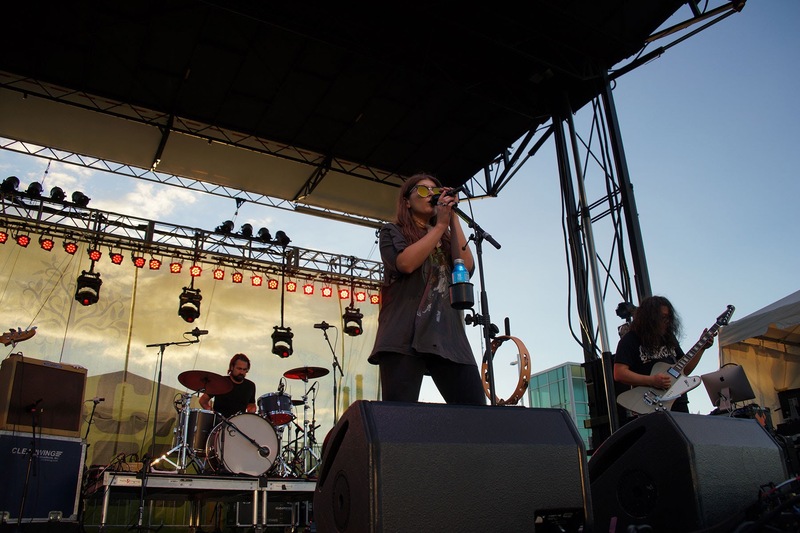 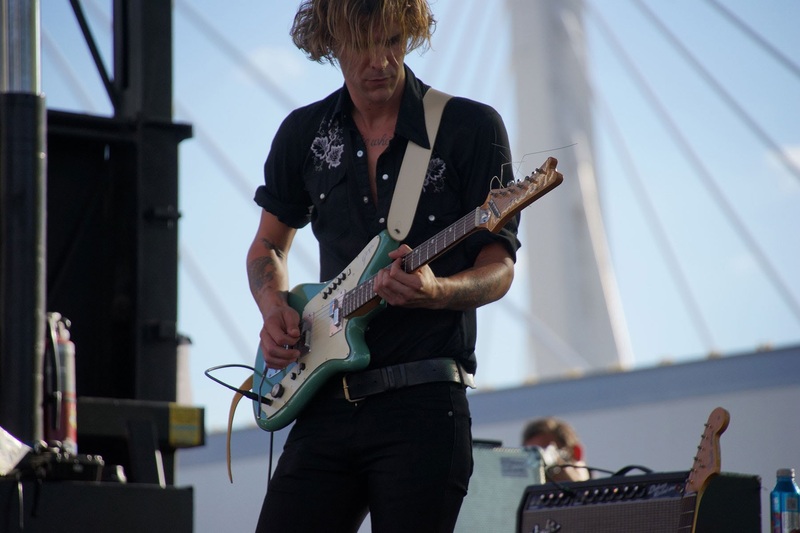 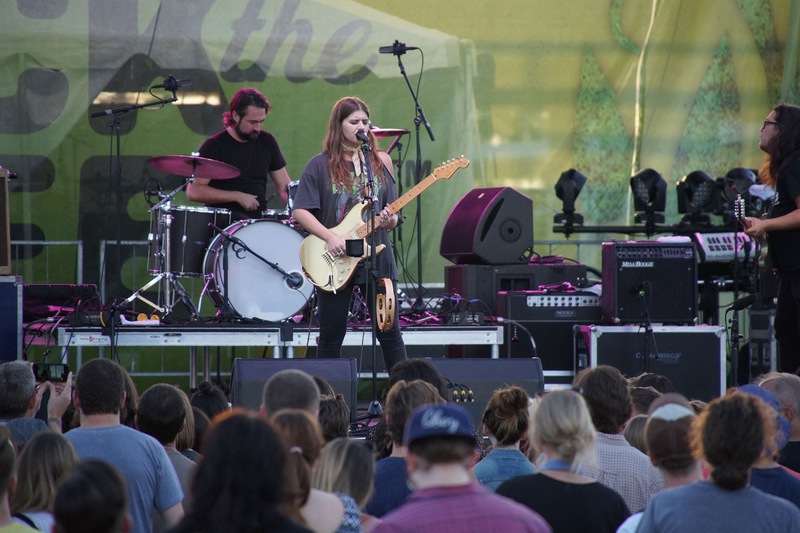 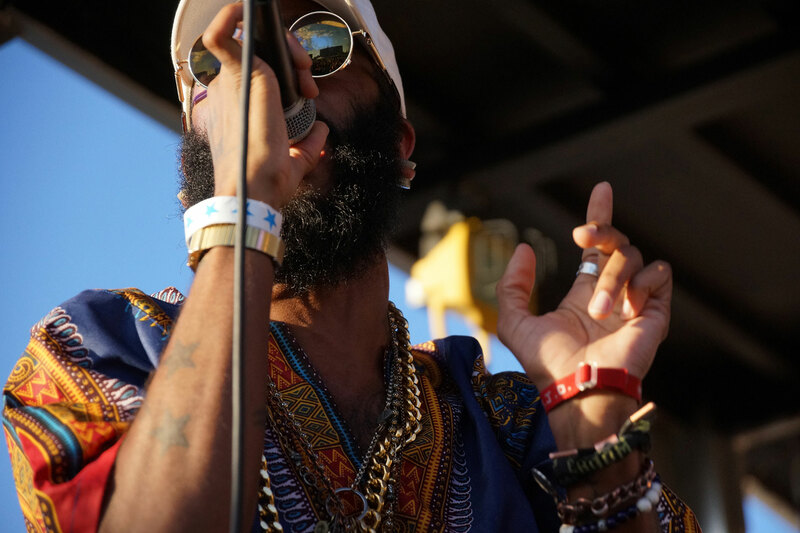 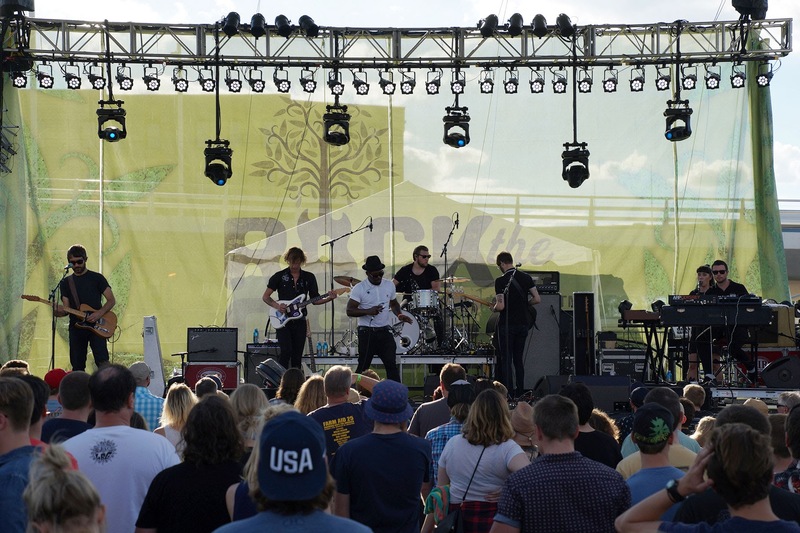 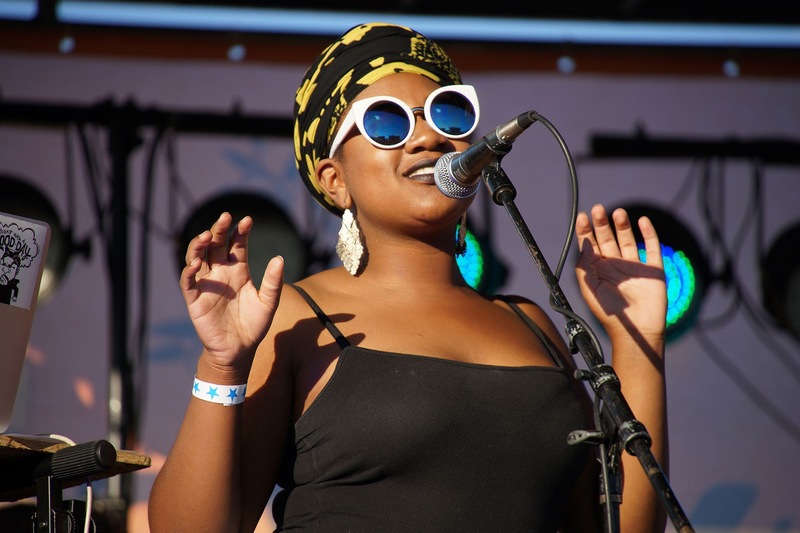 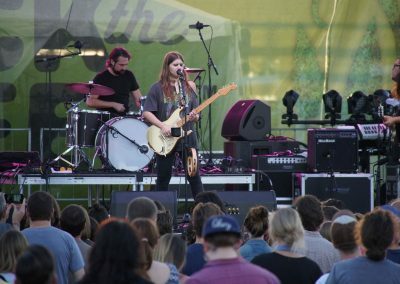 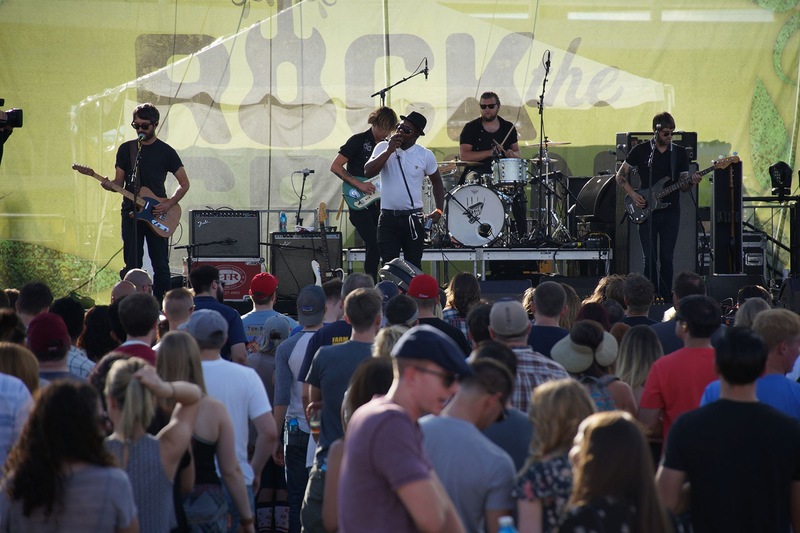 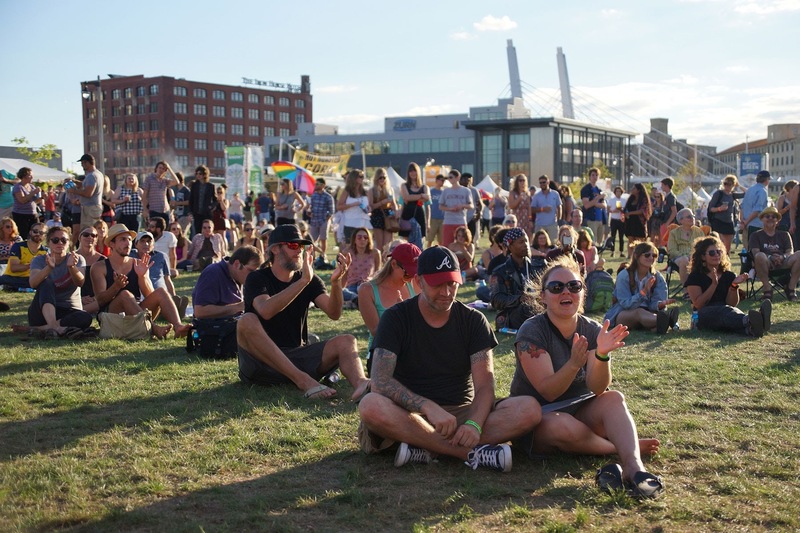 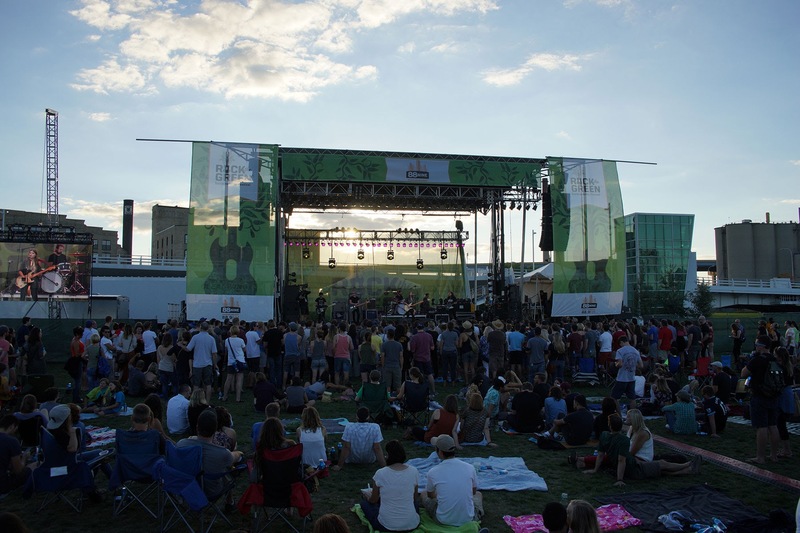 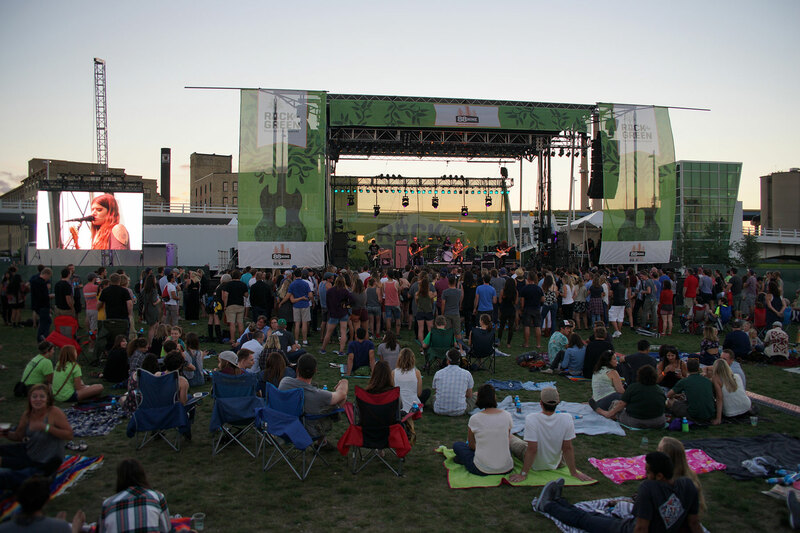 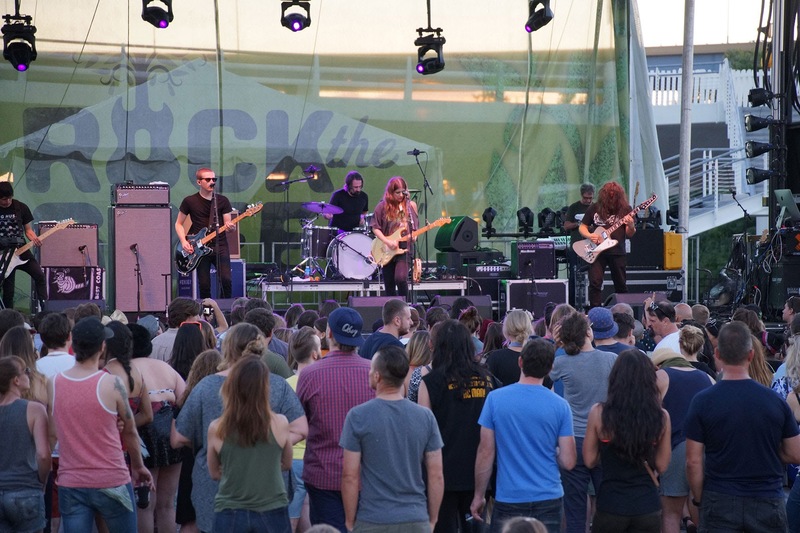 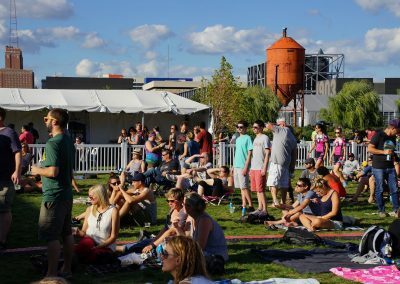 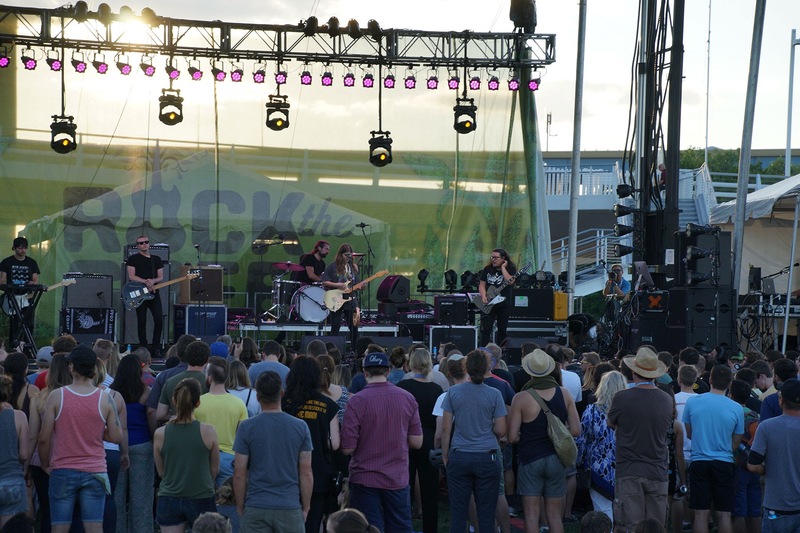 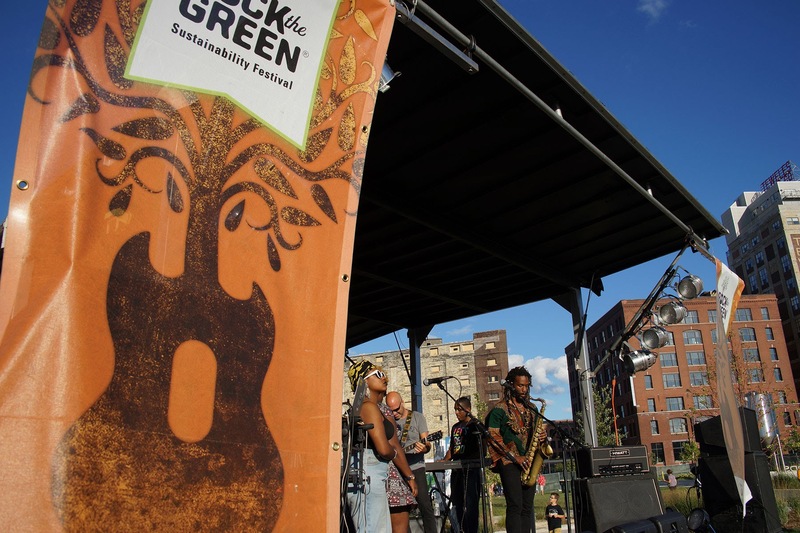 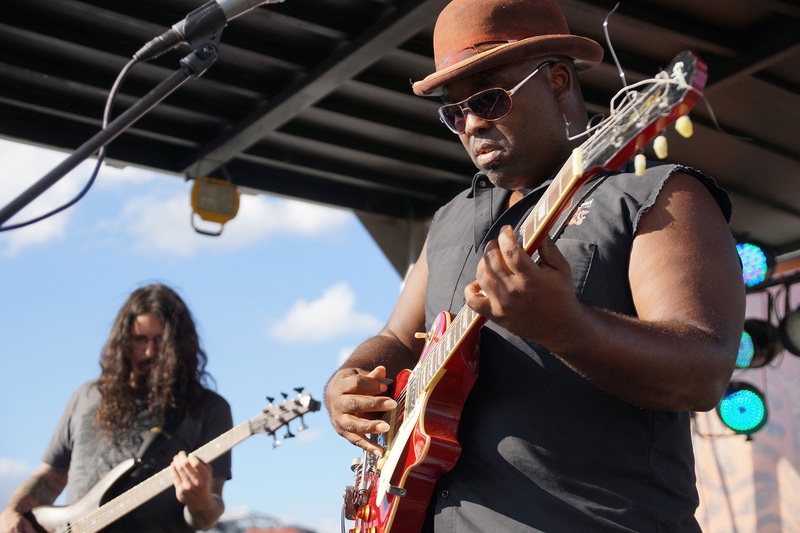 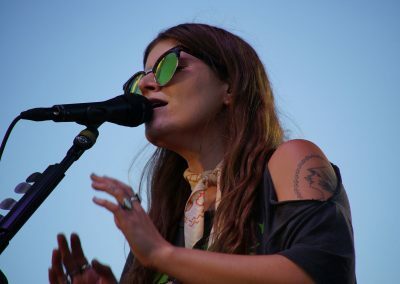 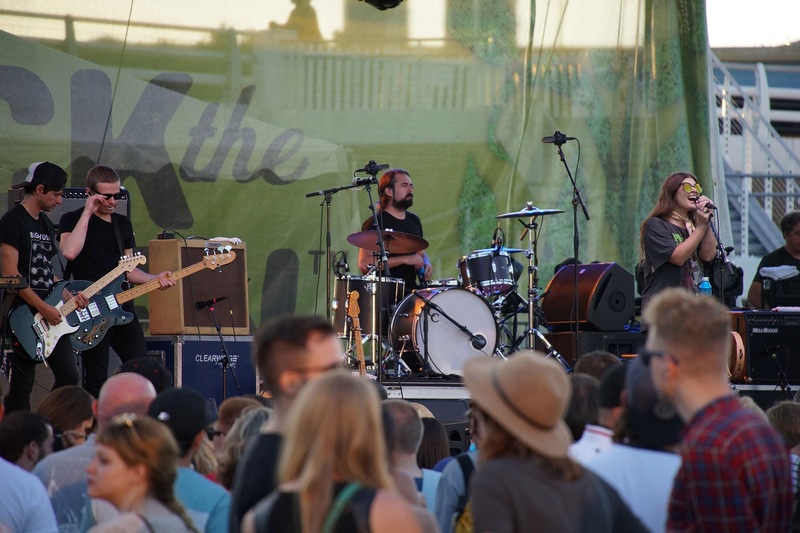 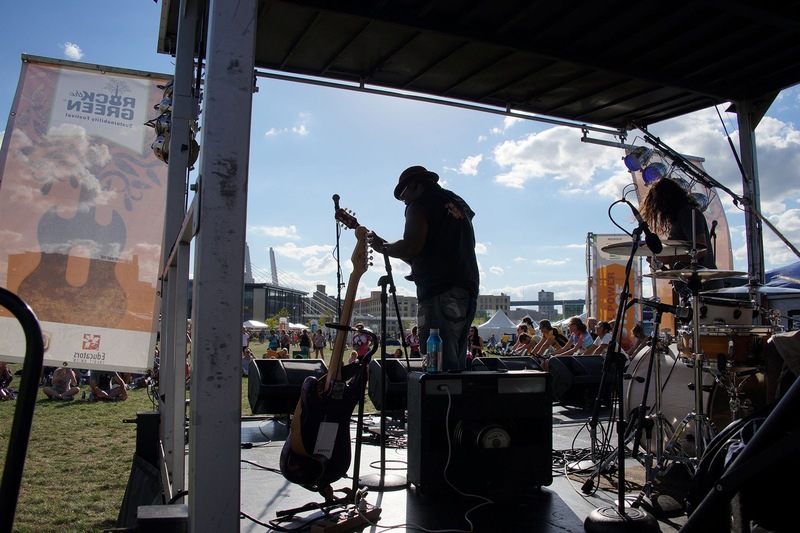 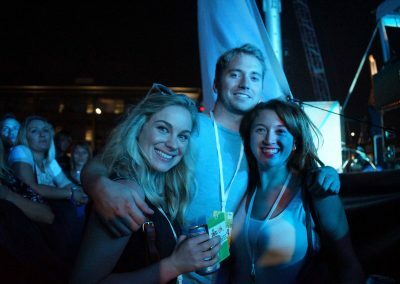 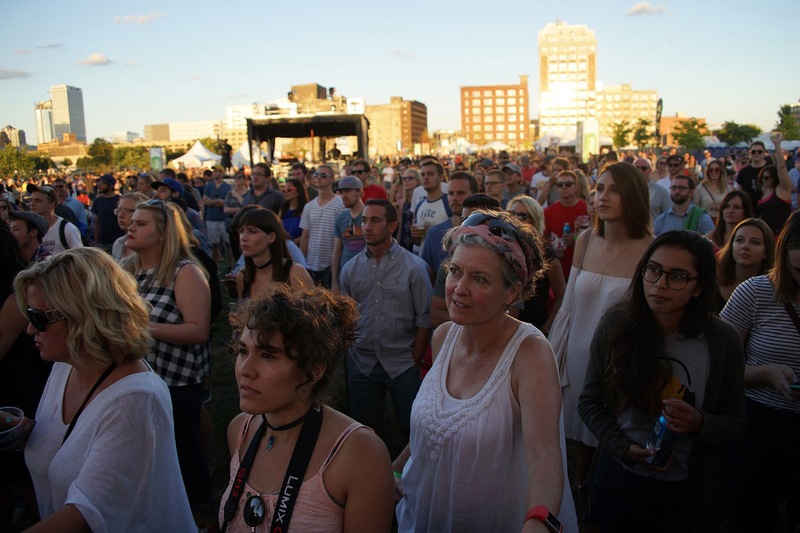 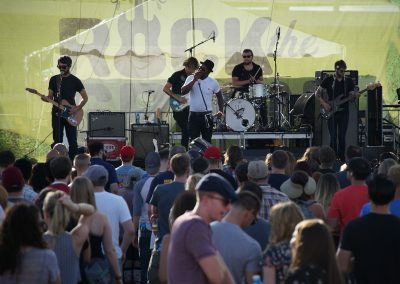 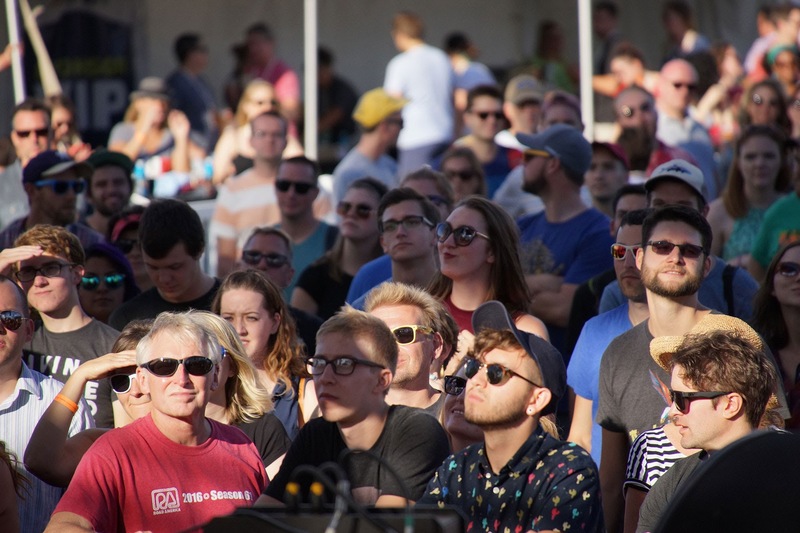 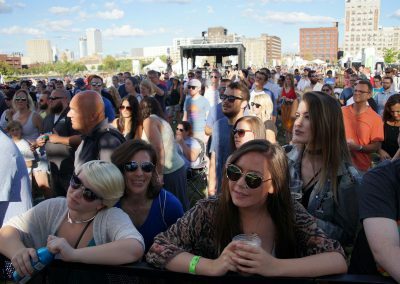 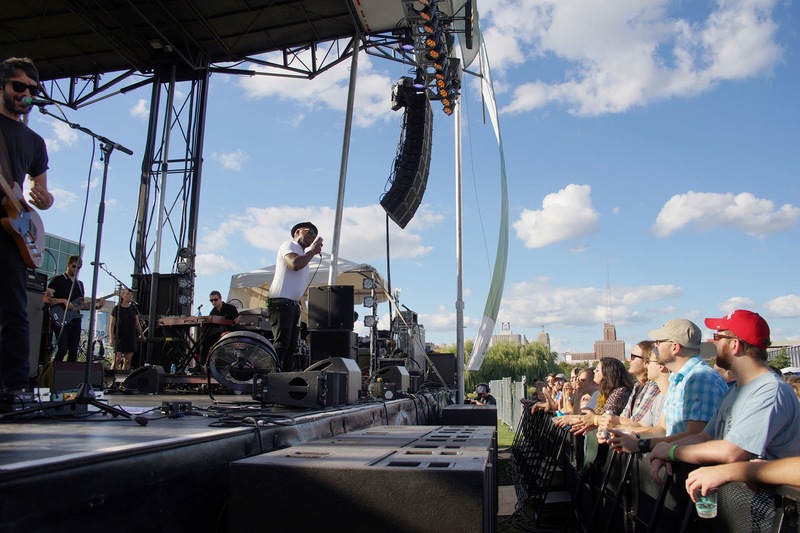 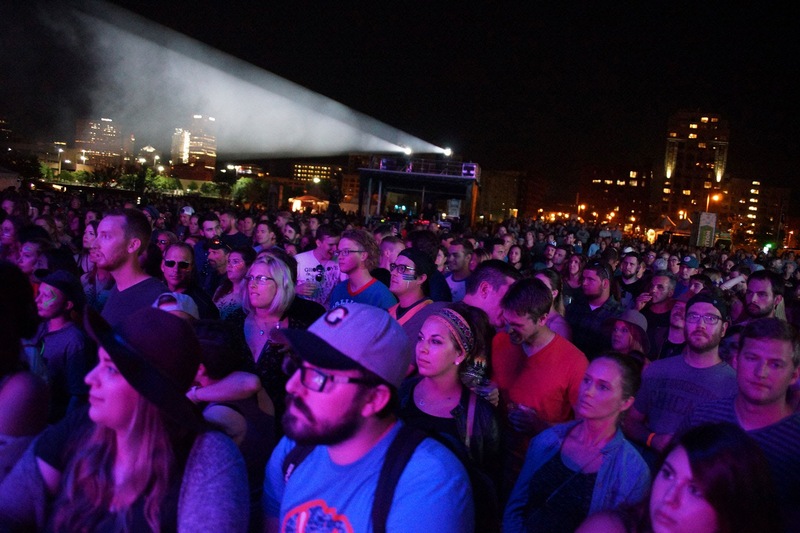 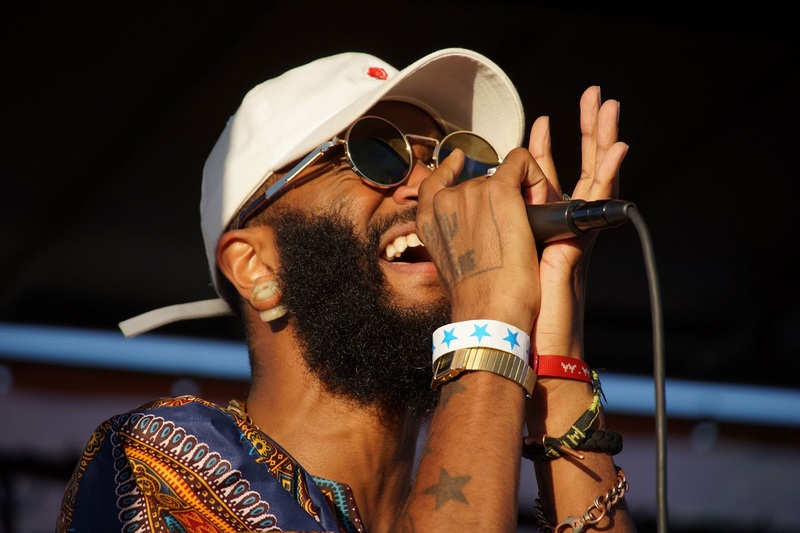 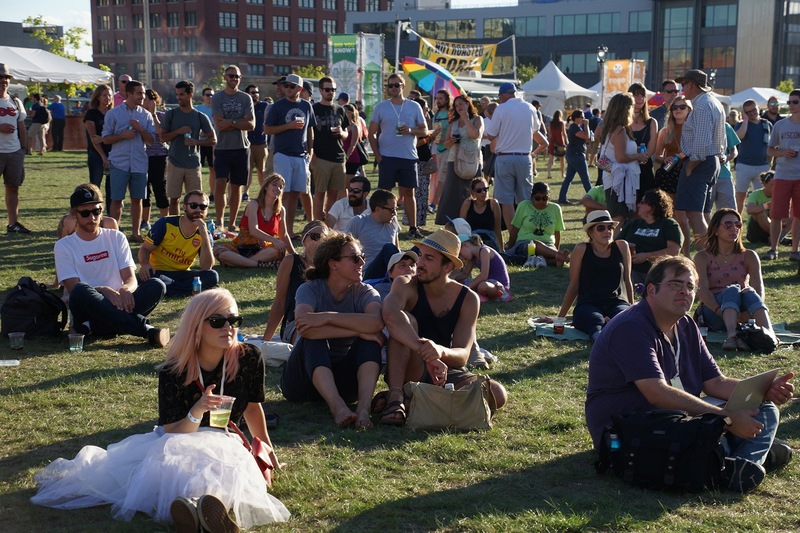 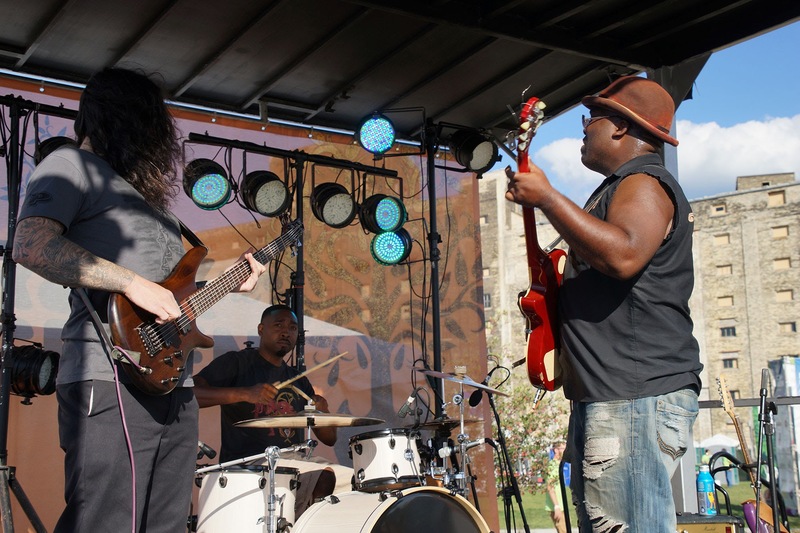 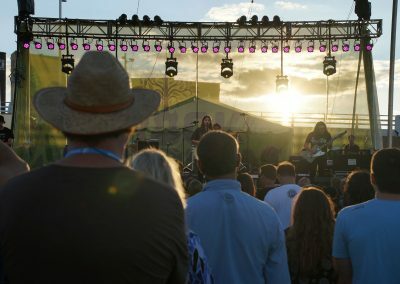 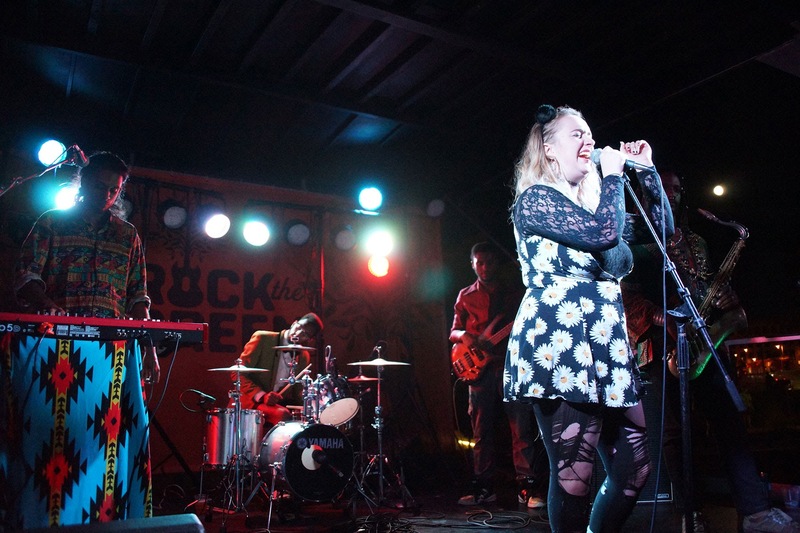 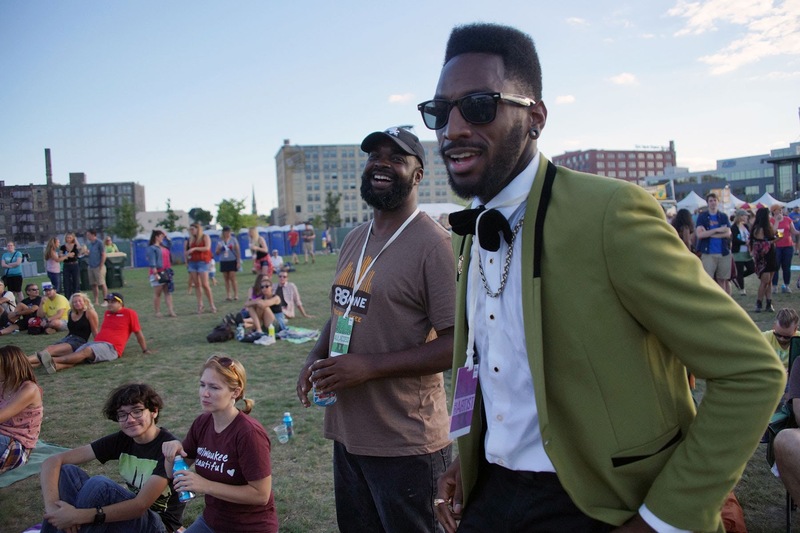 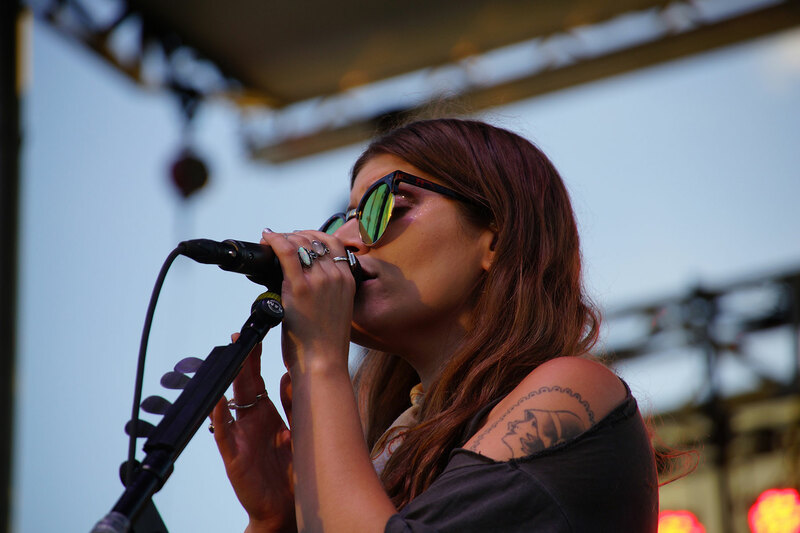 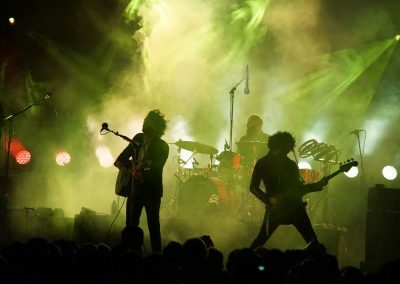 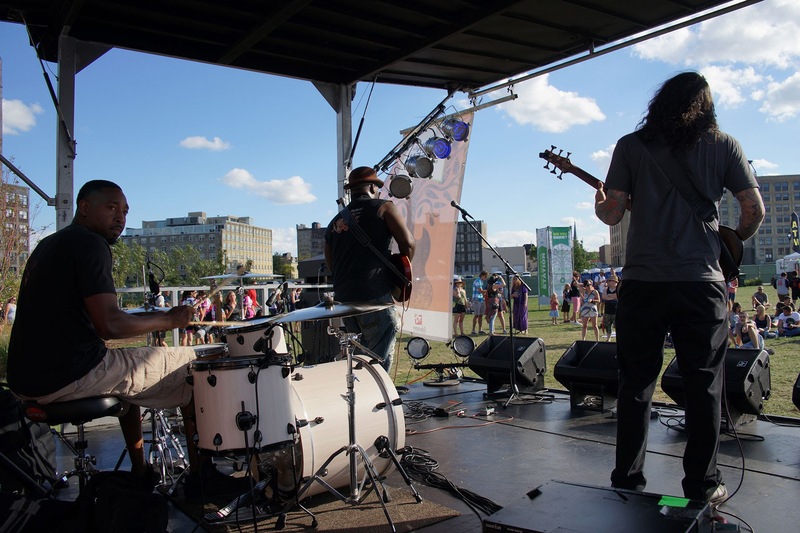 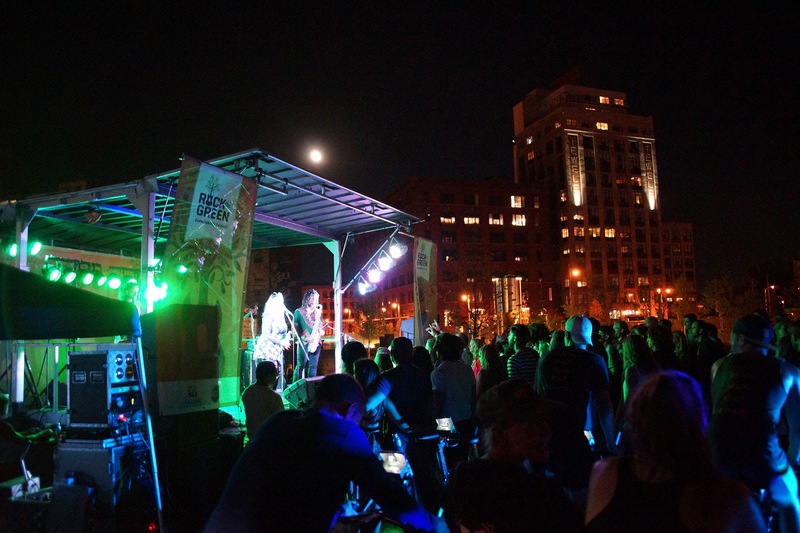 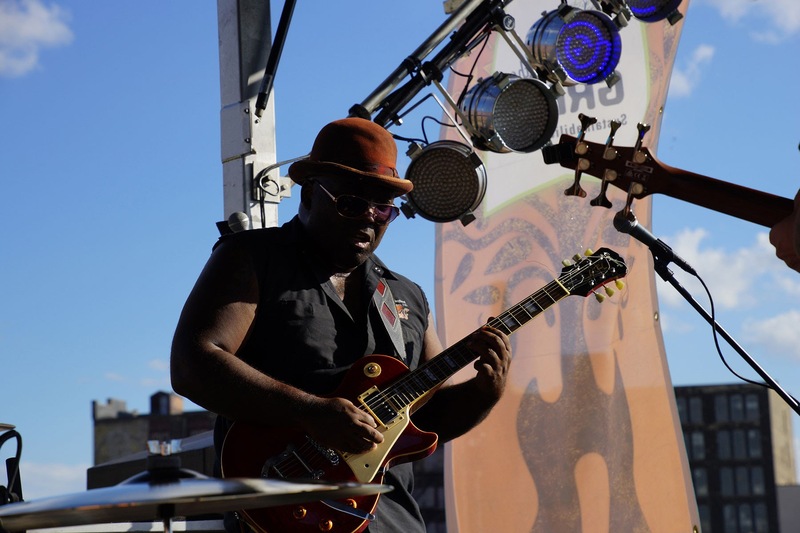 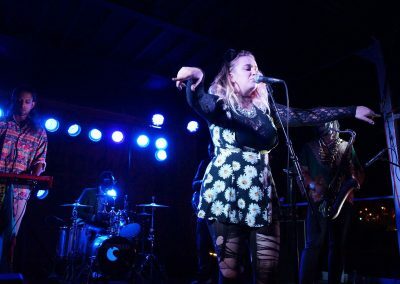 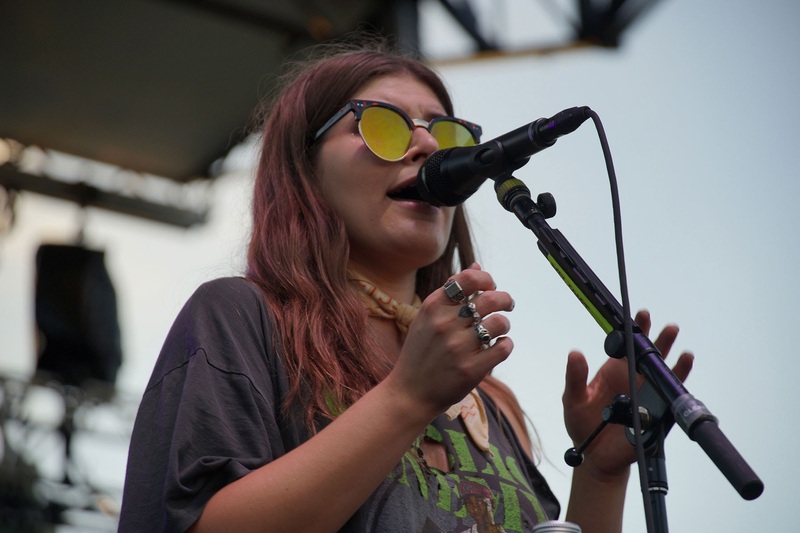 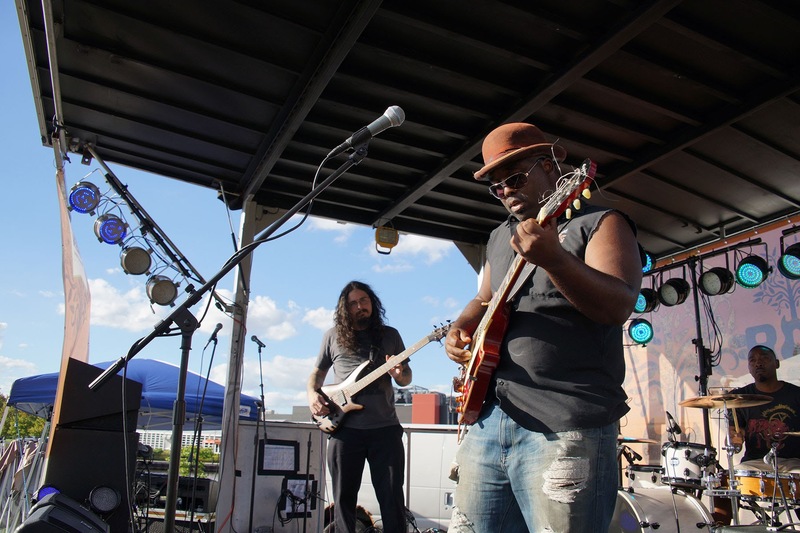 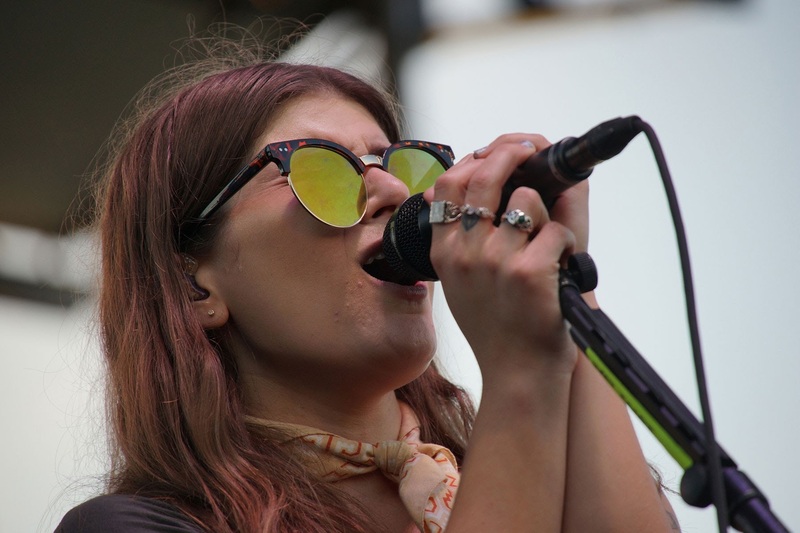 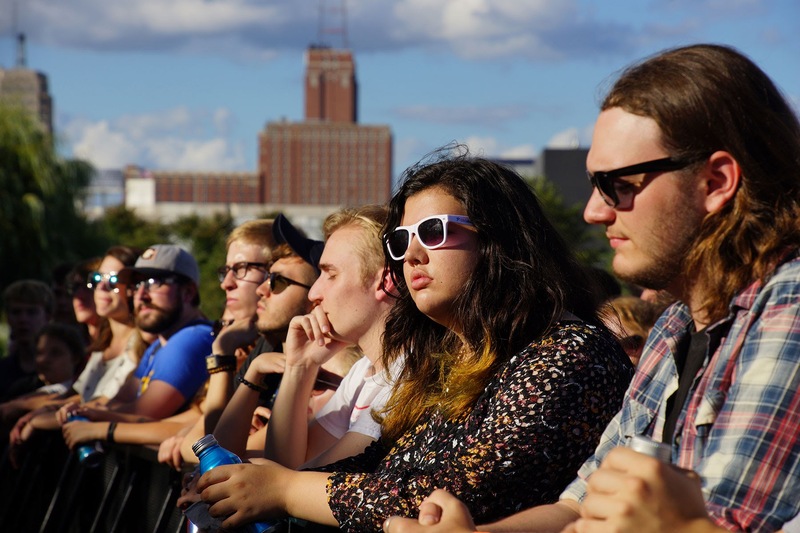 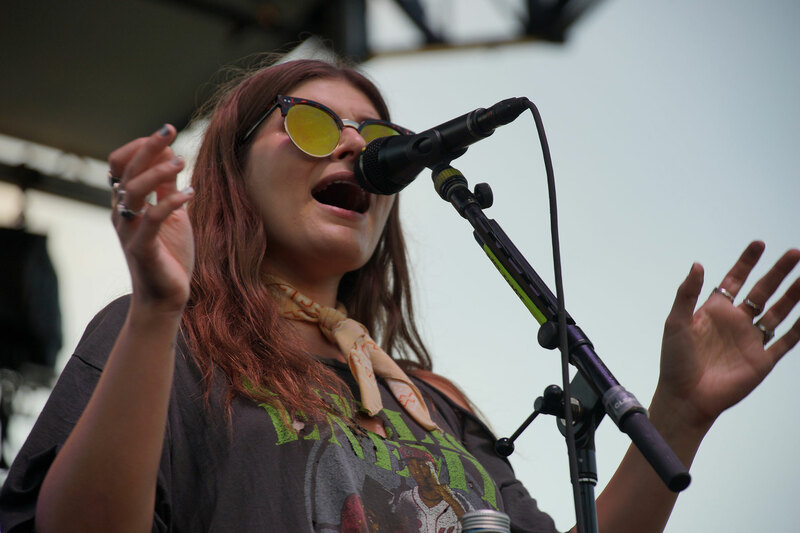 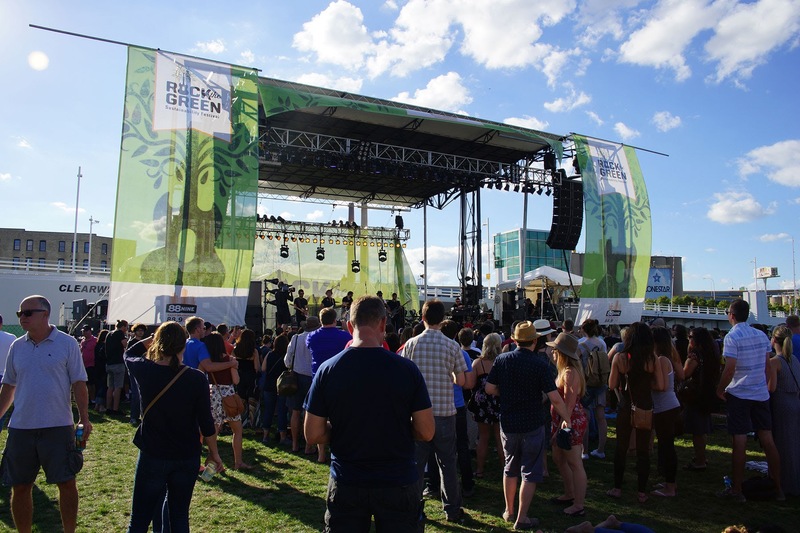 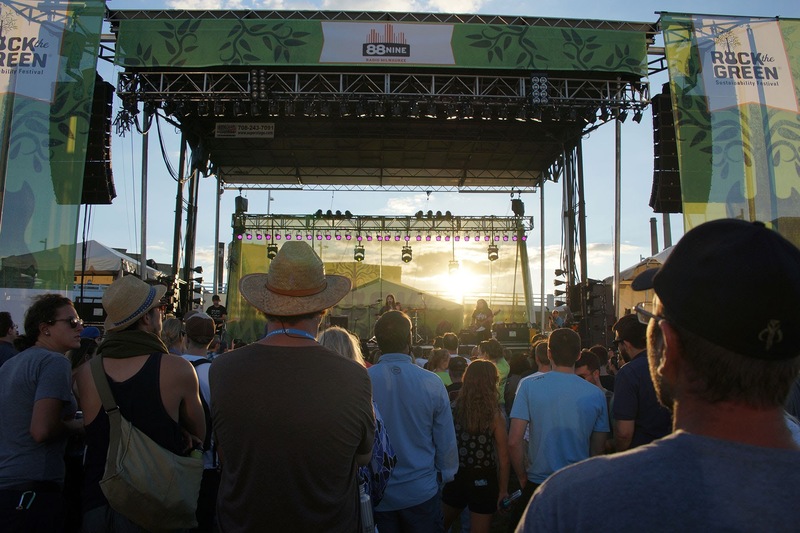 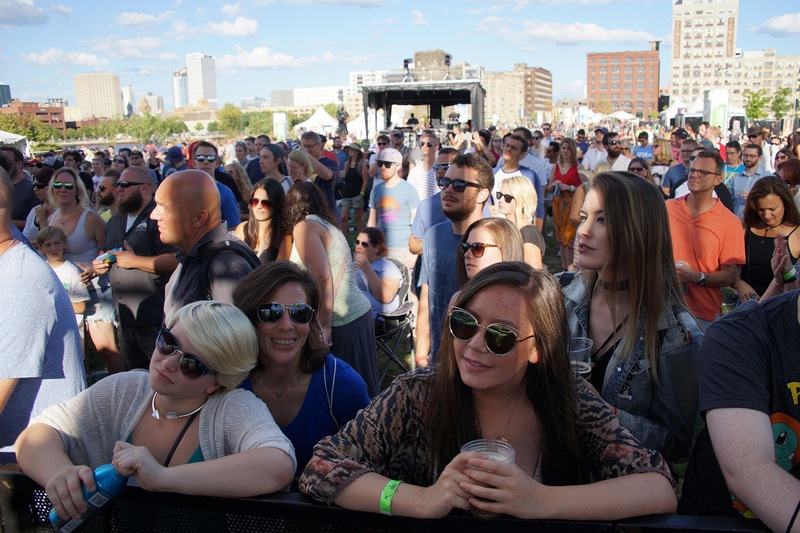 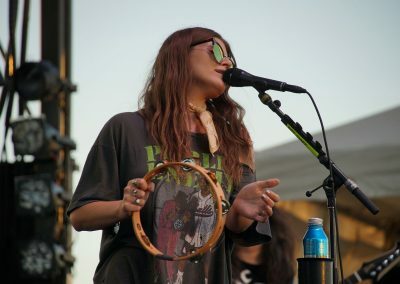 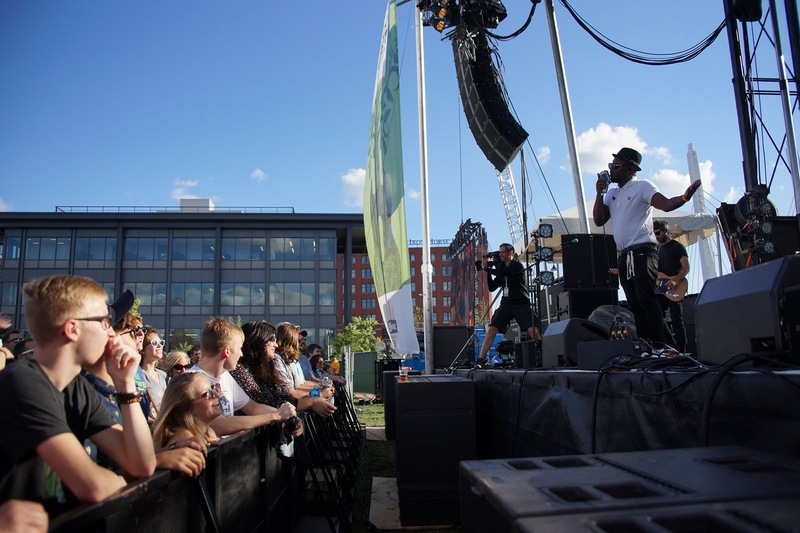 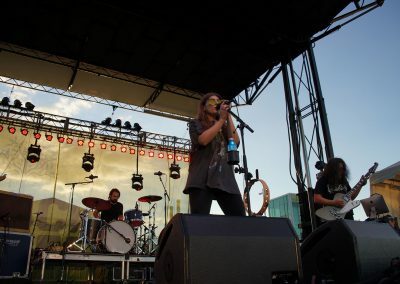 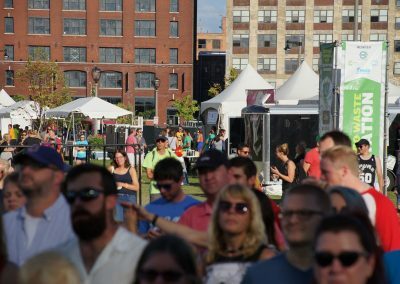 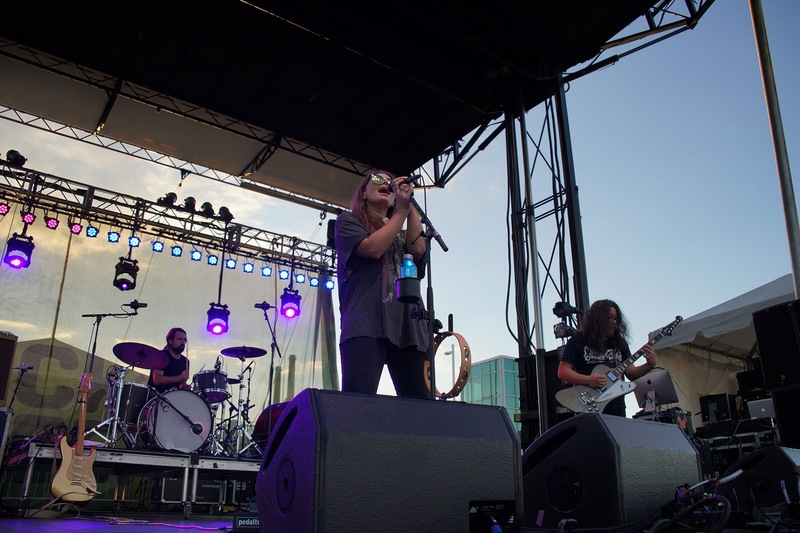 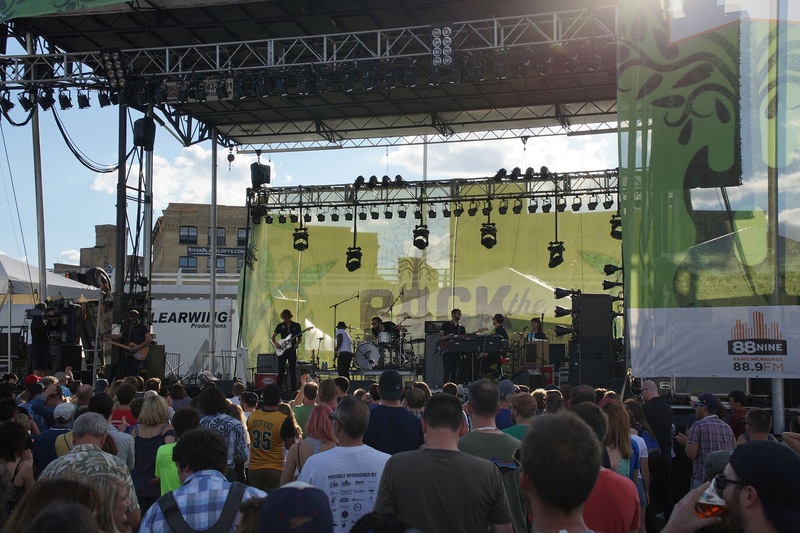 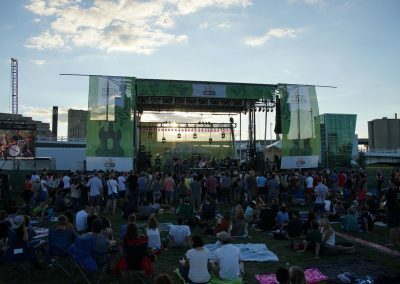 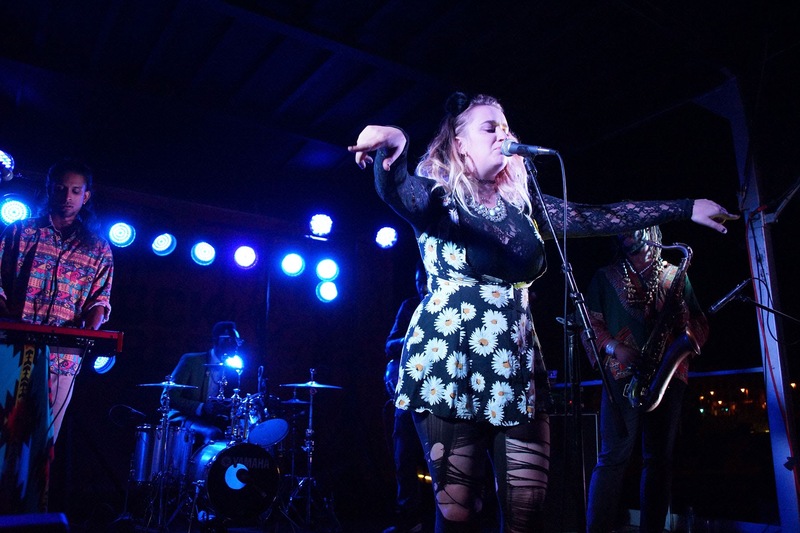 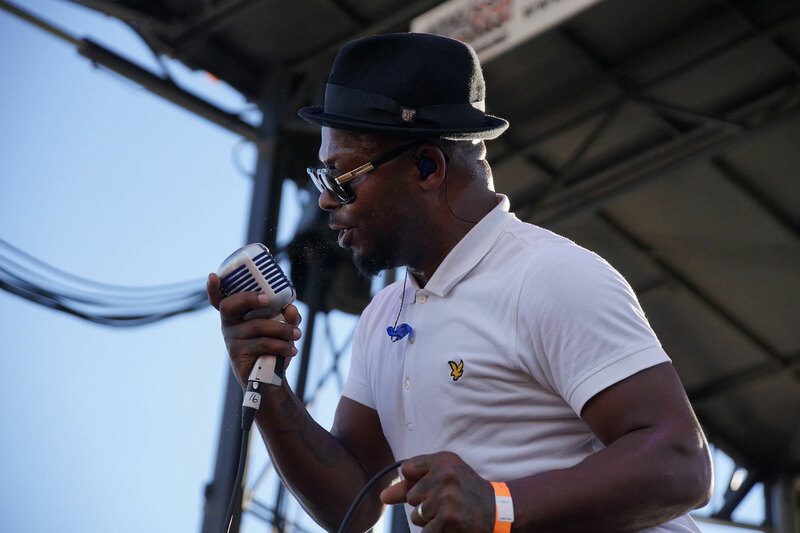 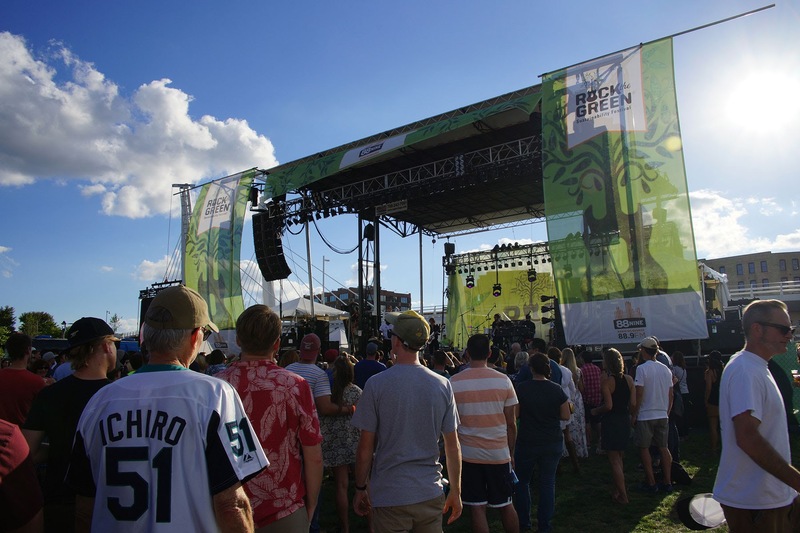 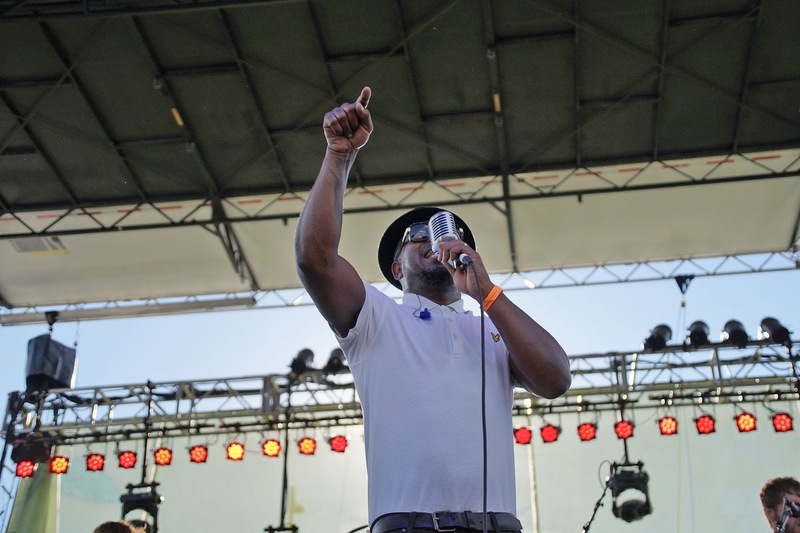 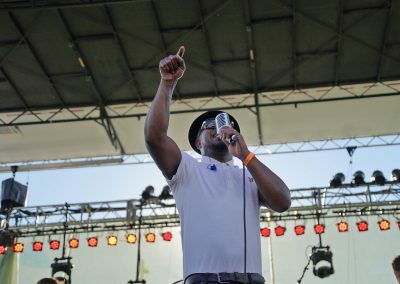 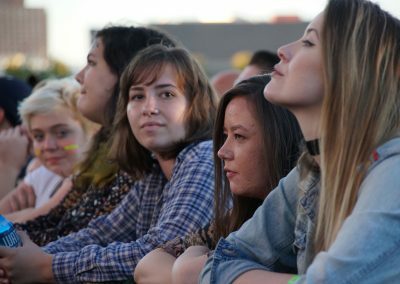 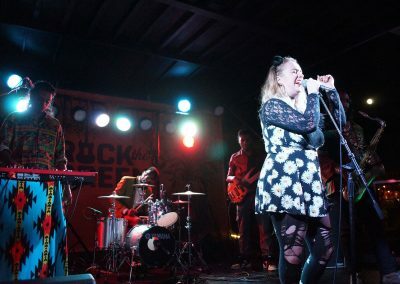 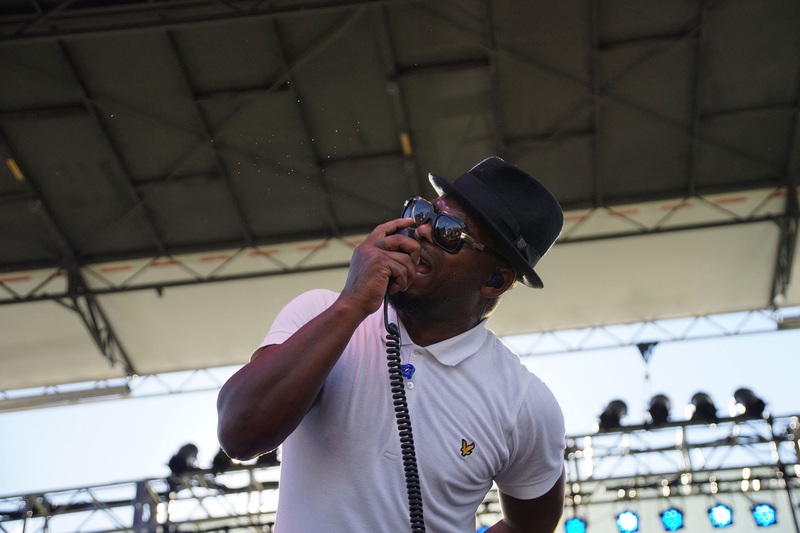 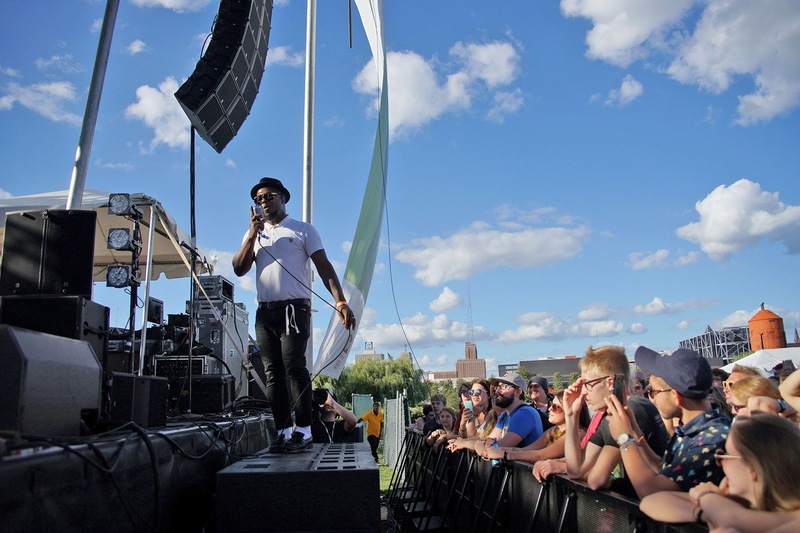 Rock the Green, the Midwest’s zero waste music festival with a mission to educate and empower the community to take actionable steps to live sustainably, was be held on September 17, with an eclectic lineup of world-class bands and expanded sustainability offerings. 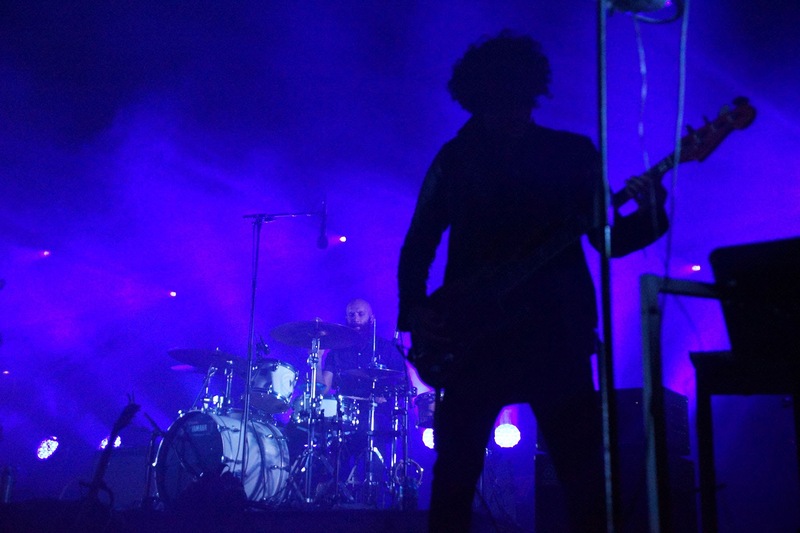 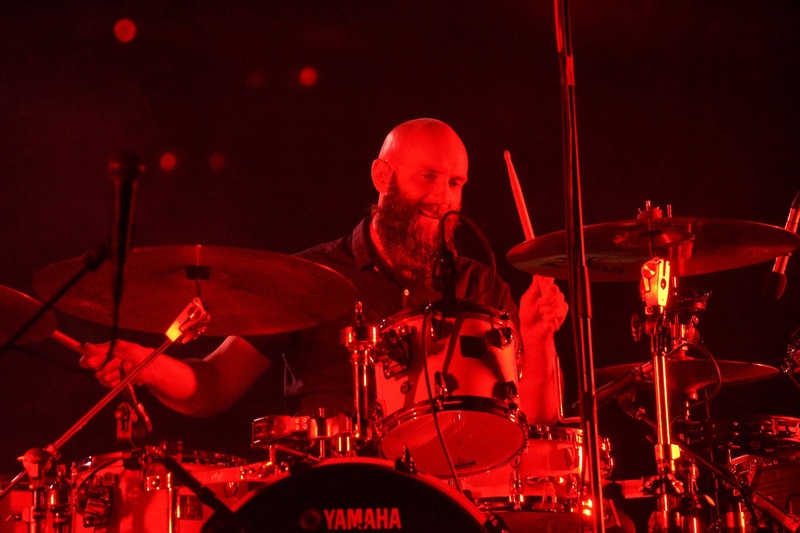 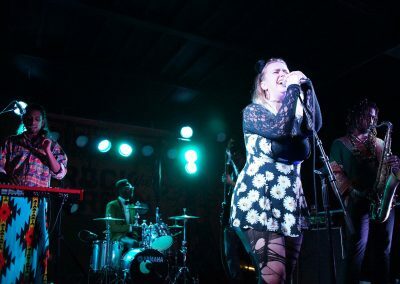 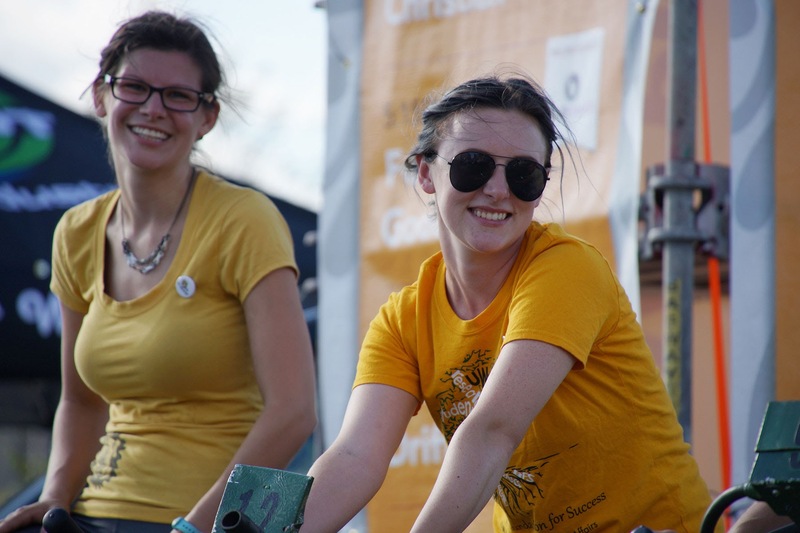 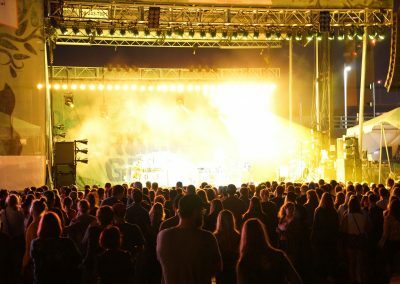 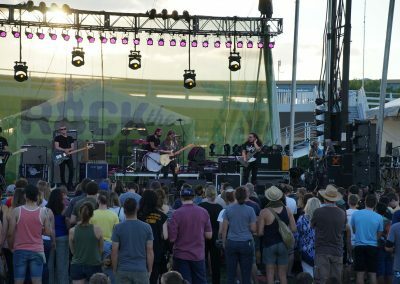 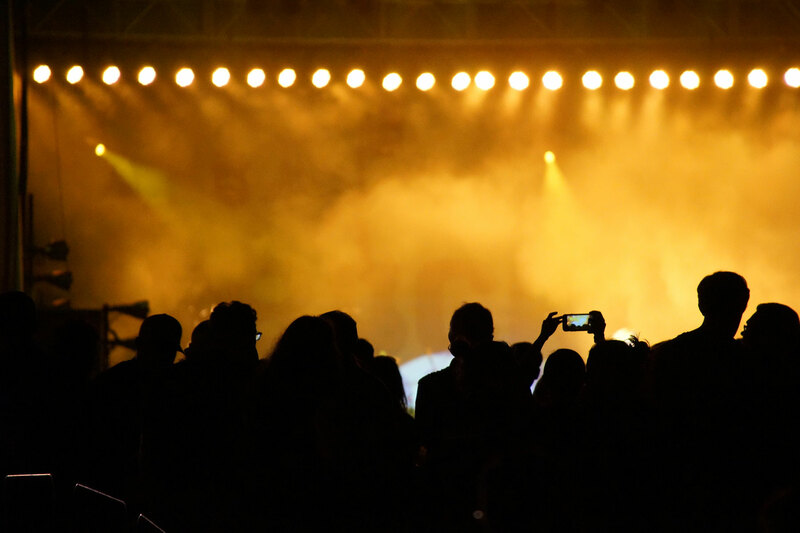 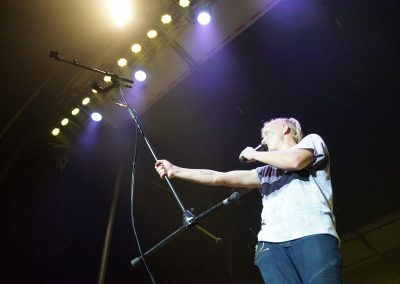 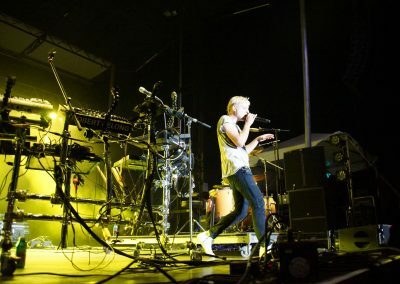 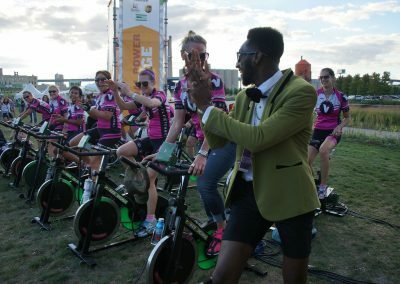 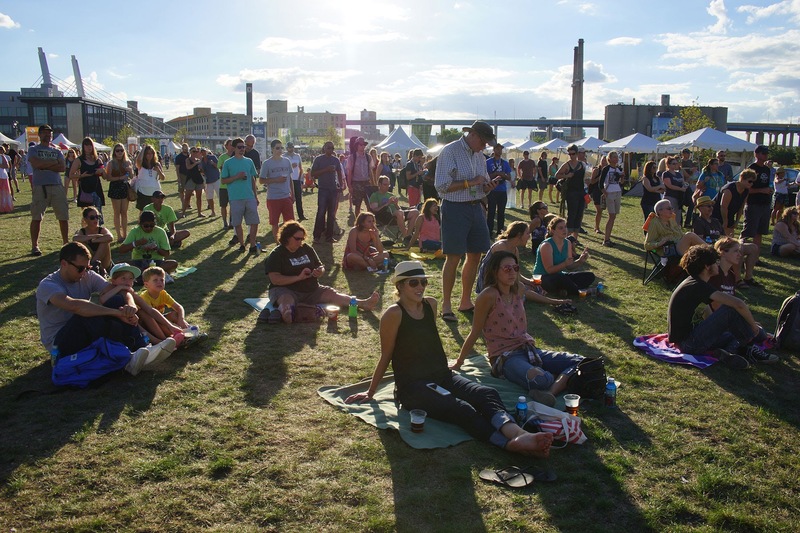 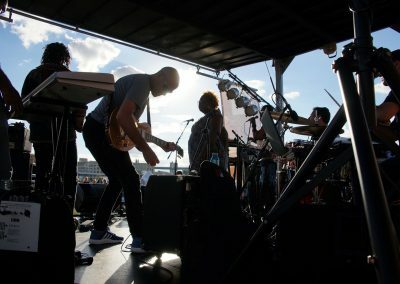 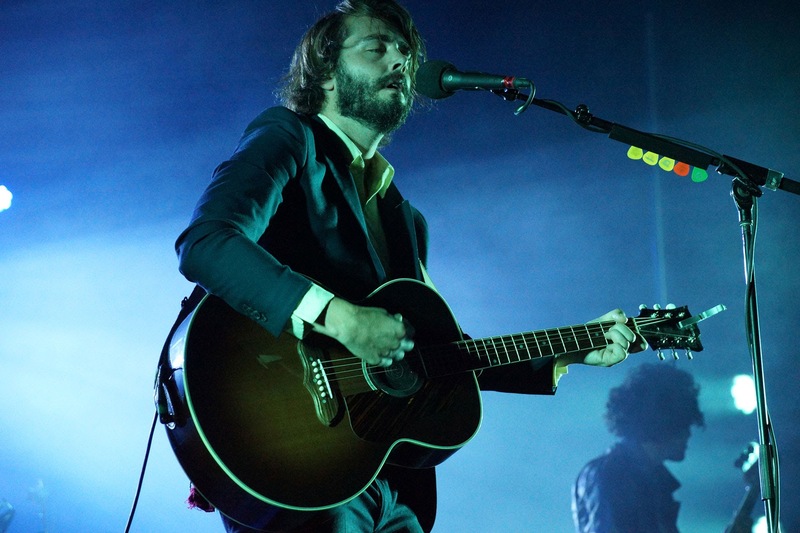 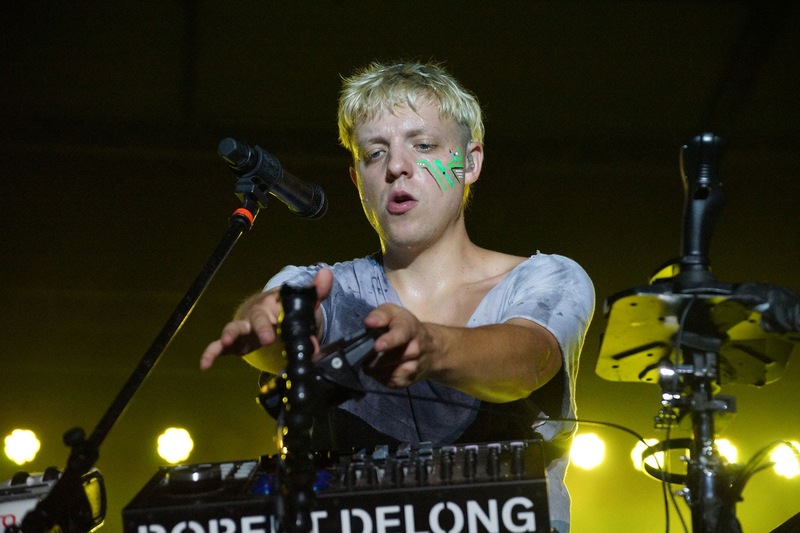 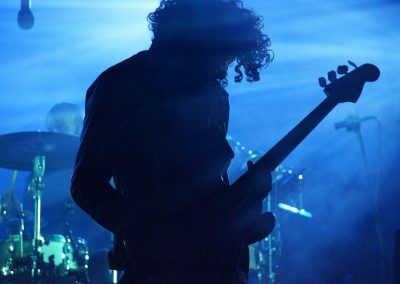 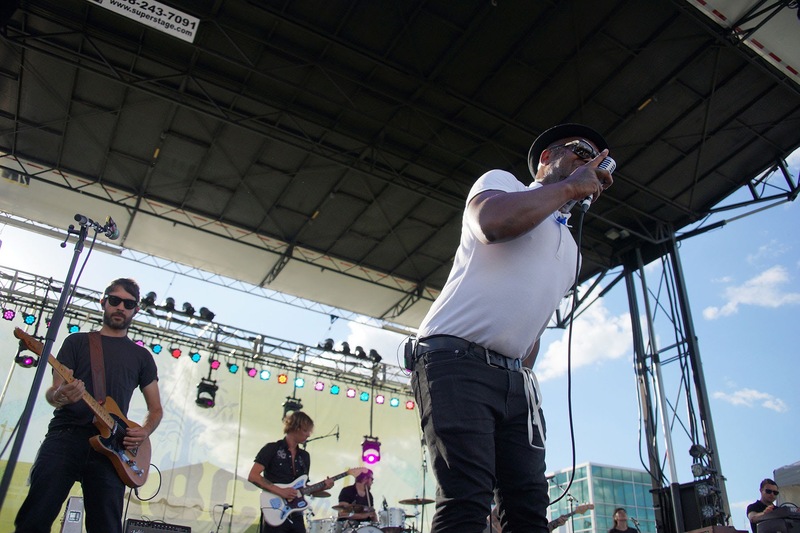 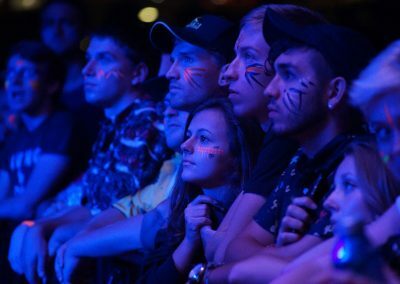 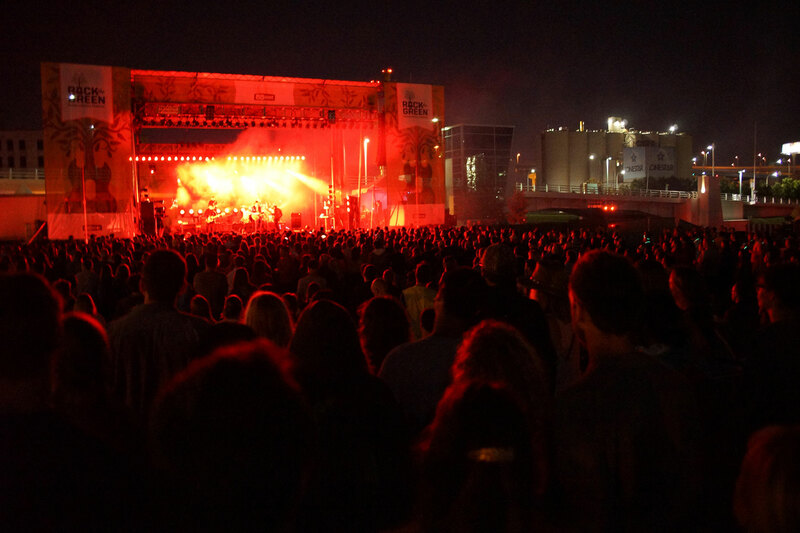 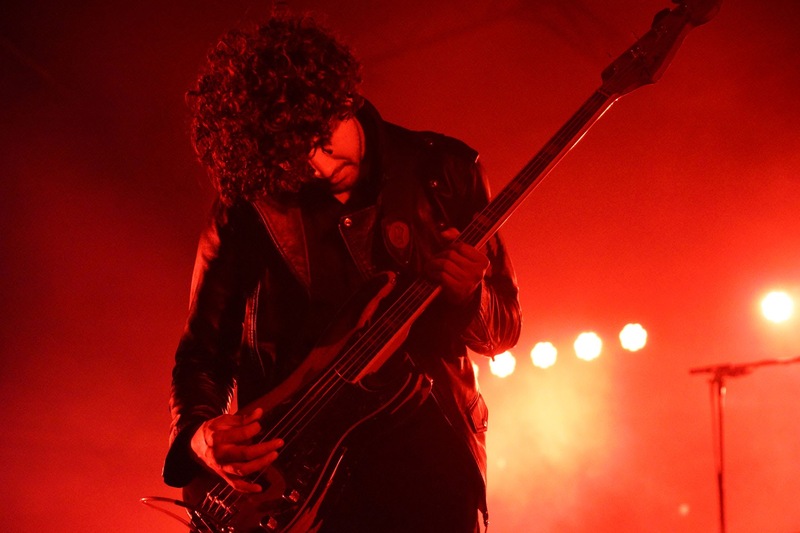 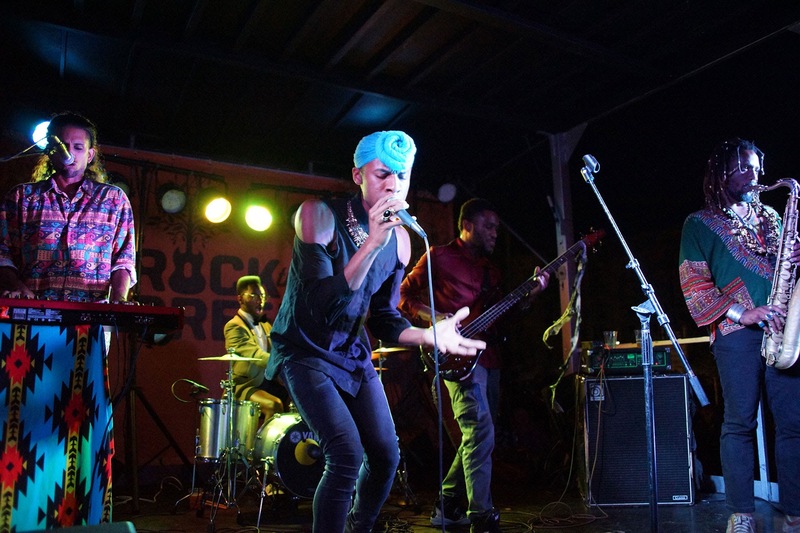 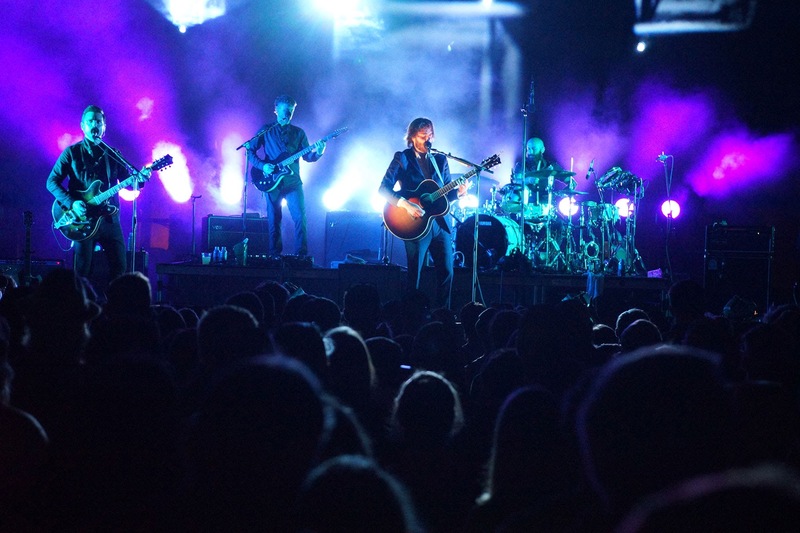 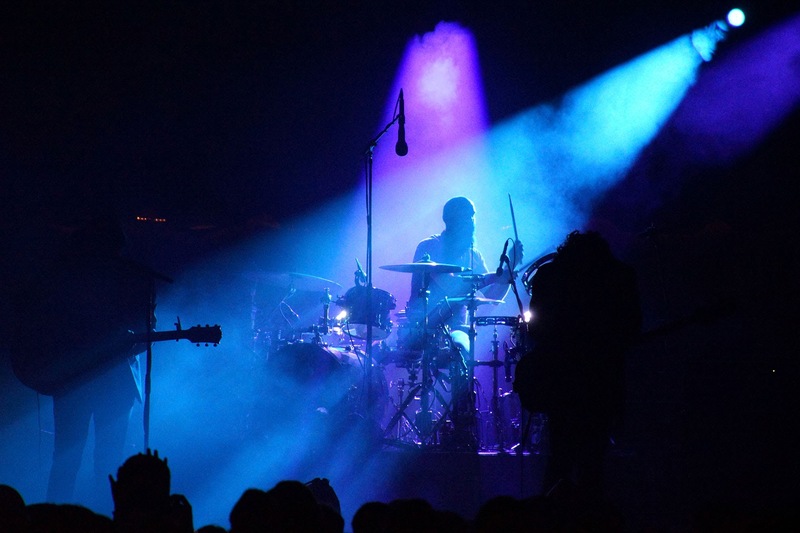 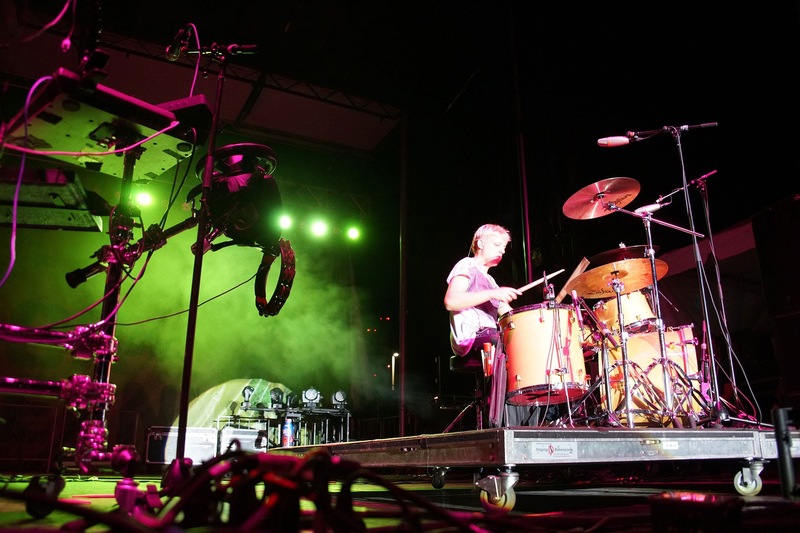 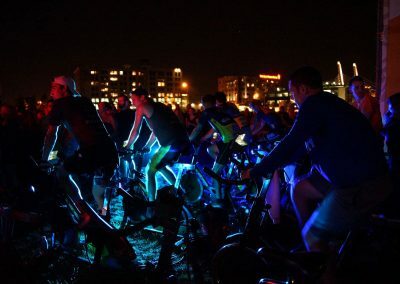 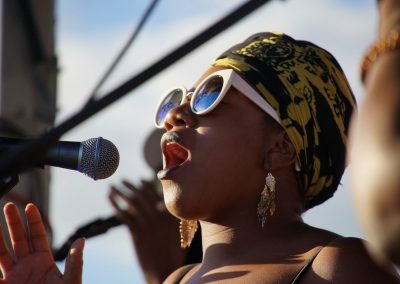 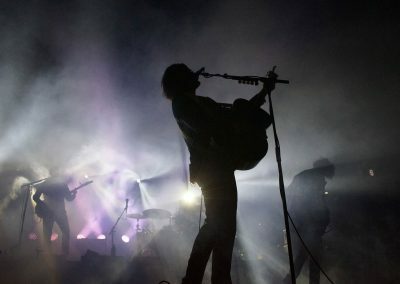 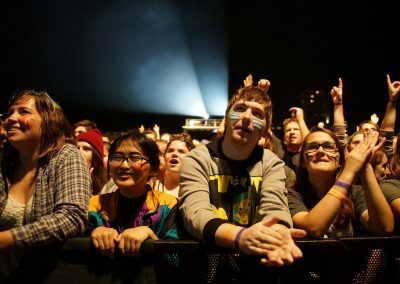 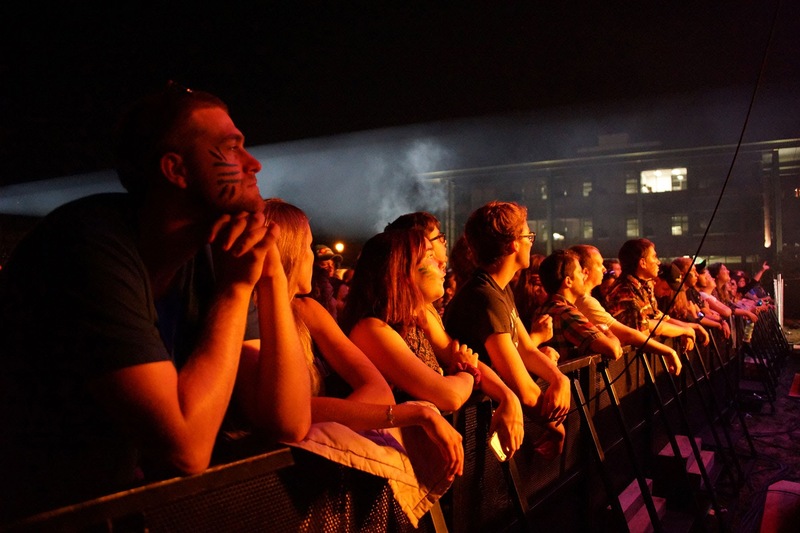 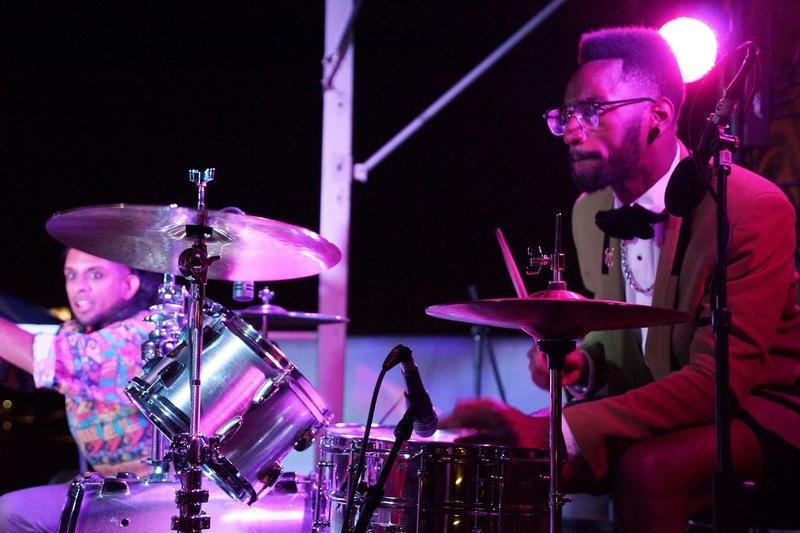 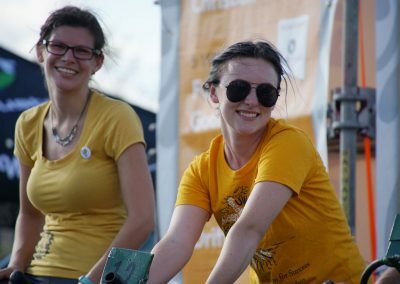 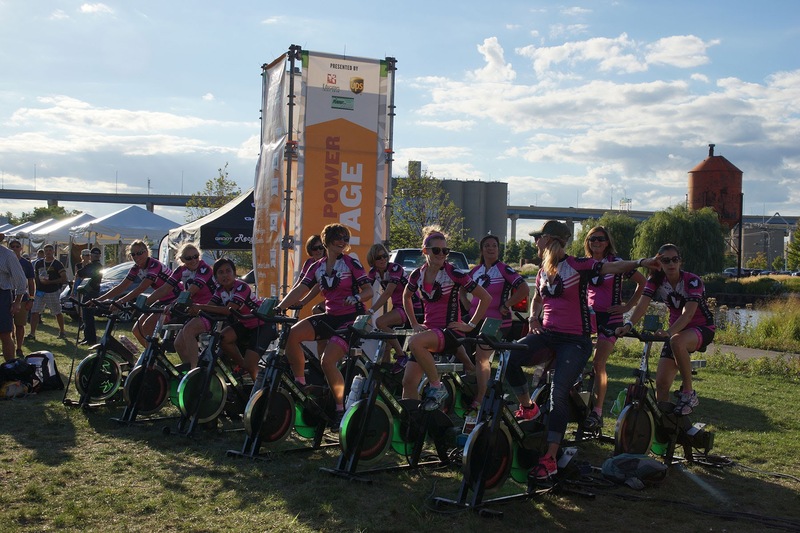 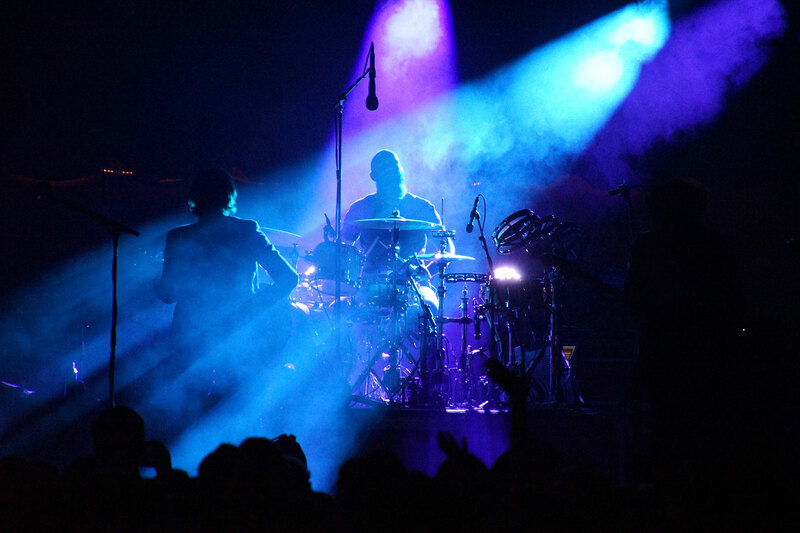 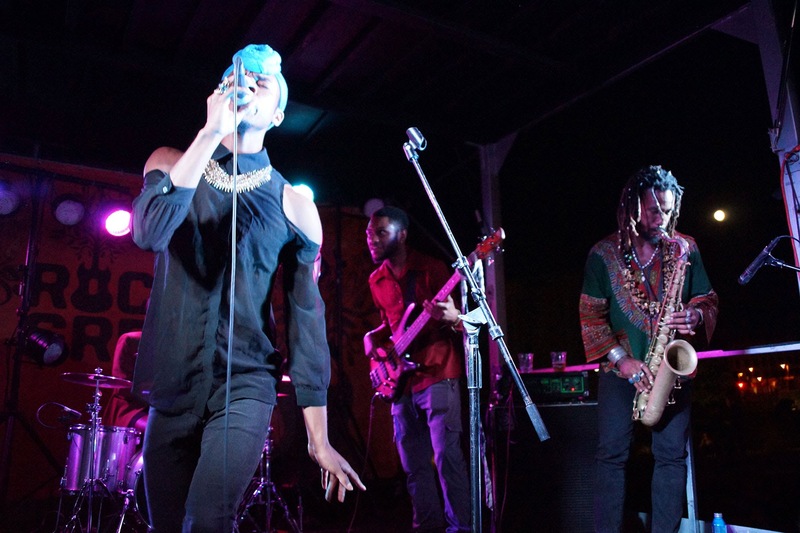 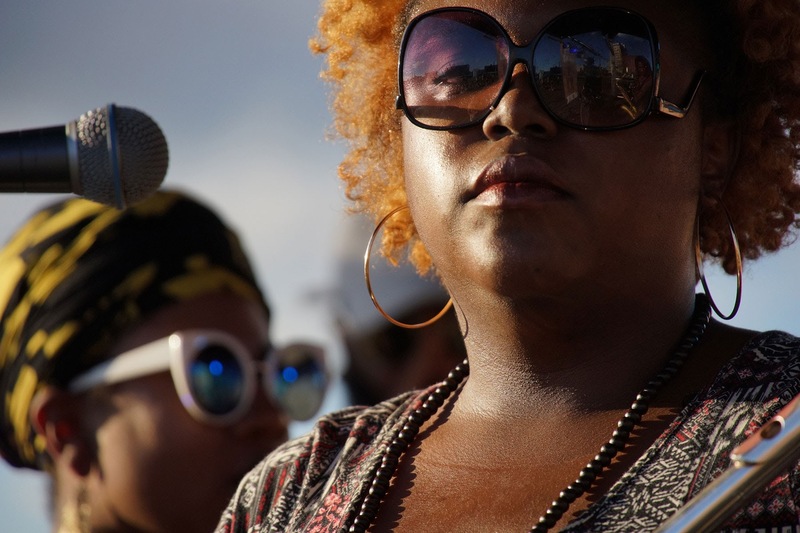 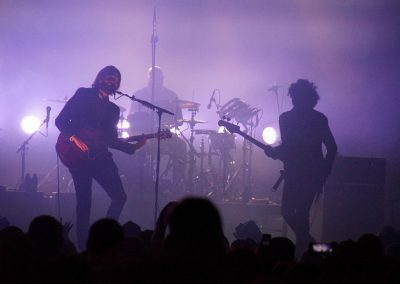 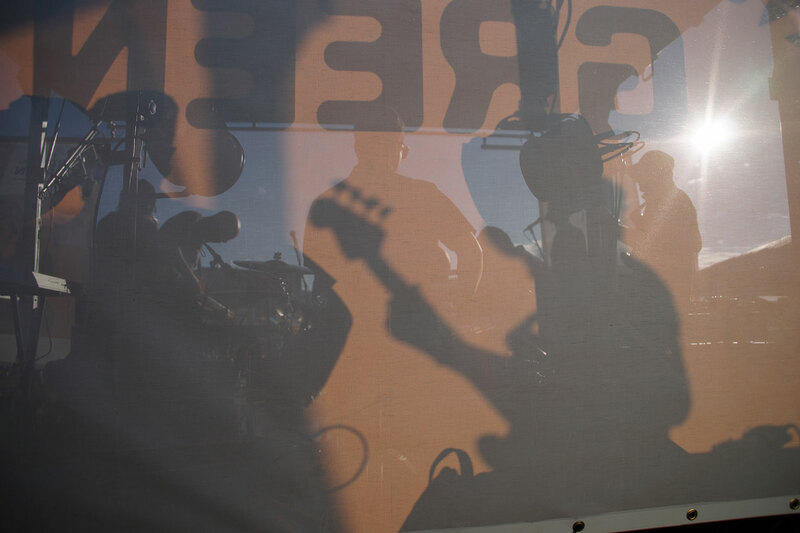 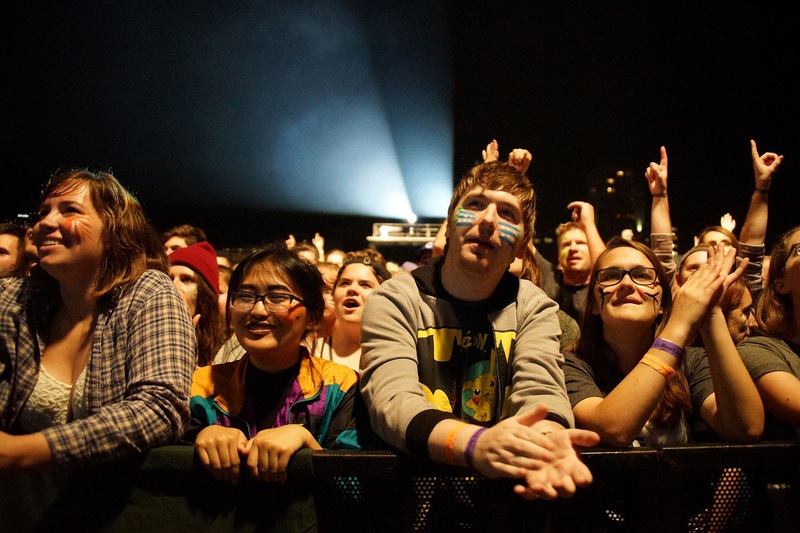 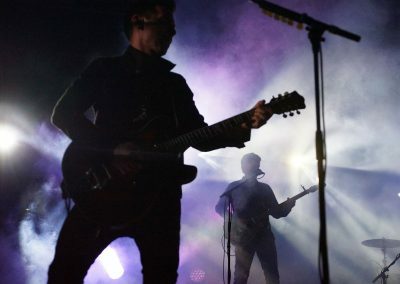 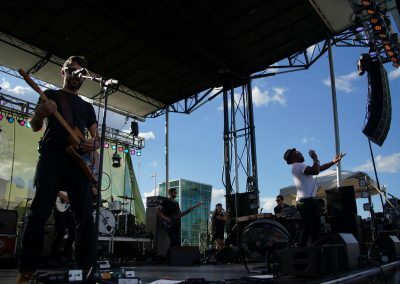 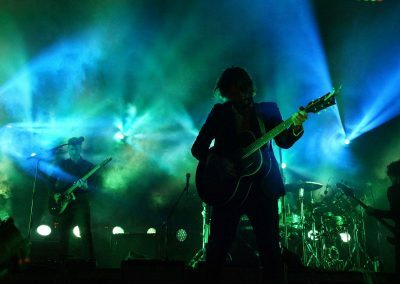 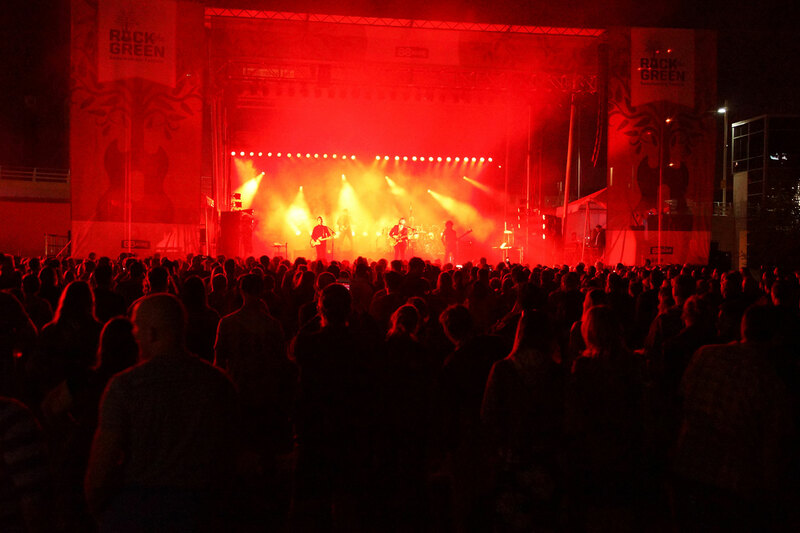 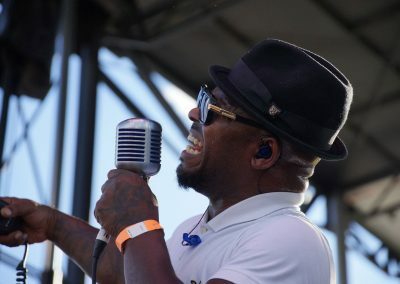 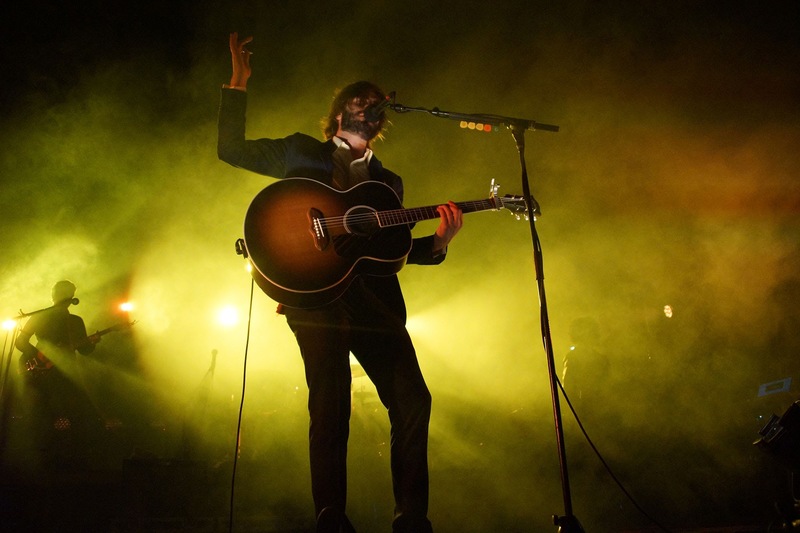 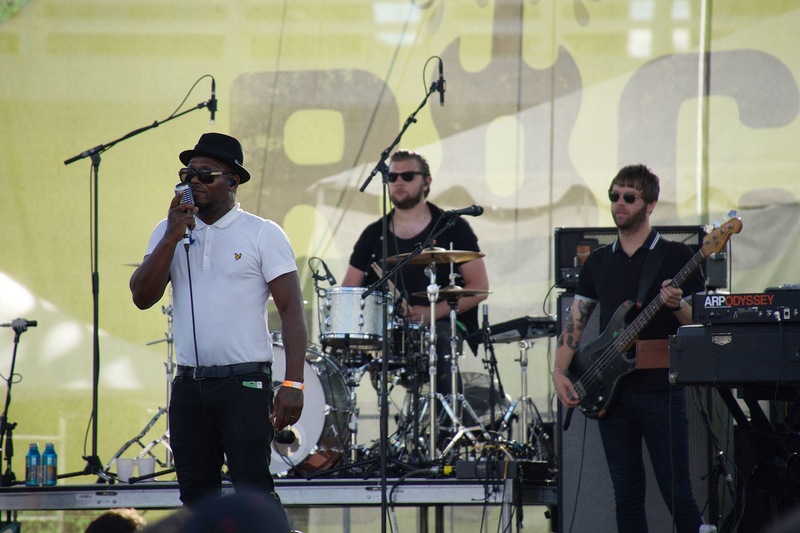 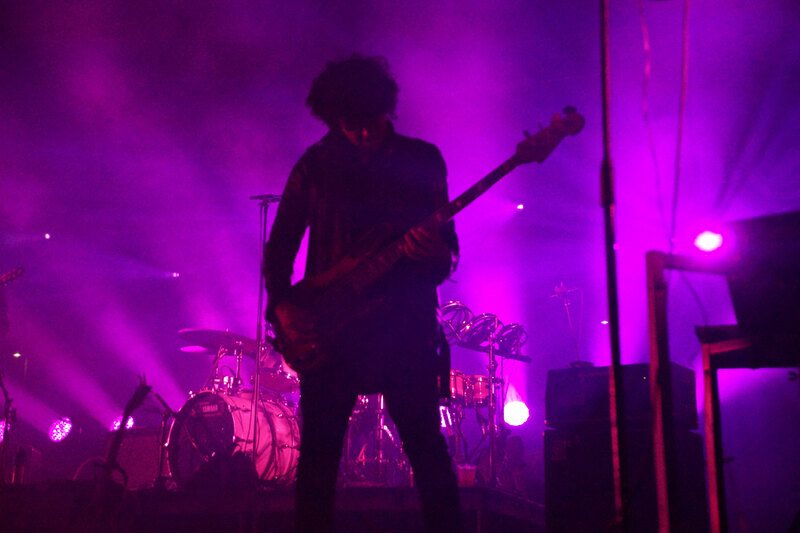 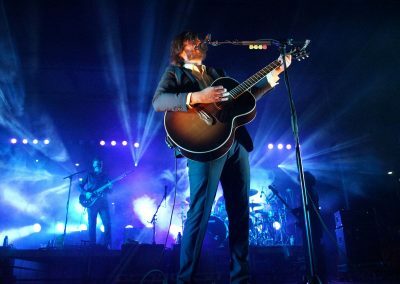 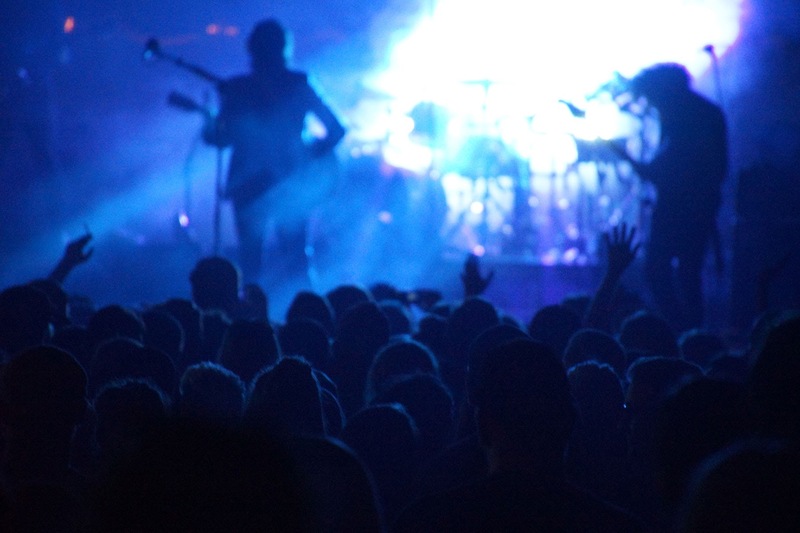 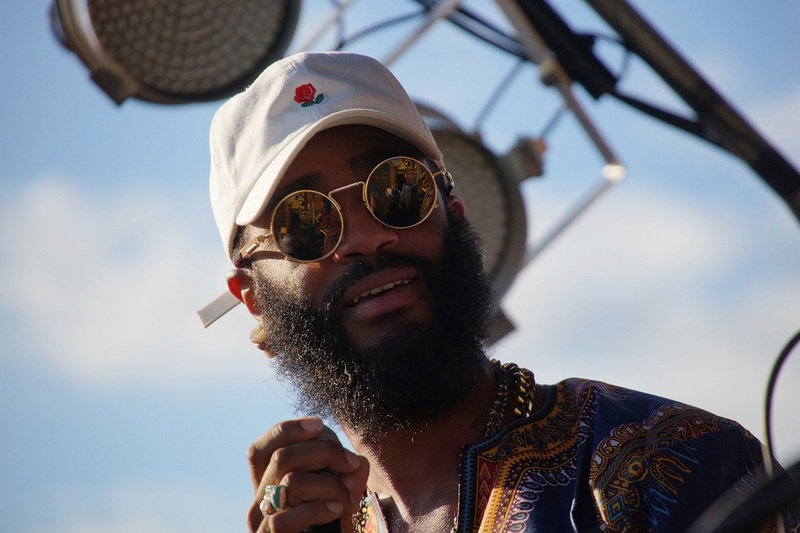 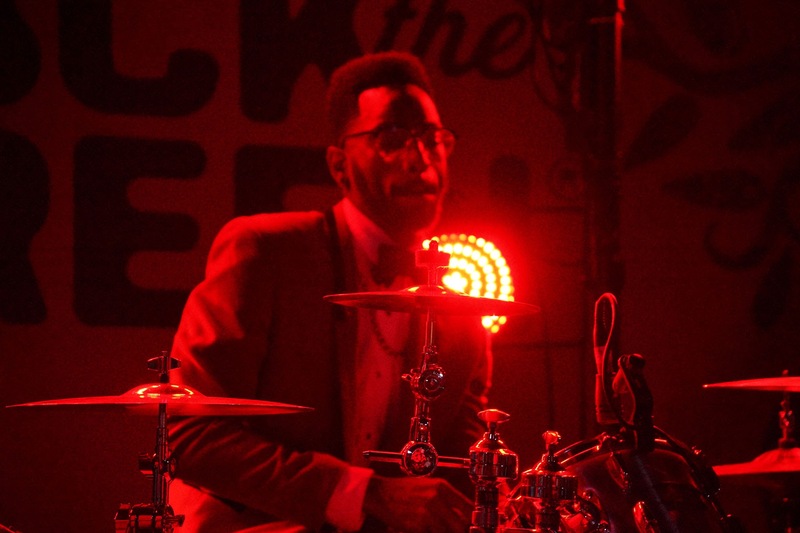 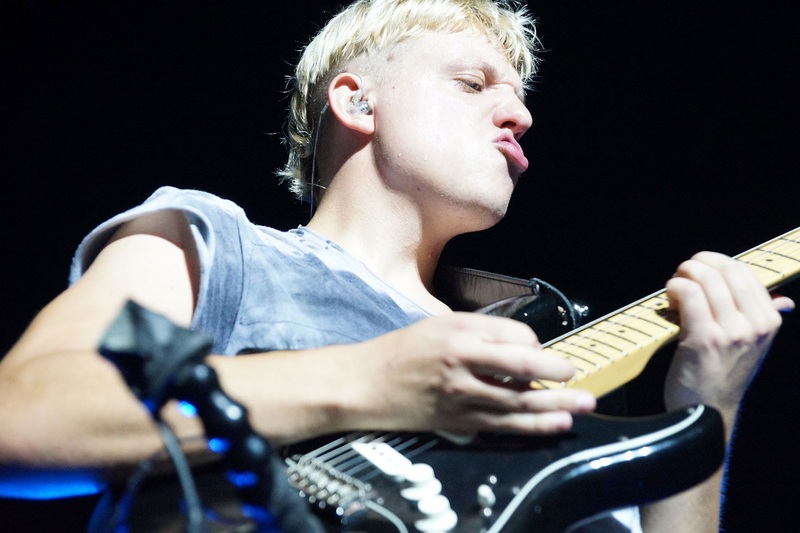 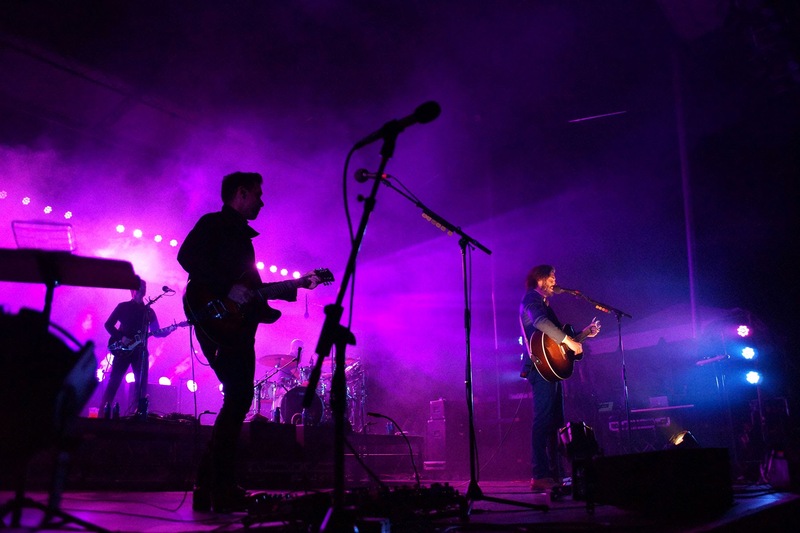 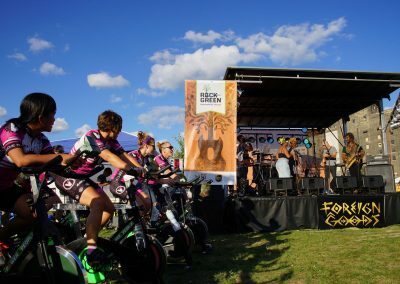 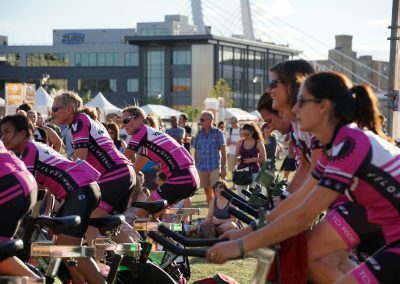 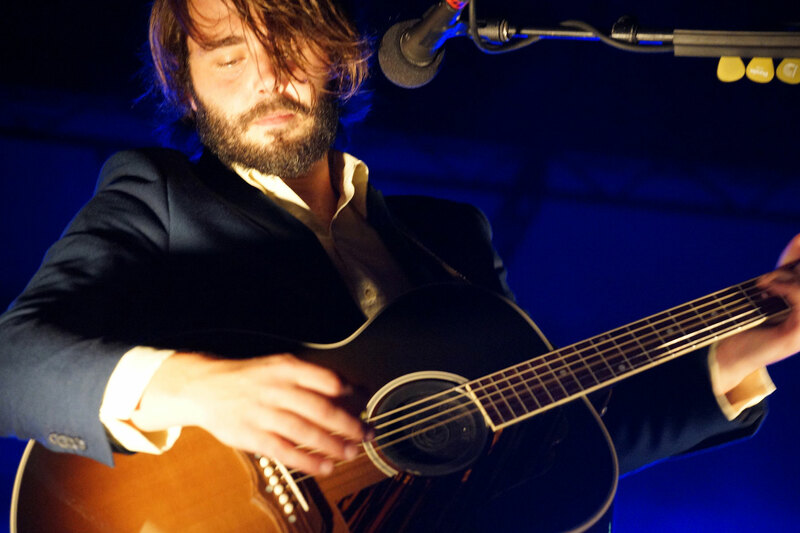 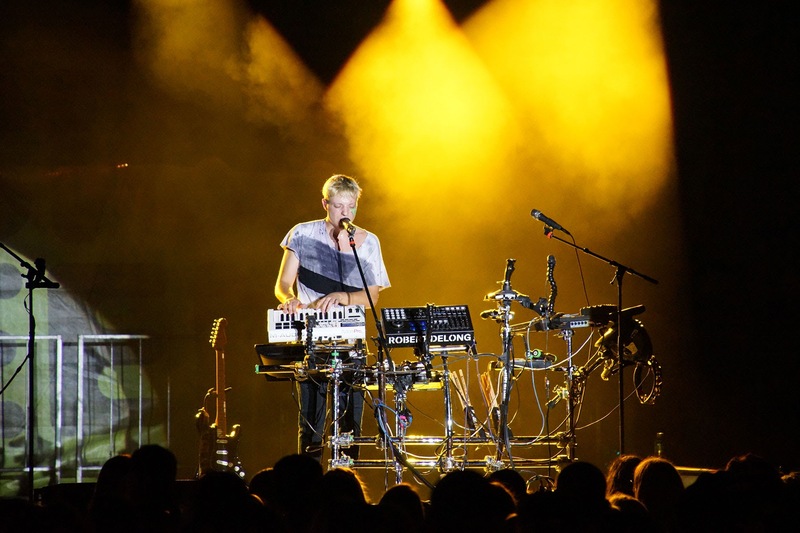 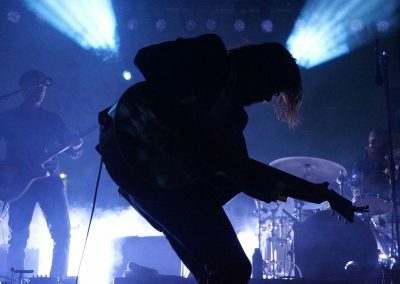 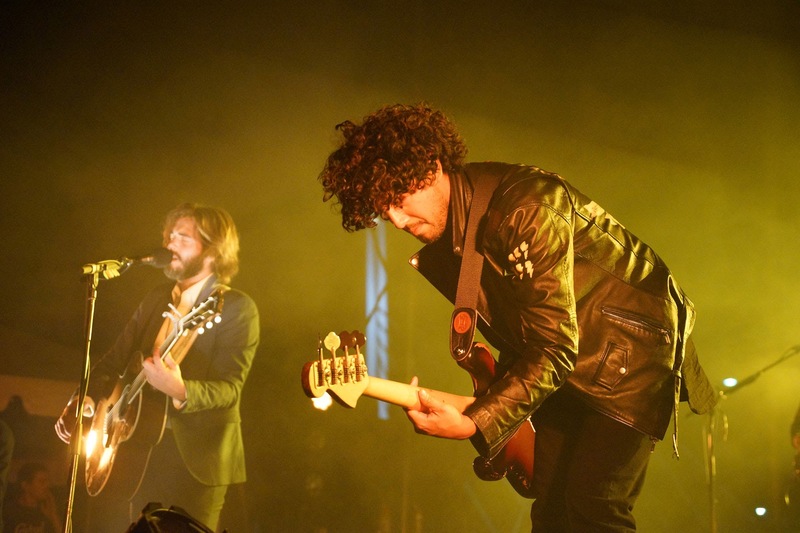 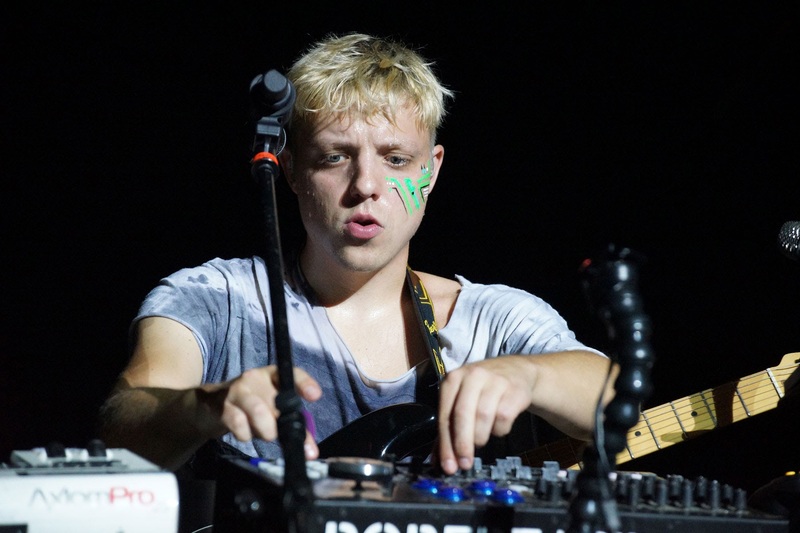 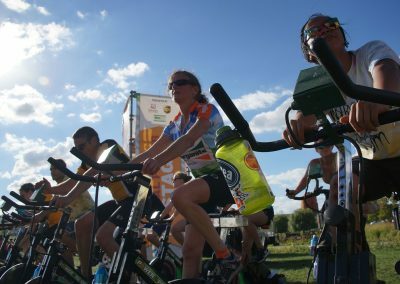 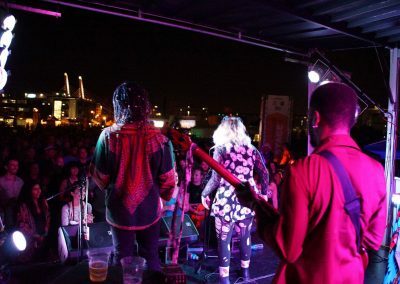 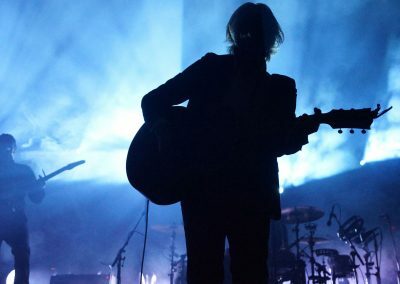 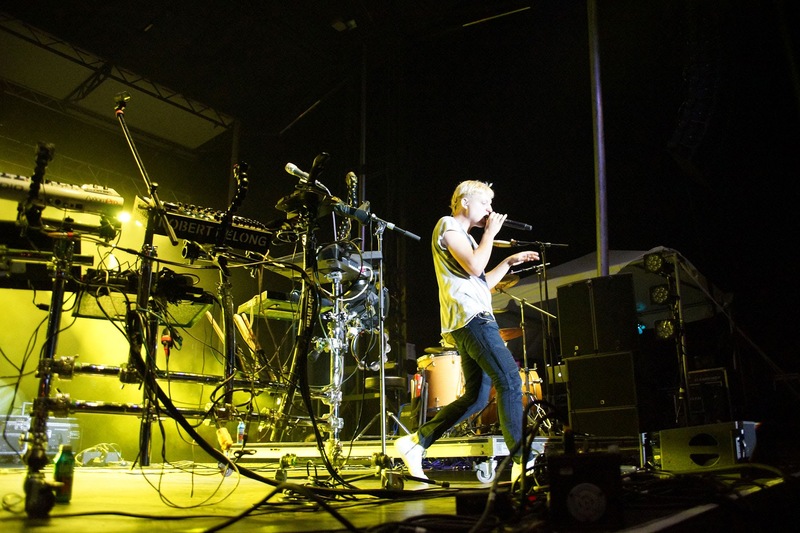 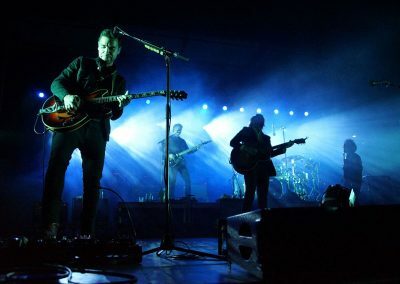 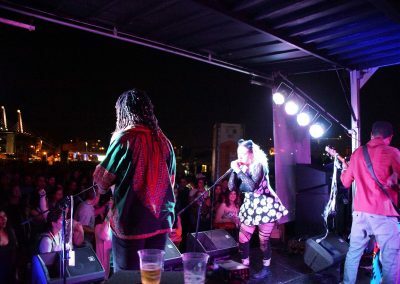 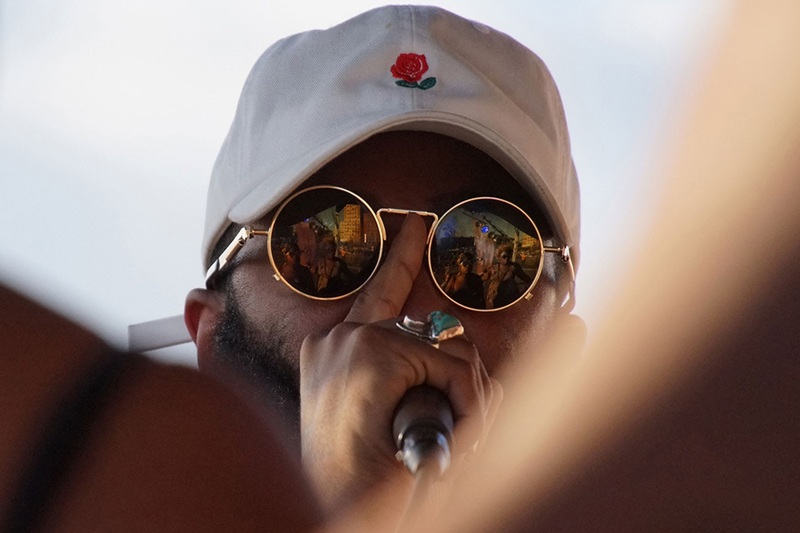 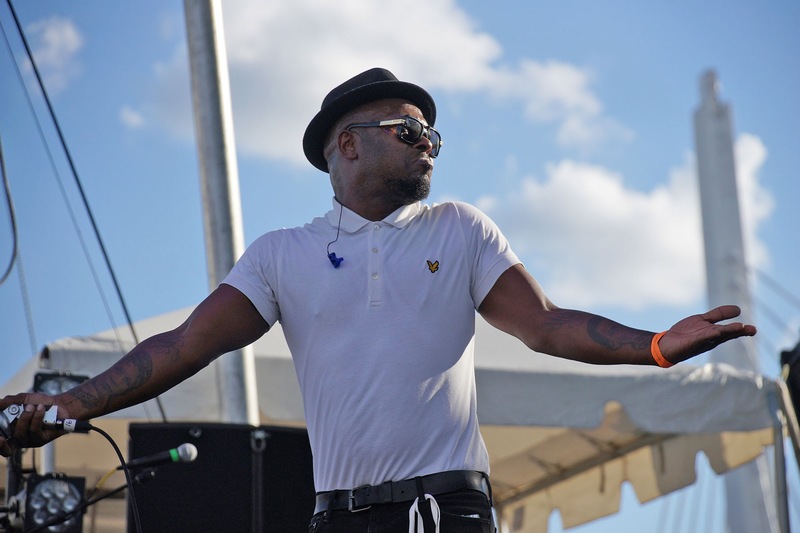 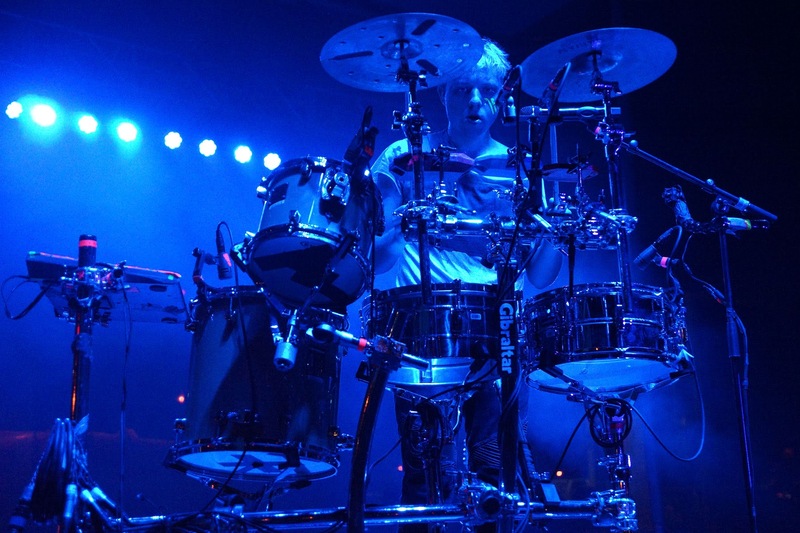 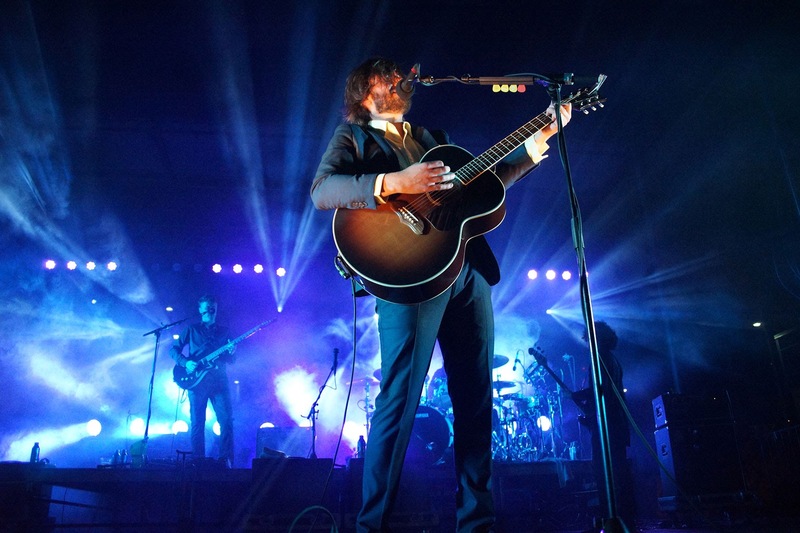 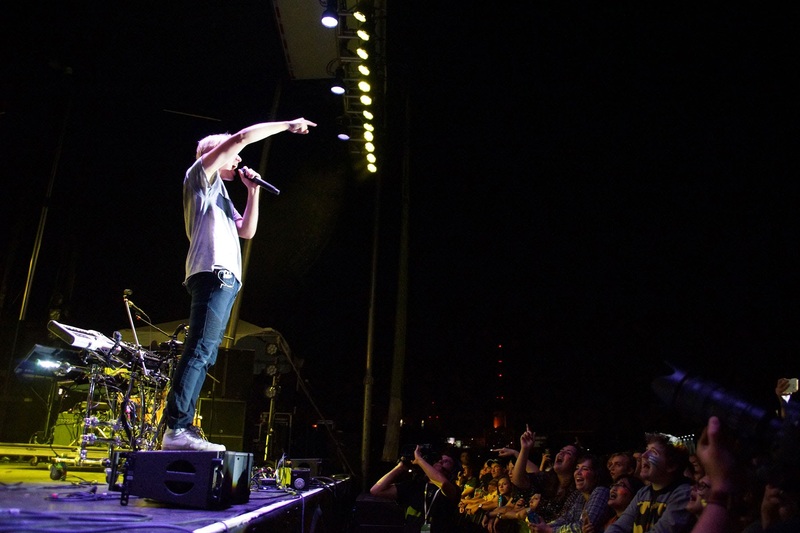 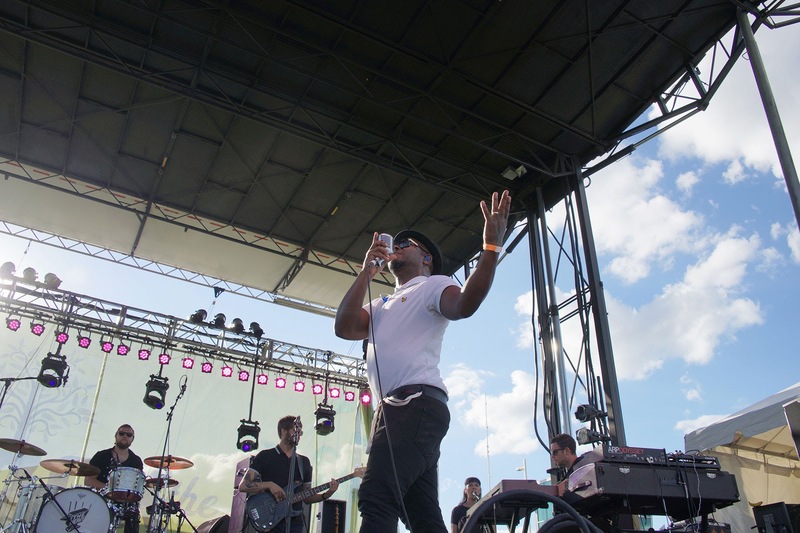 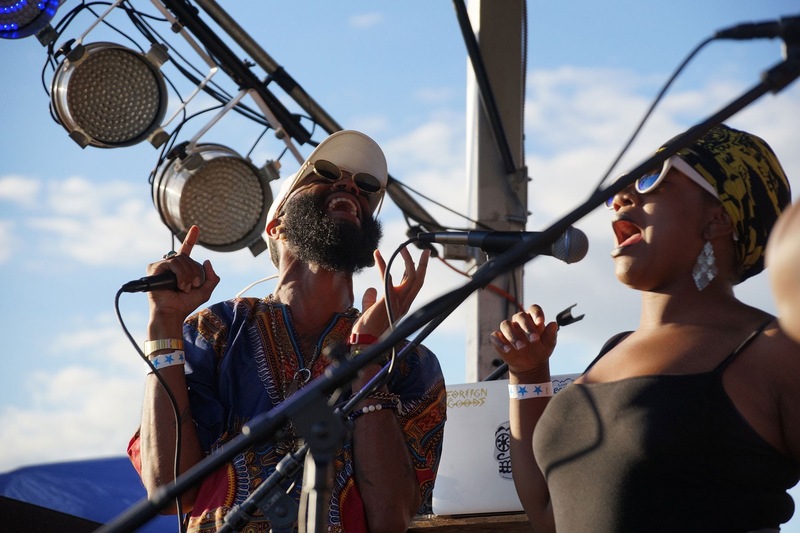 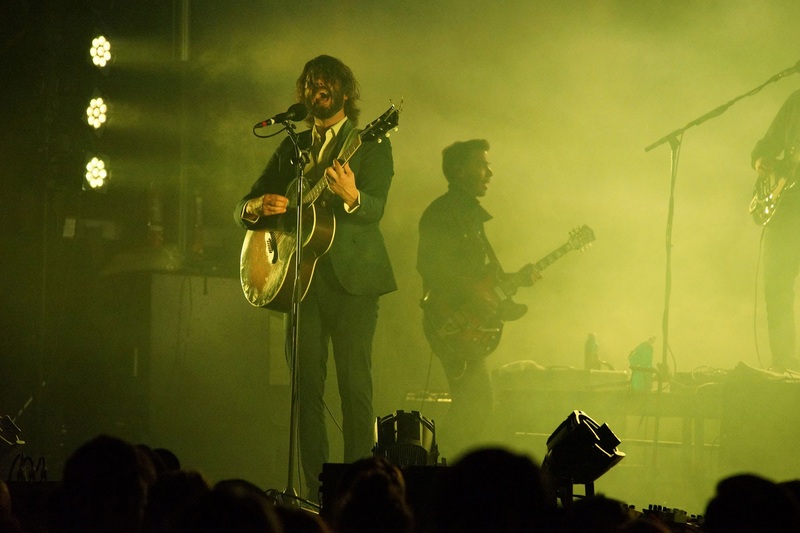 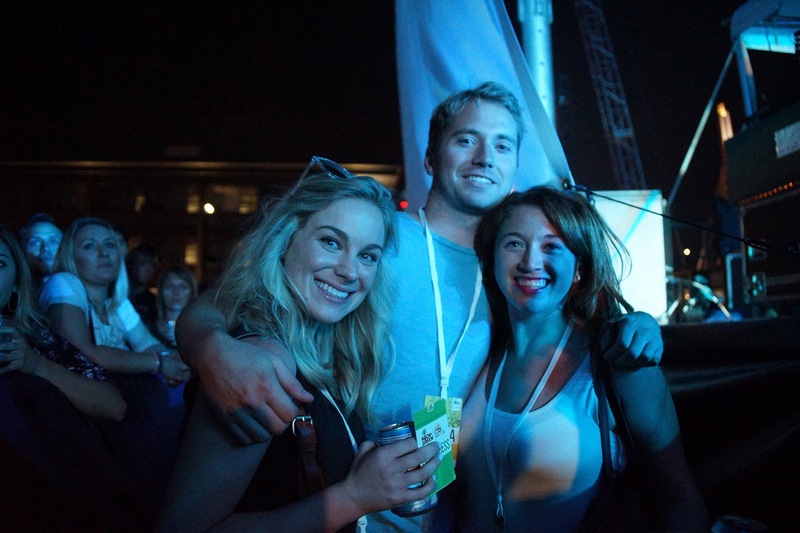 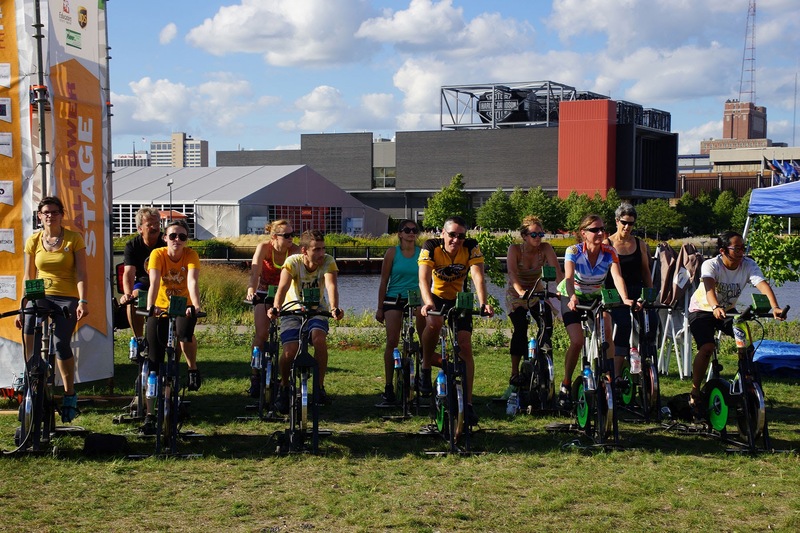 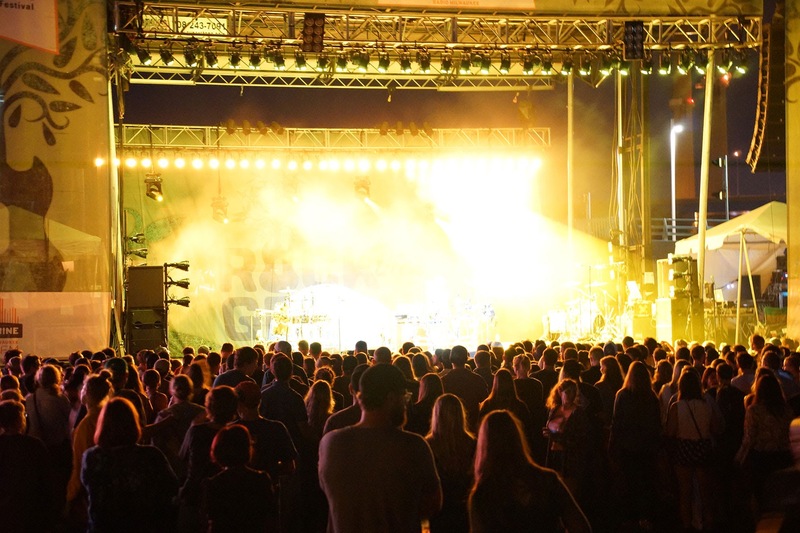 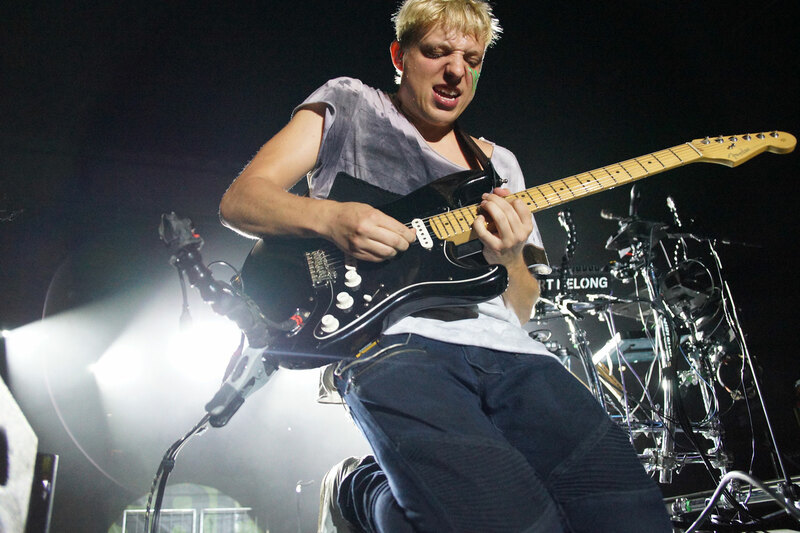 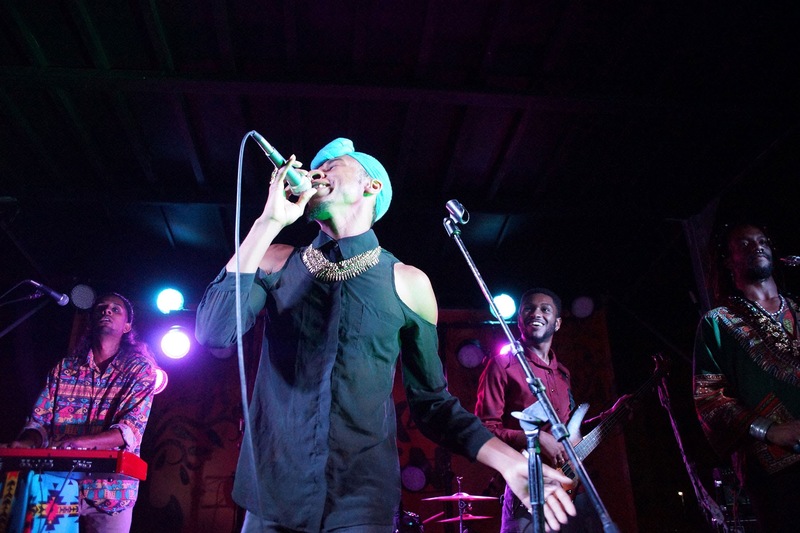 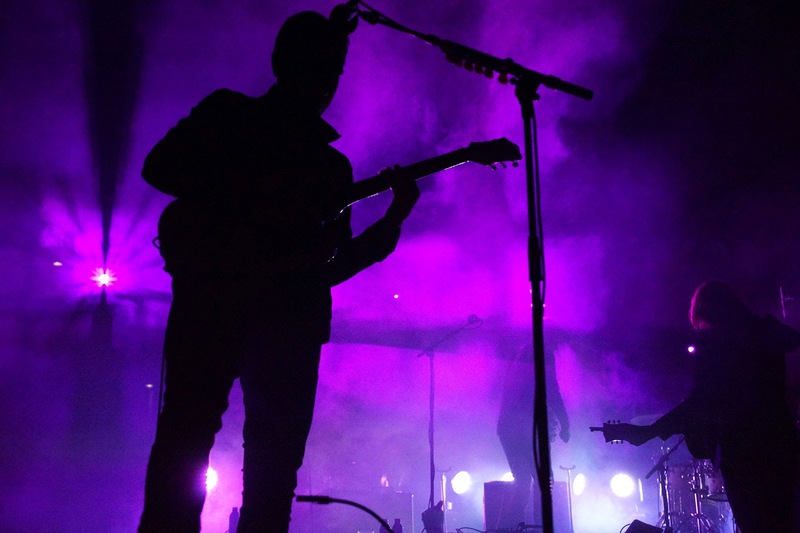 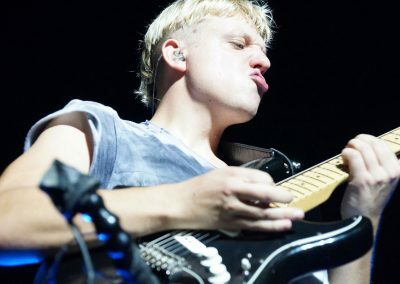 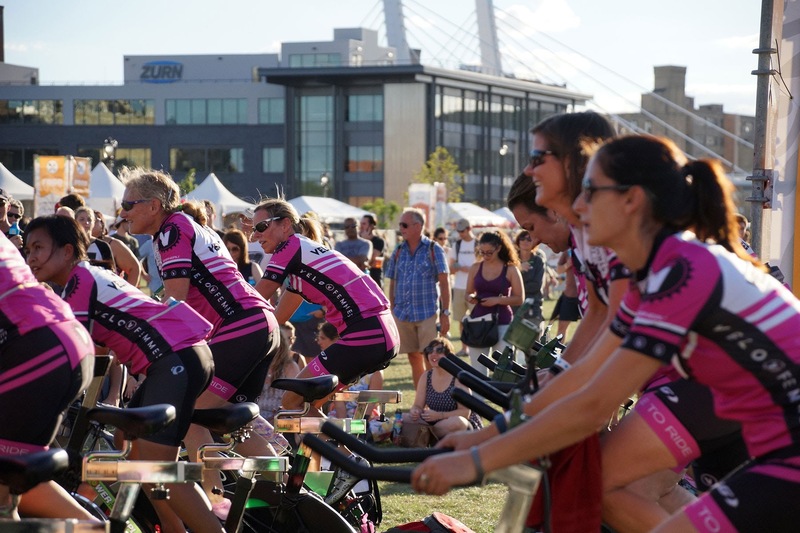 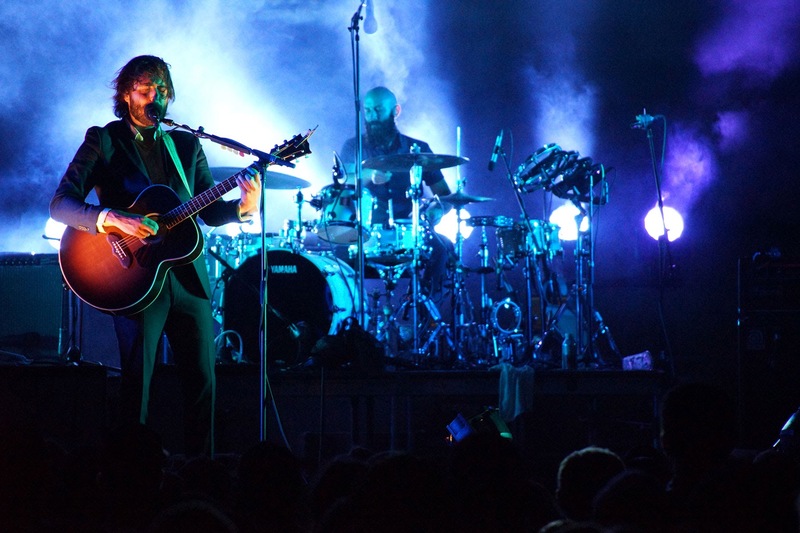 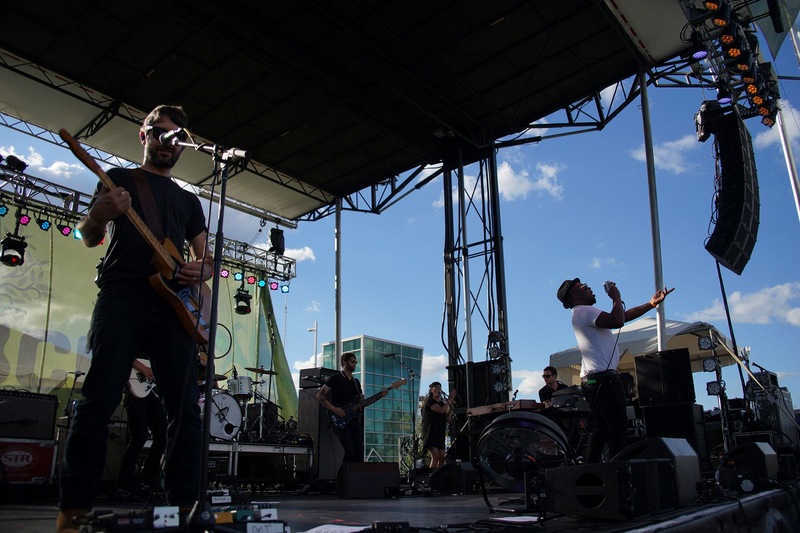 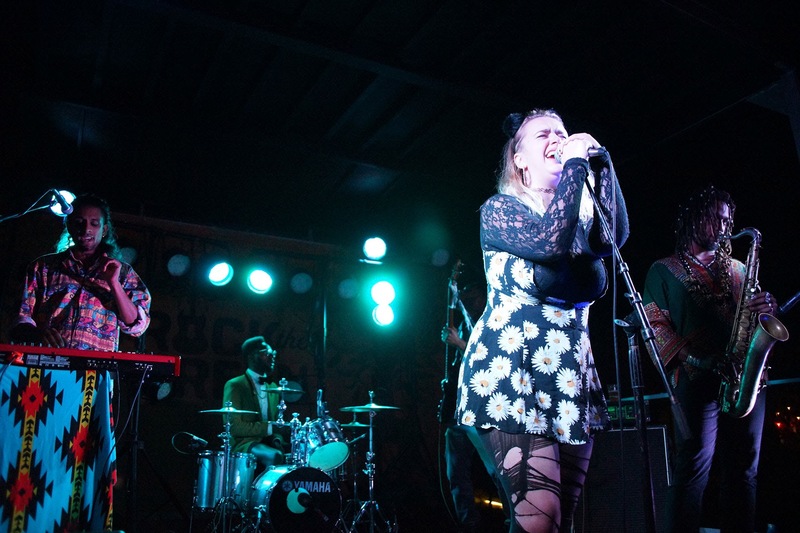 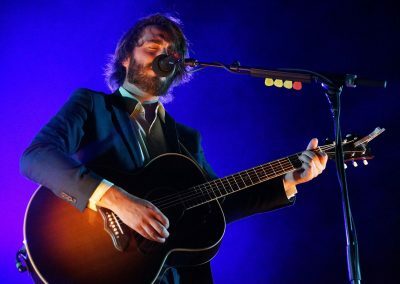 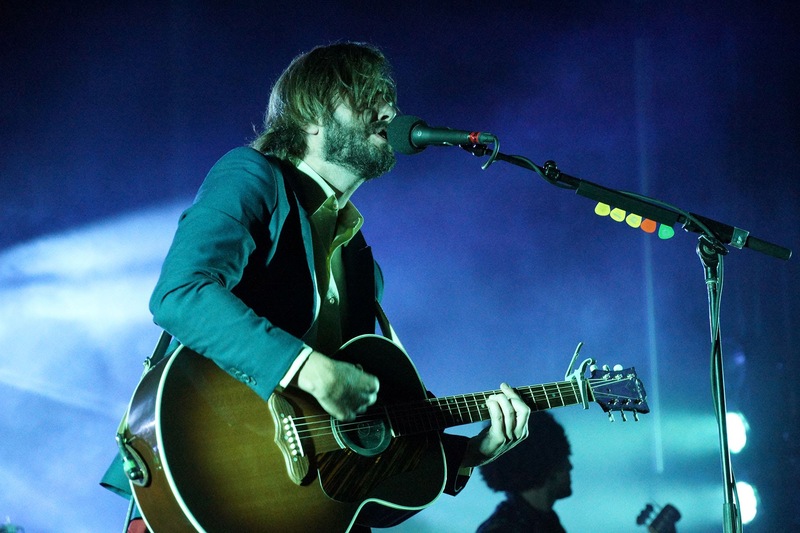 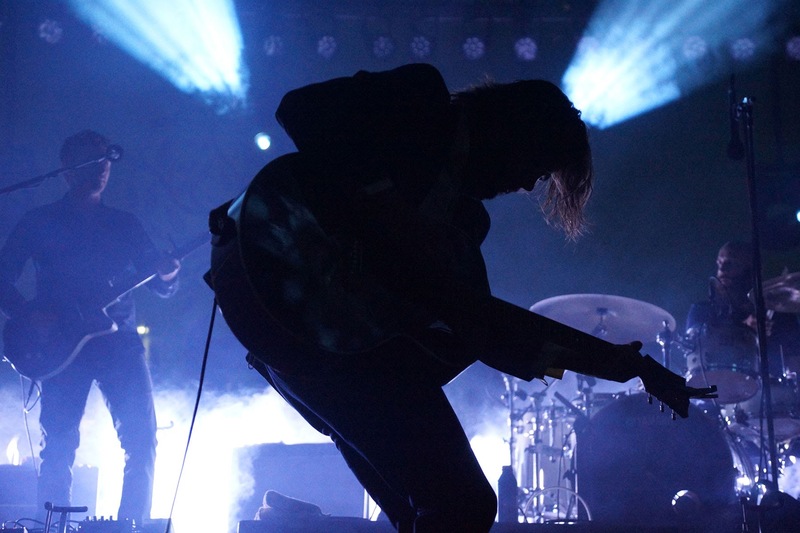 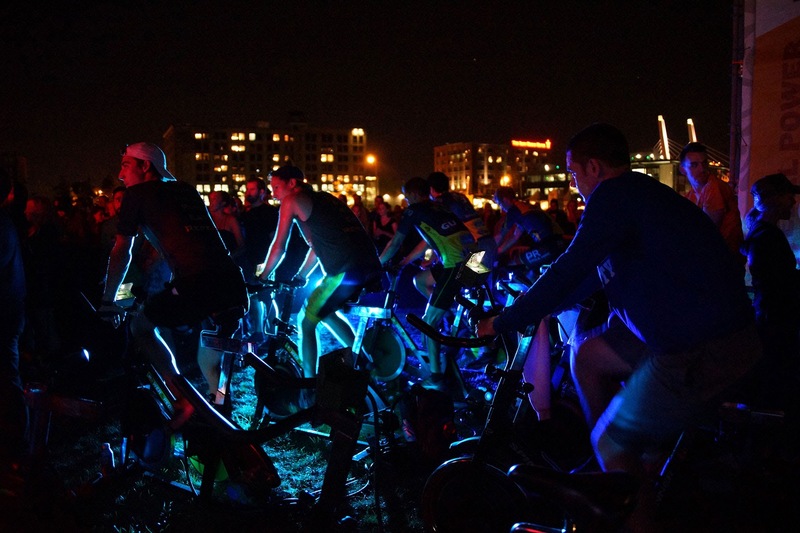 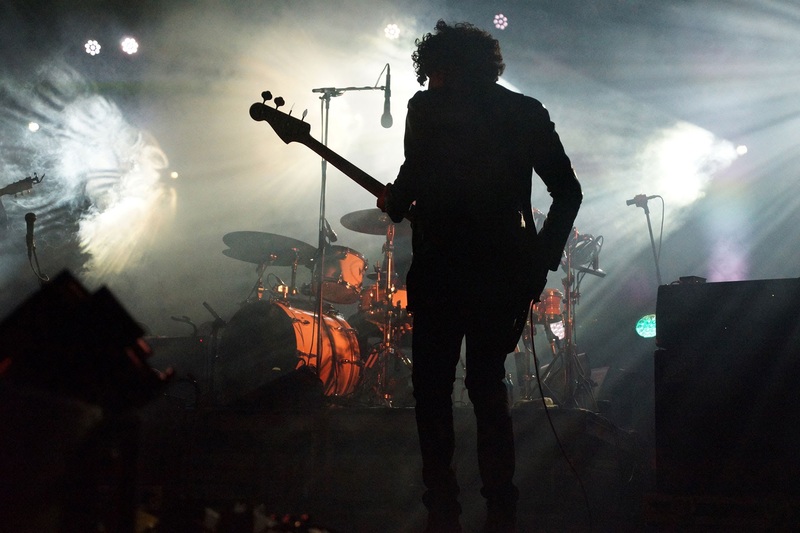 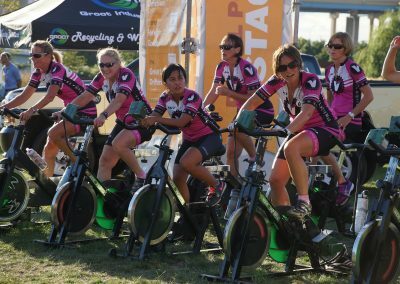 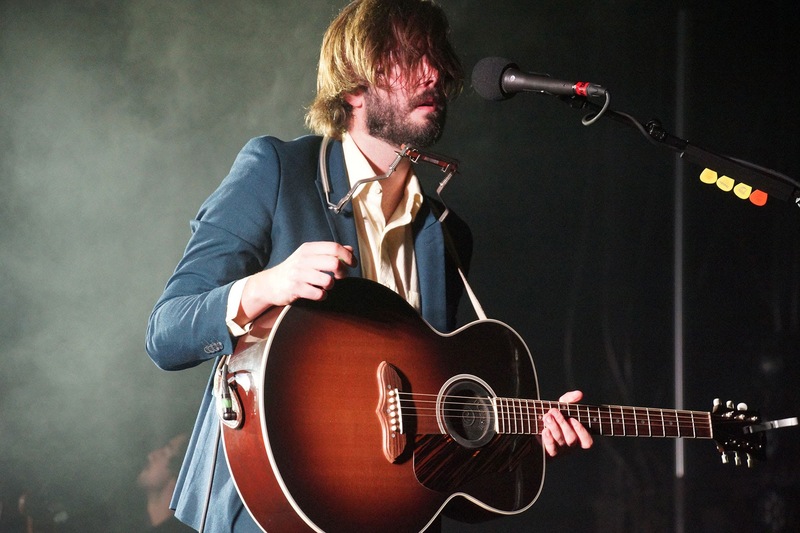 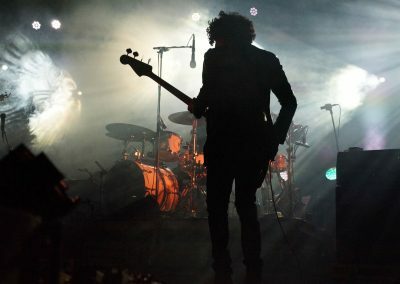 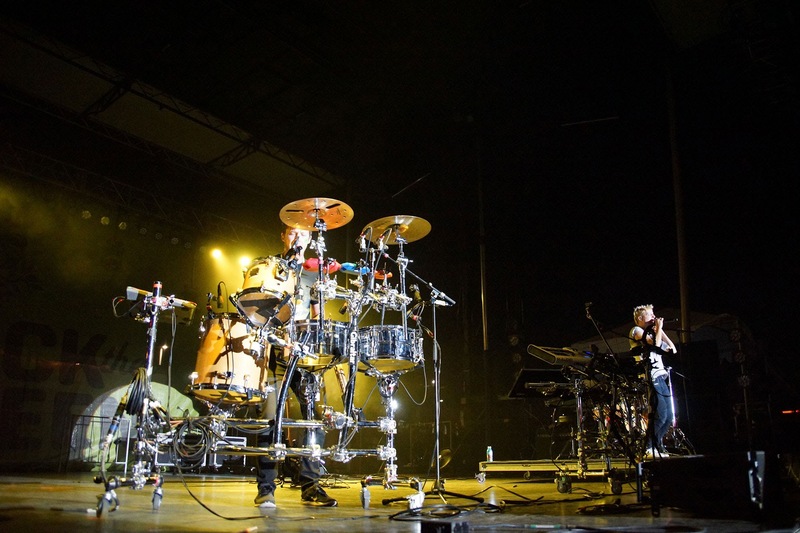 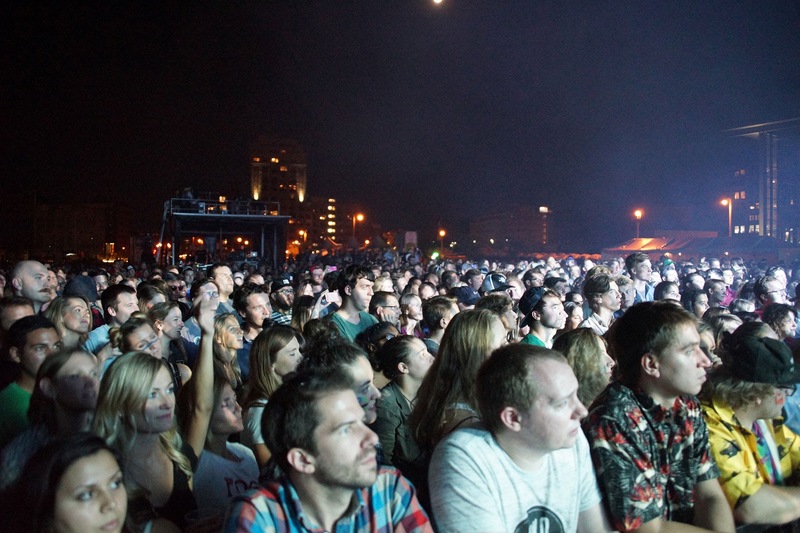 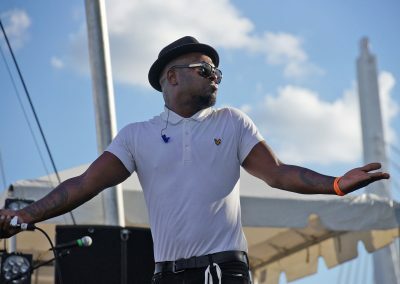 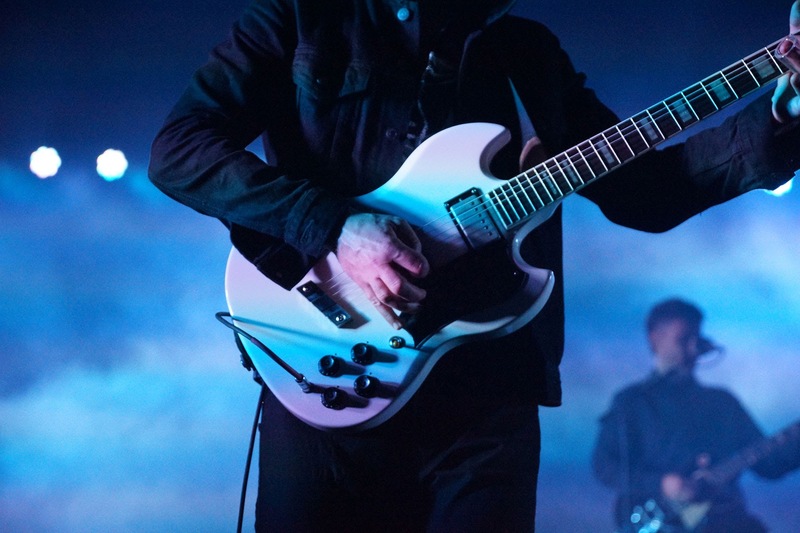 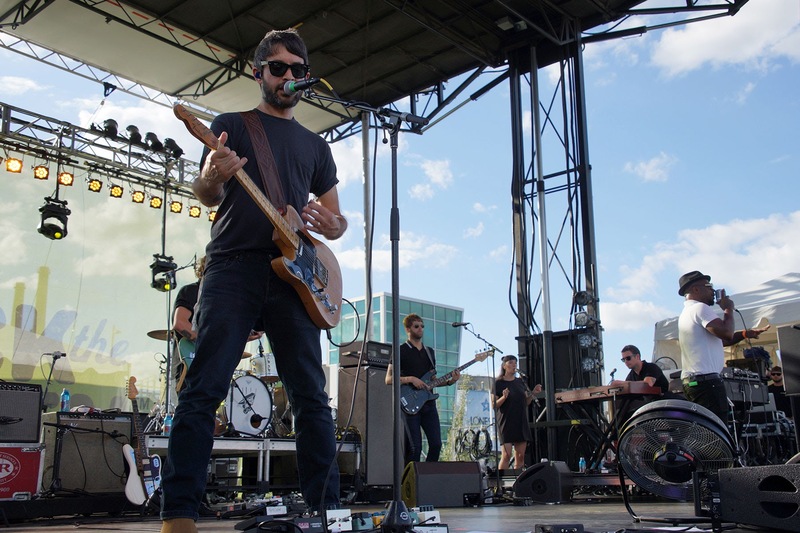 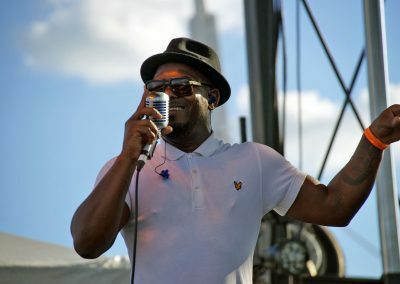 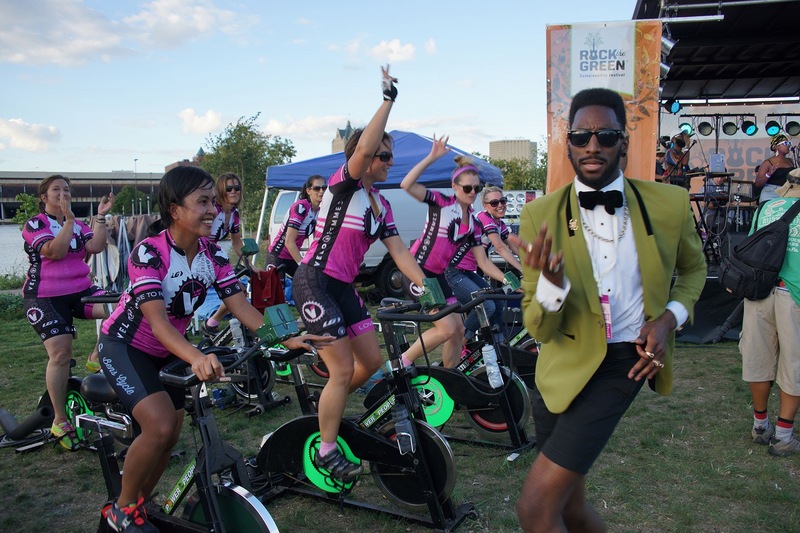 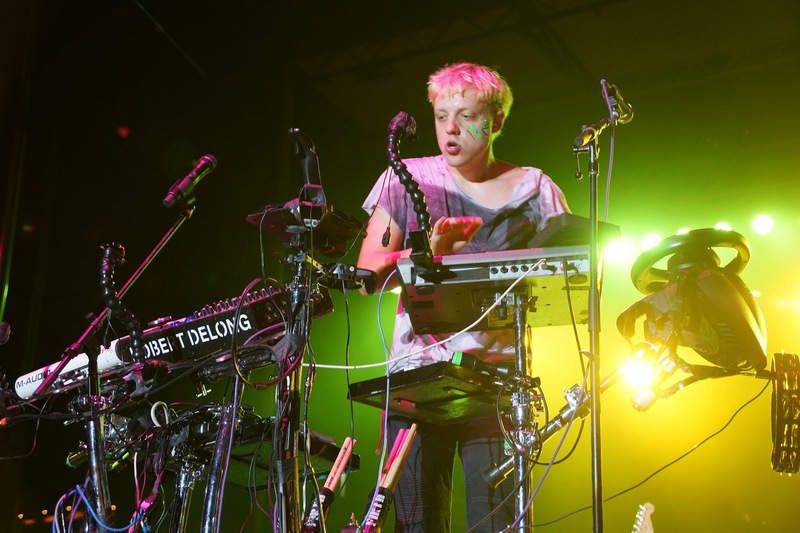 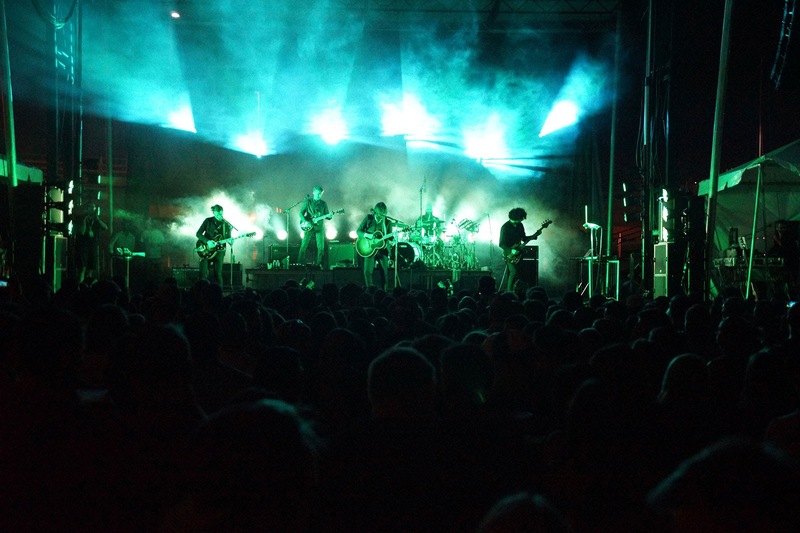 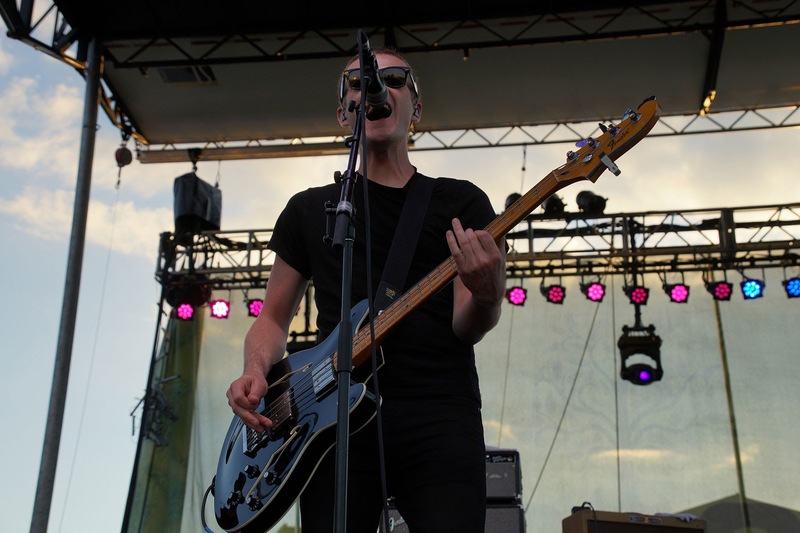 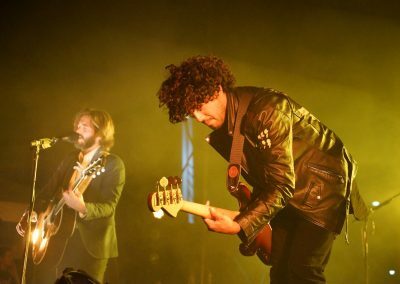 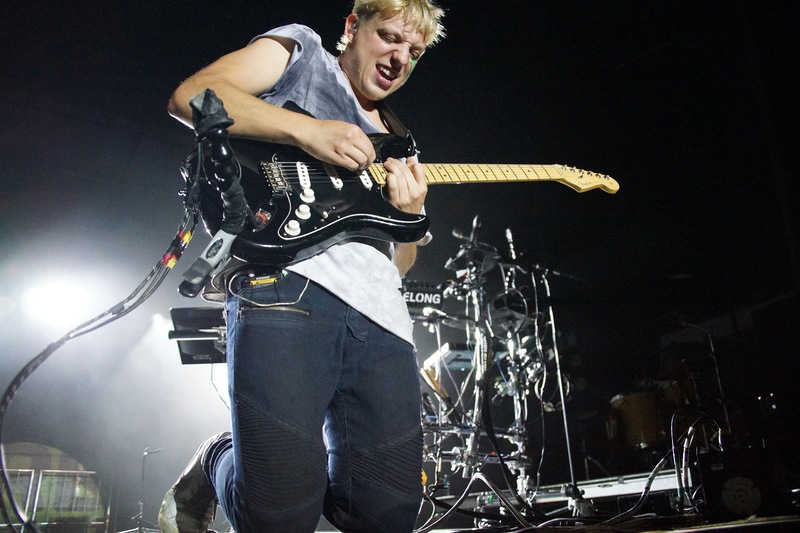 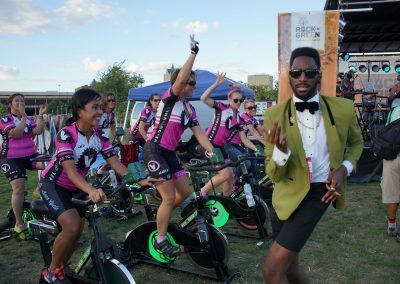 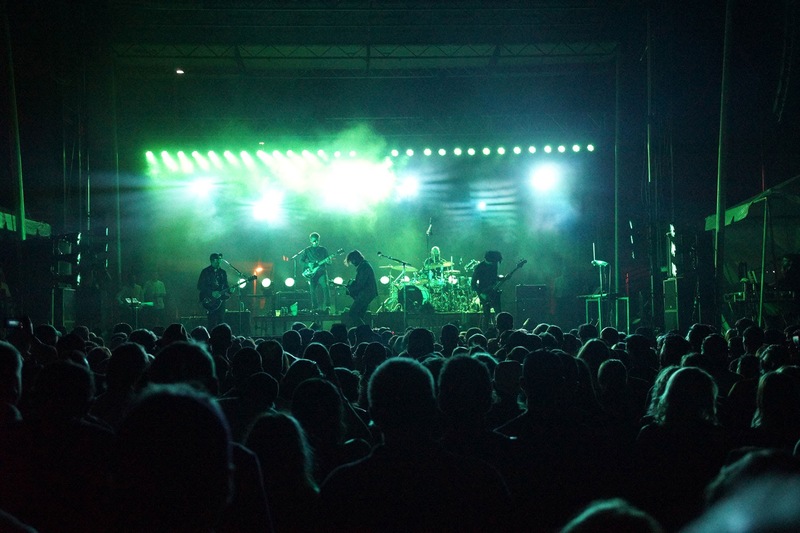 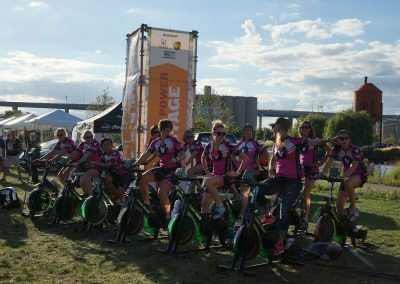 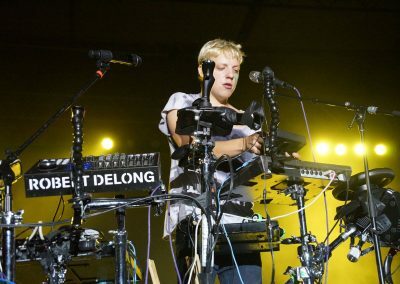 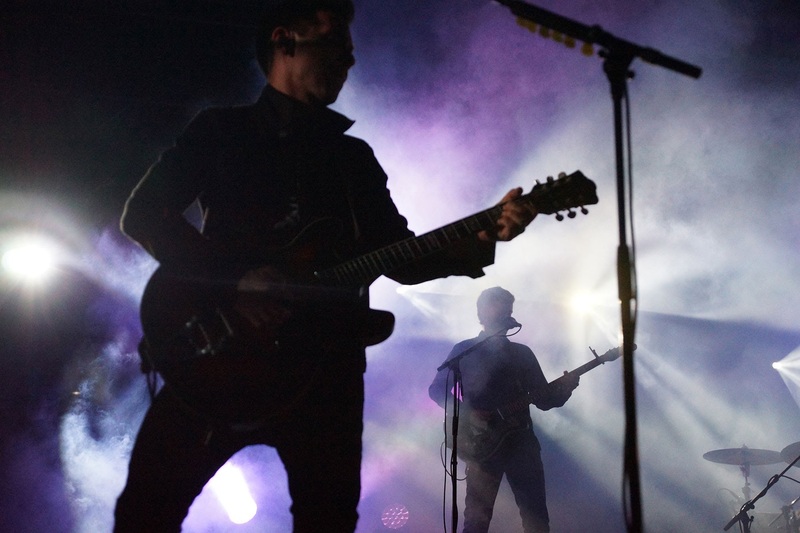 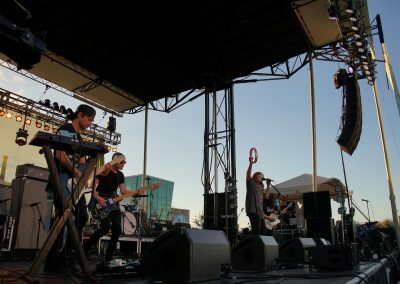 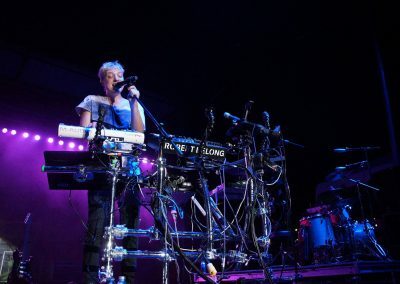 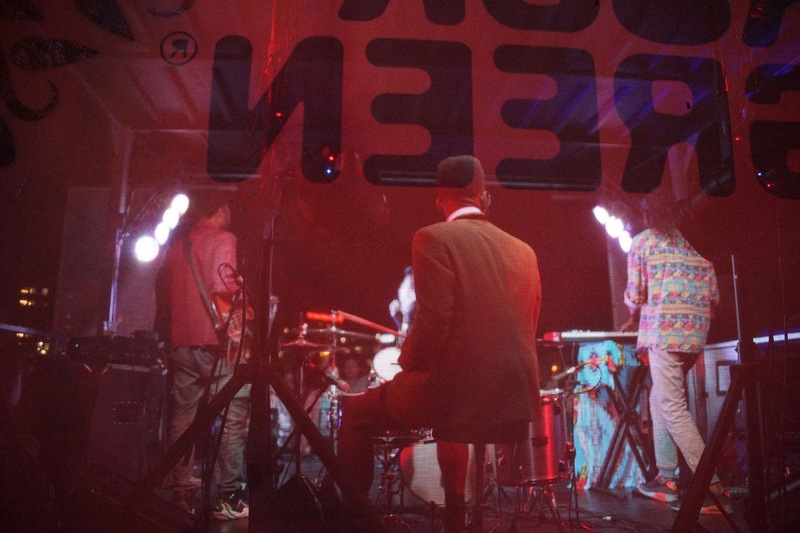 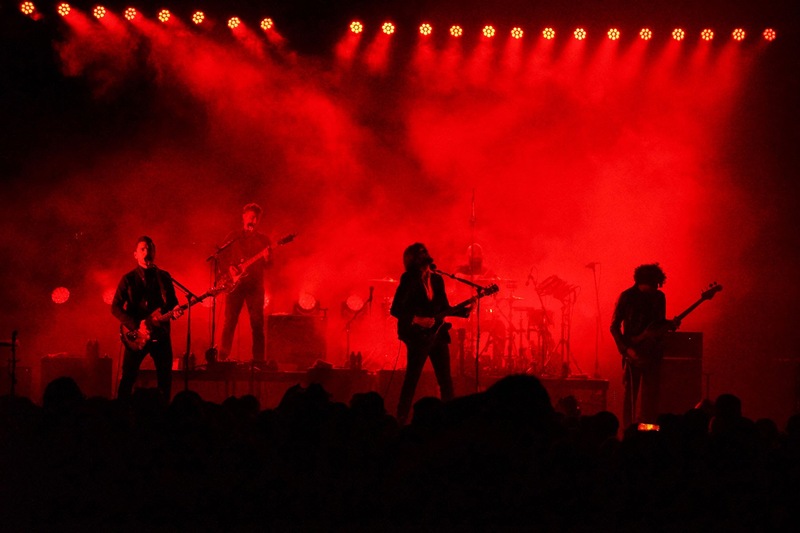 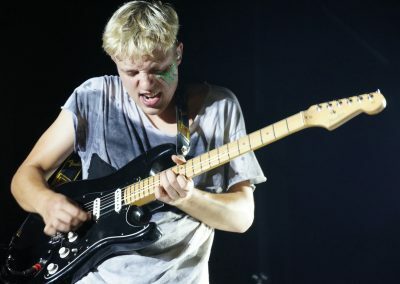 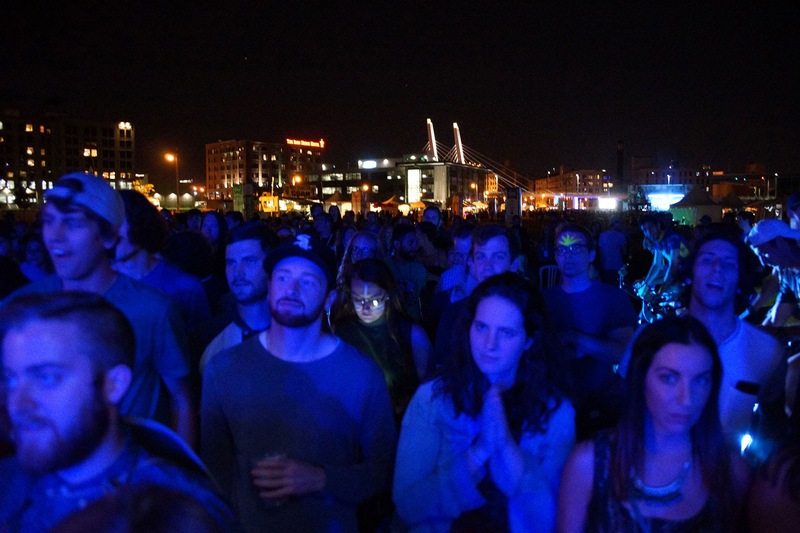 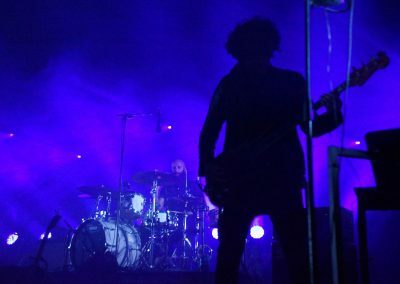 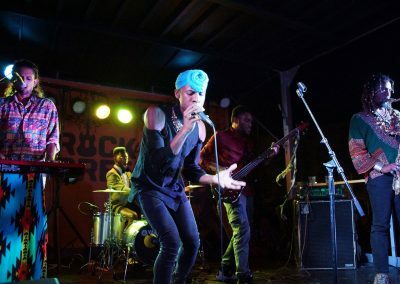 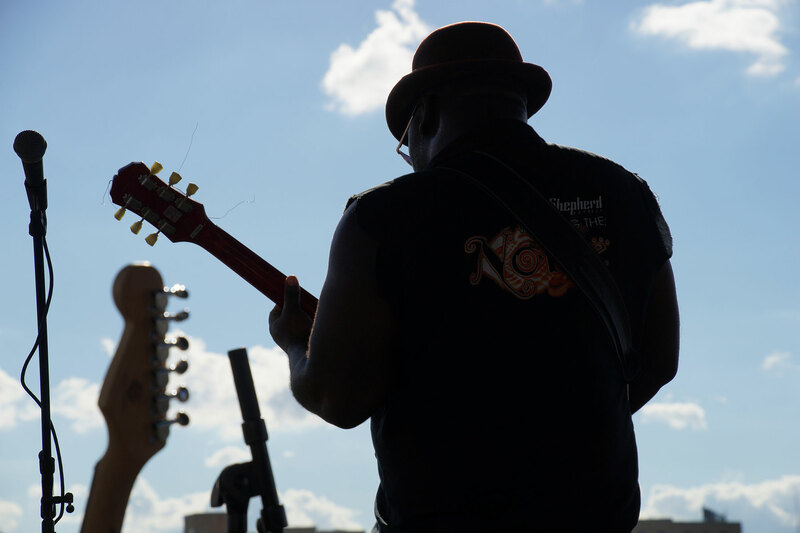 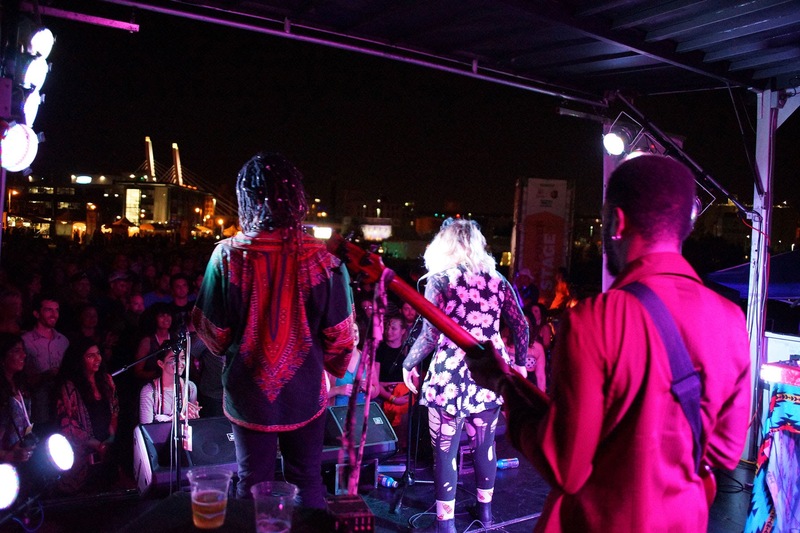 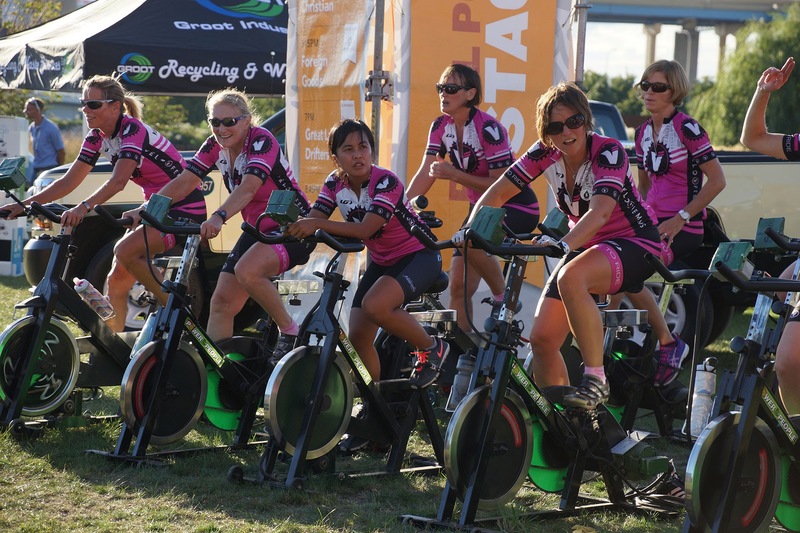 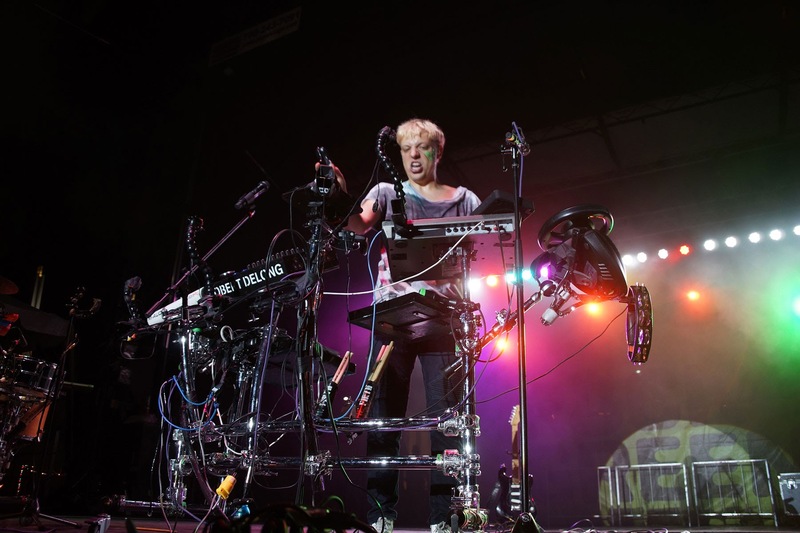 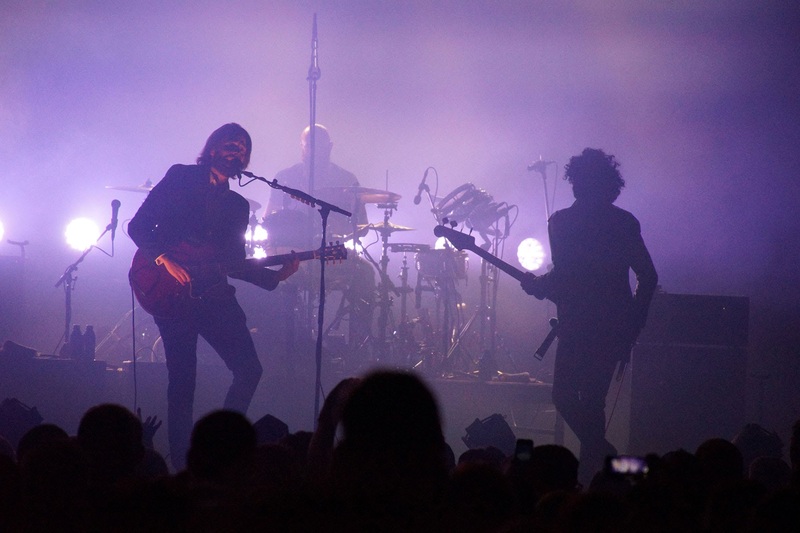 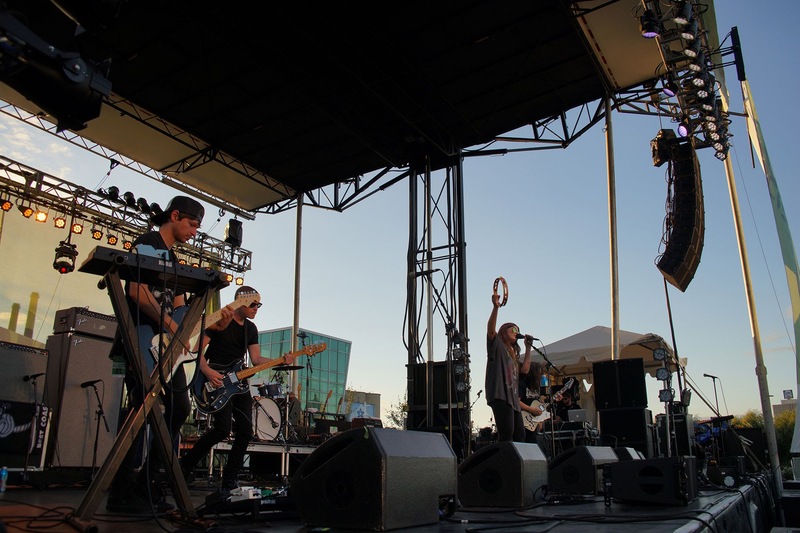 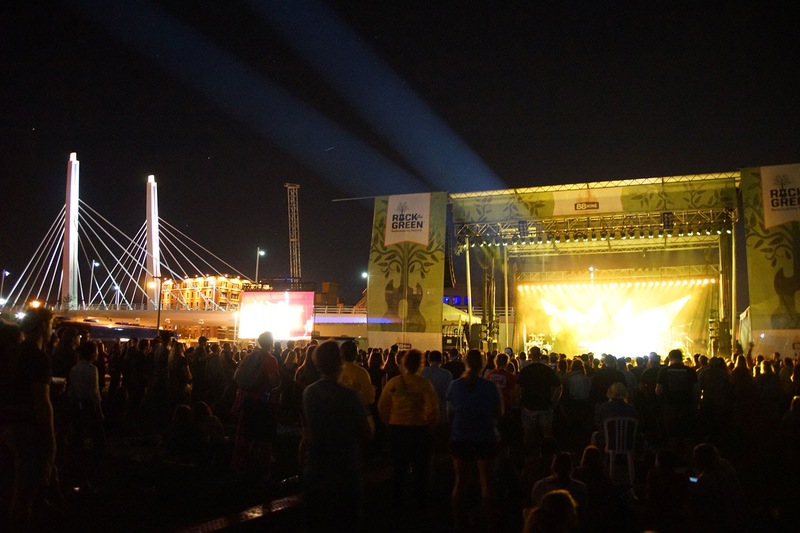 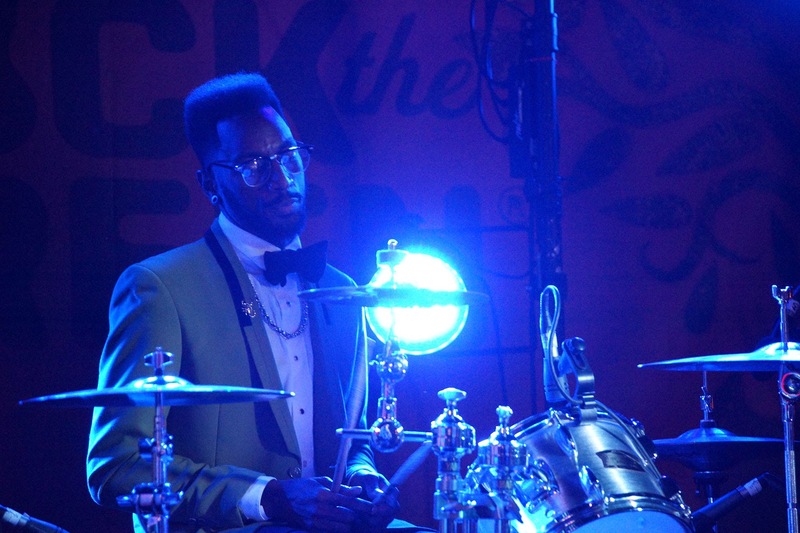 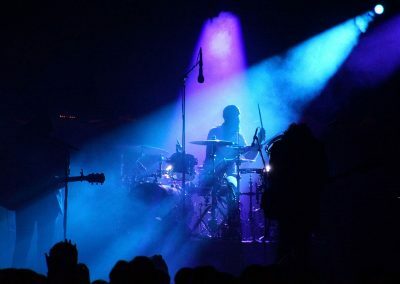 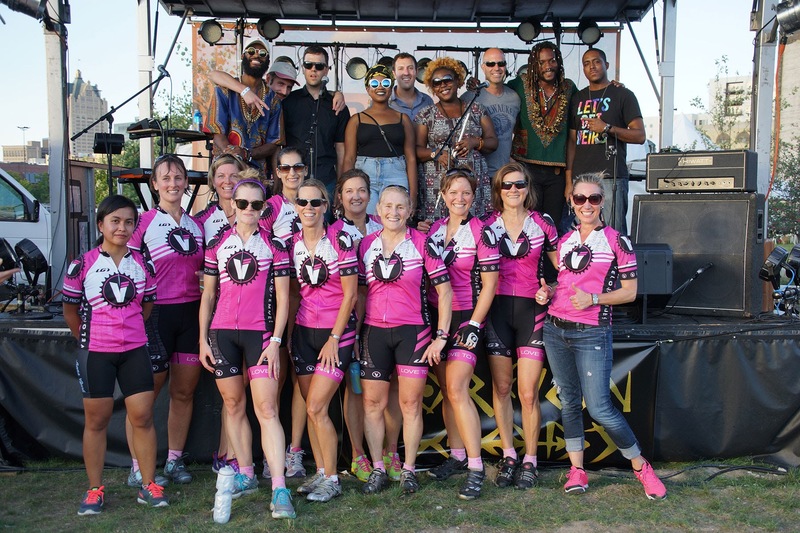 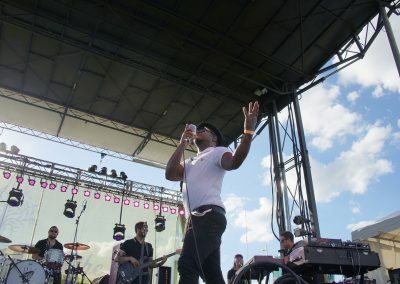 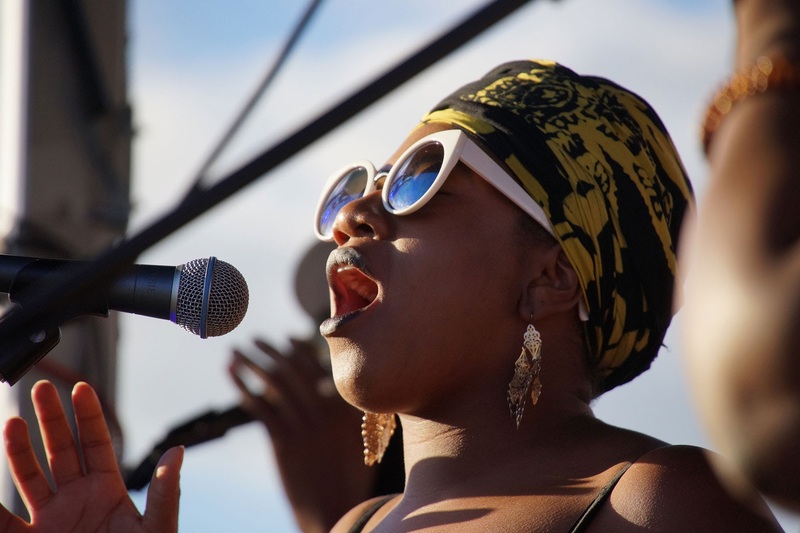 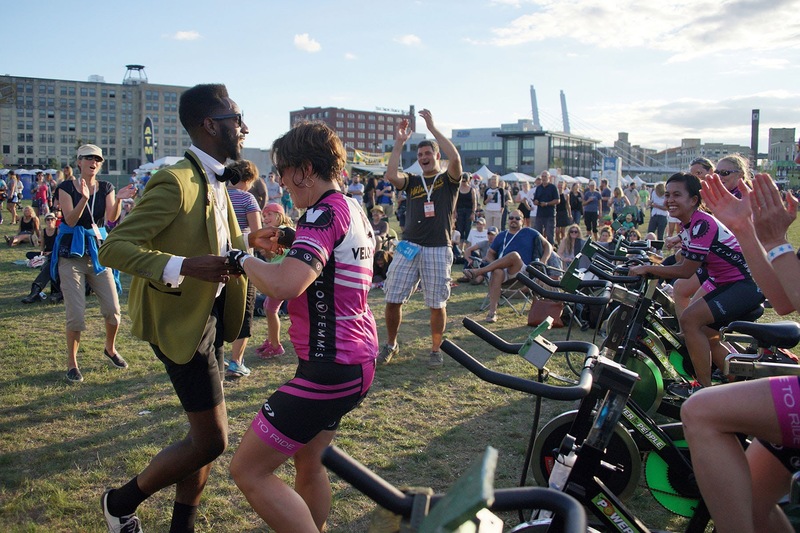 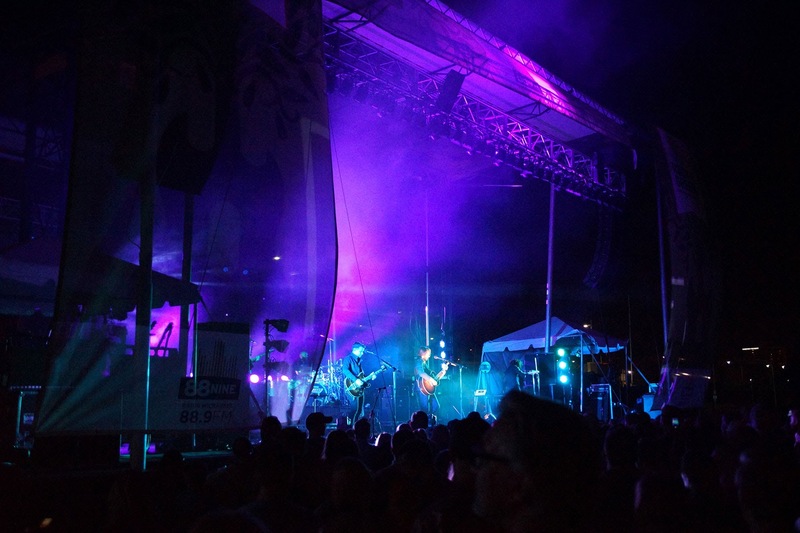 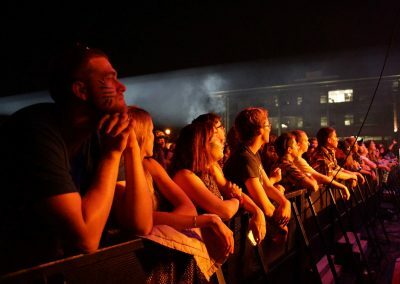 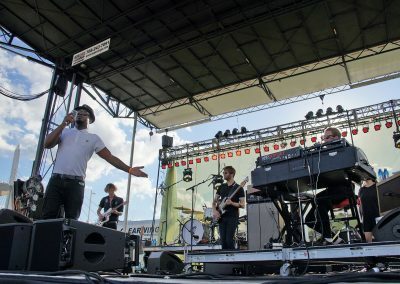 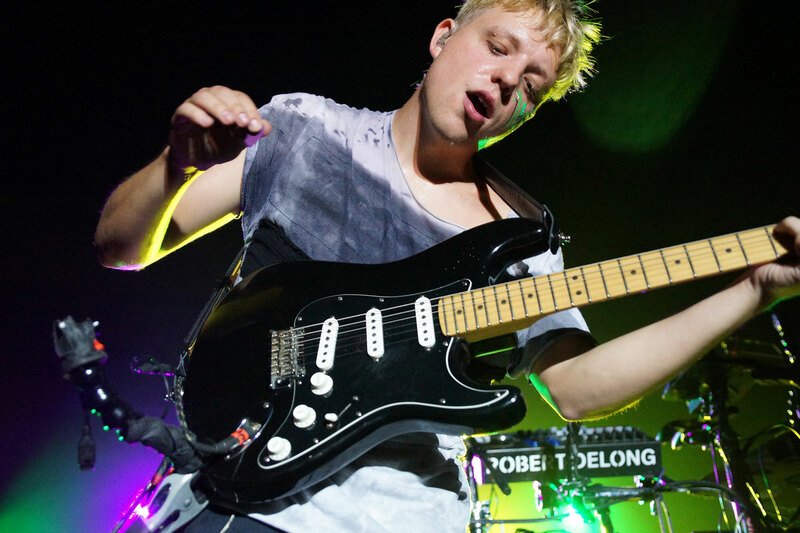 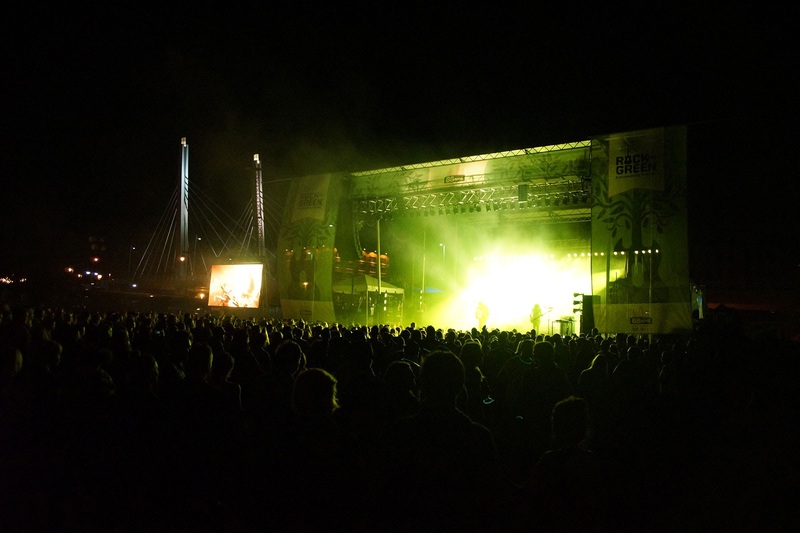 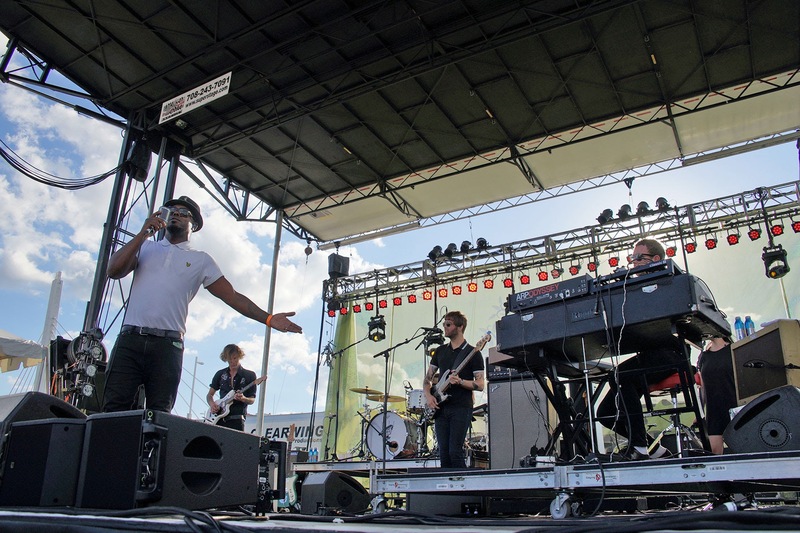 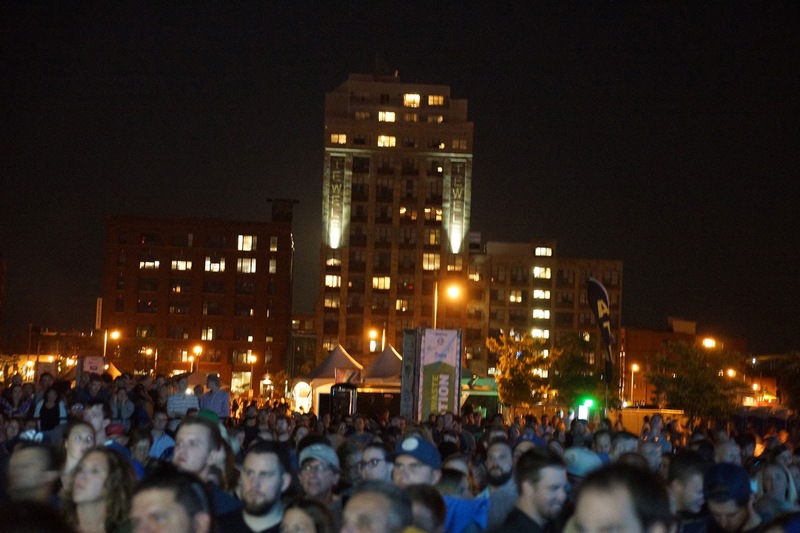 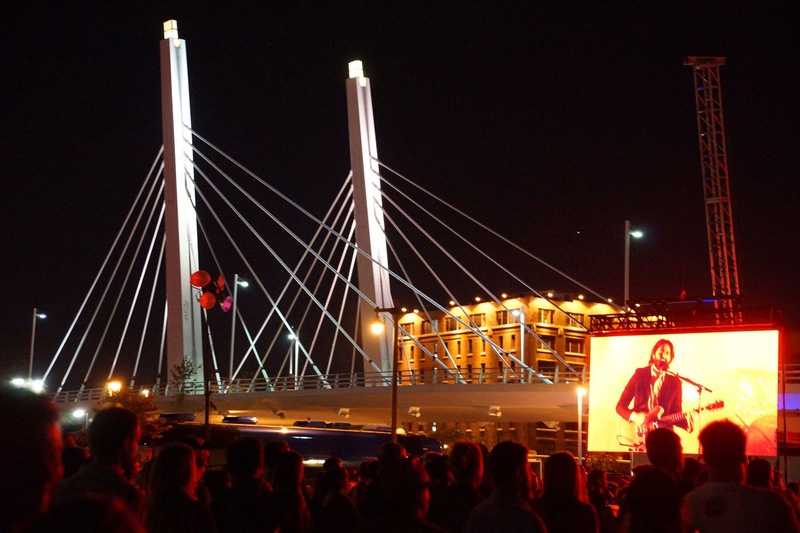 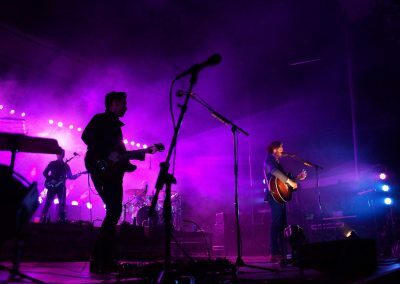 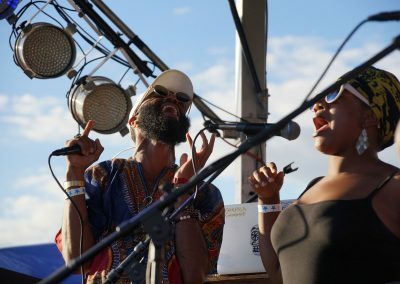 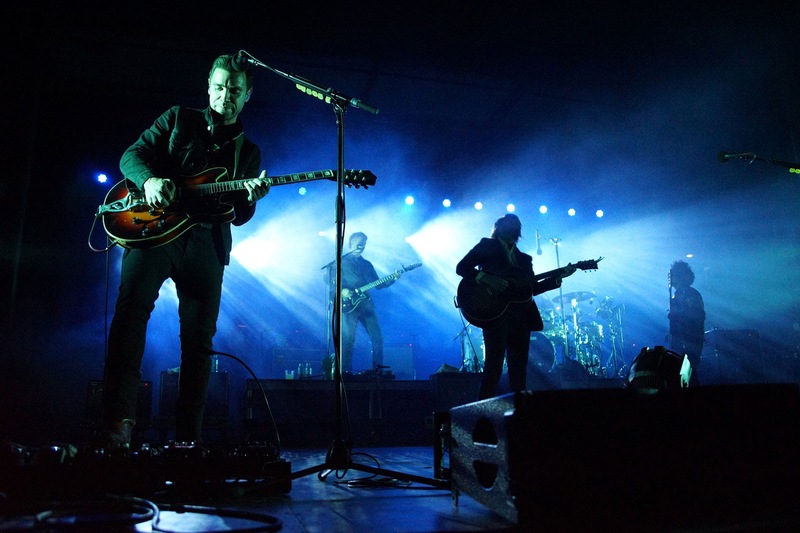 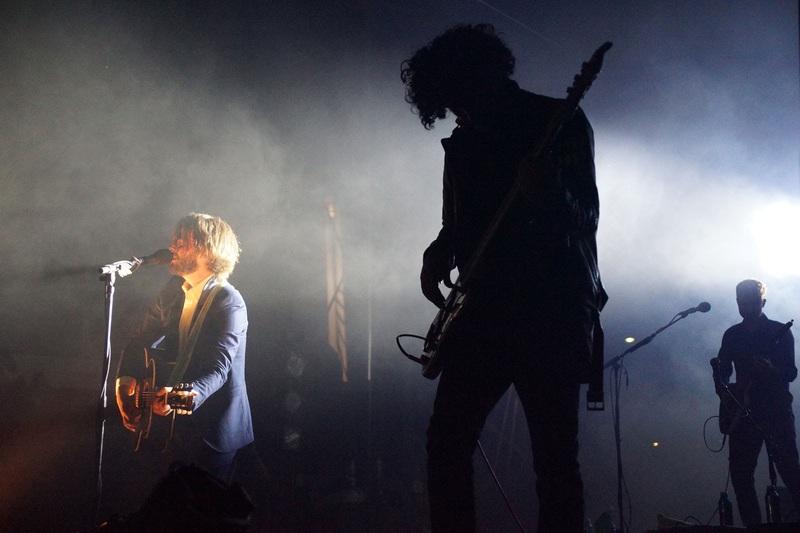 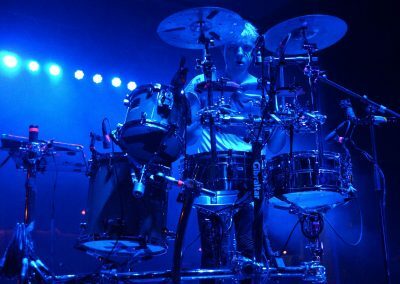 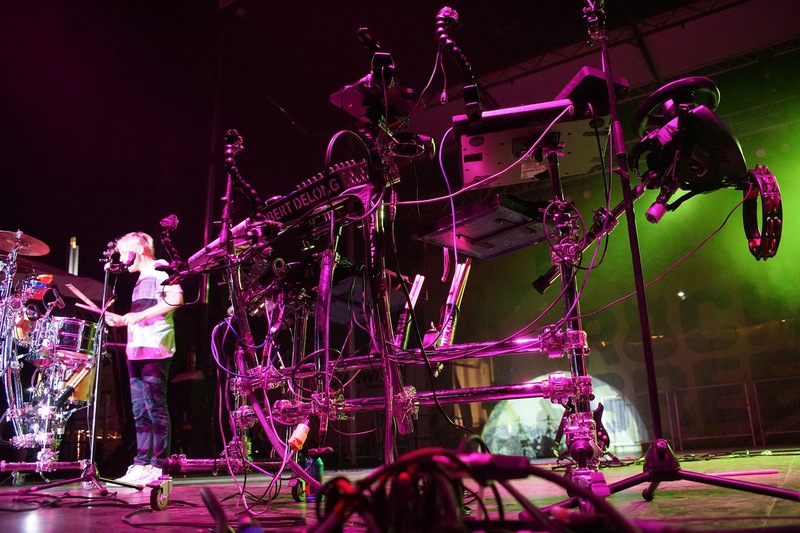 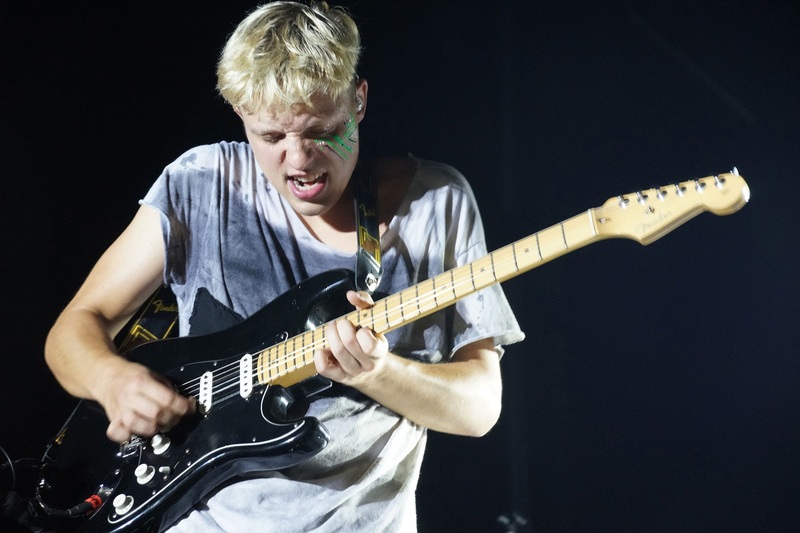 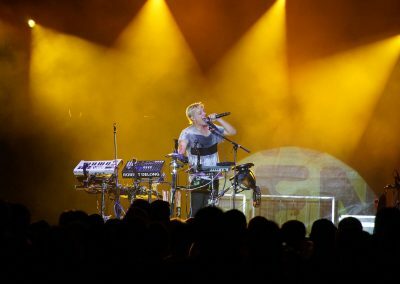 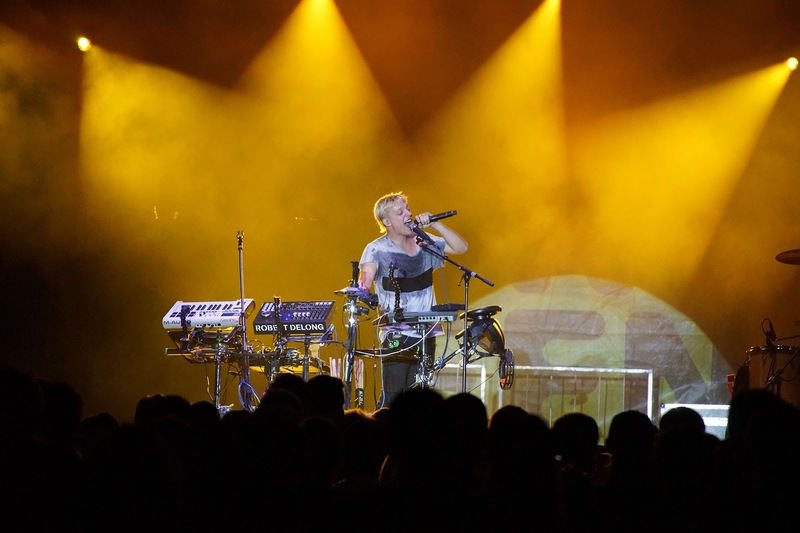 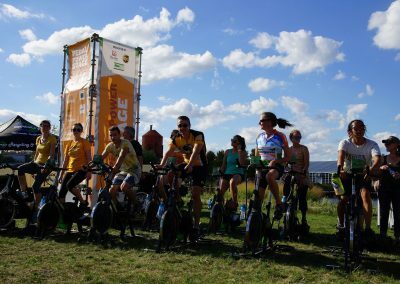 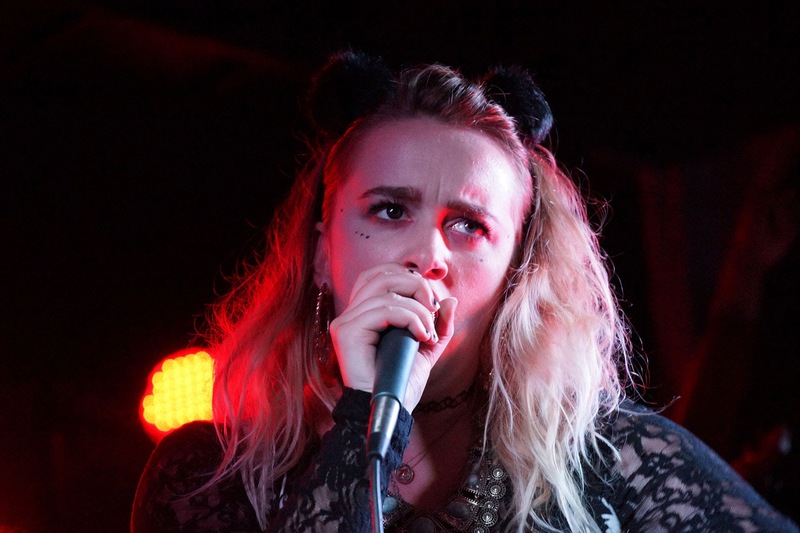 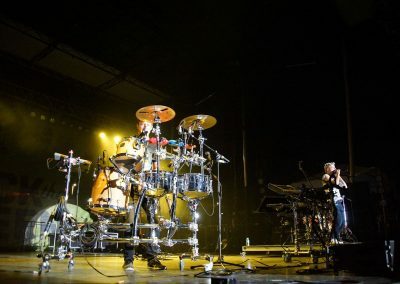 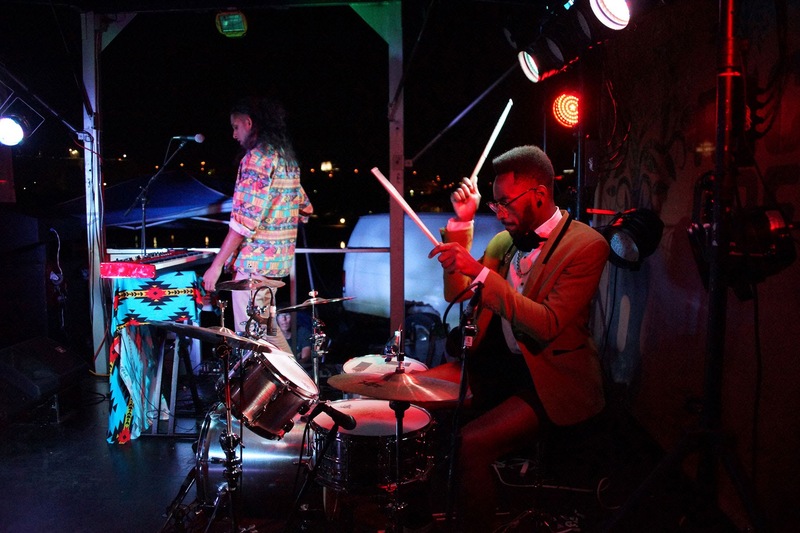 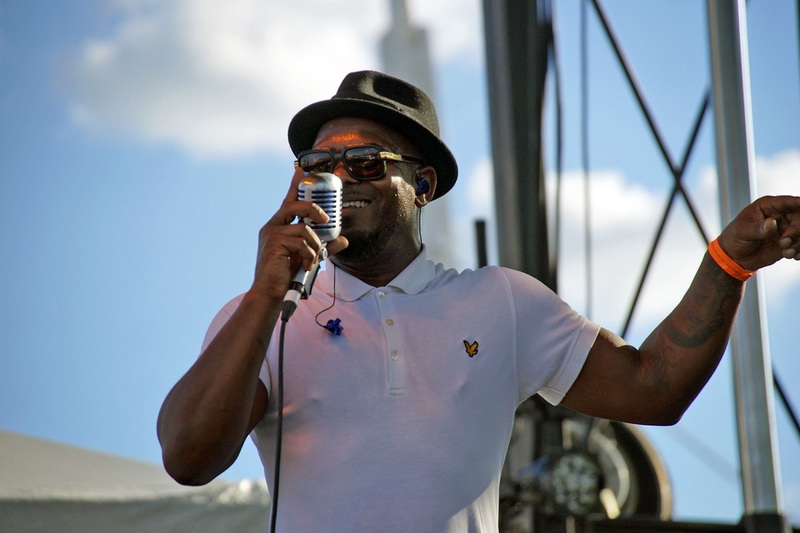 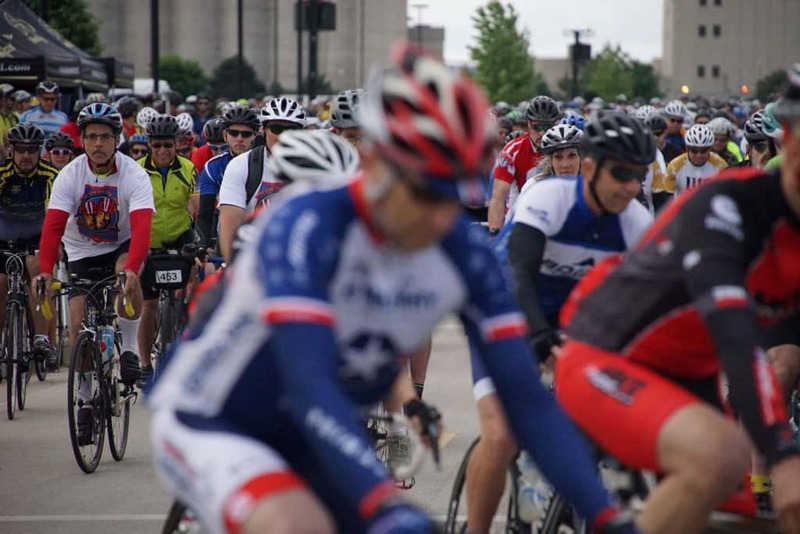 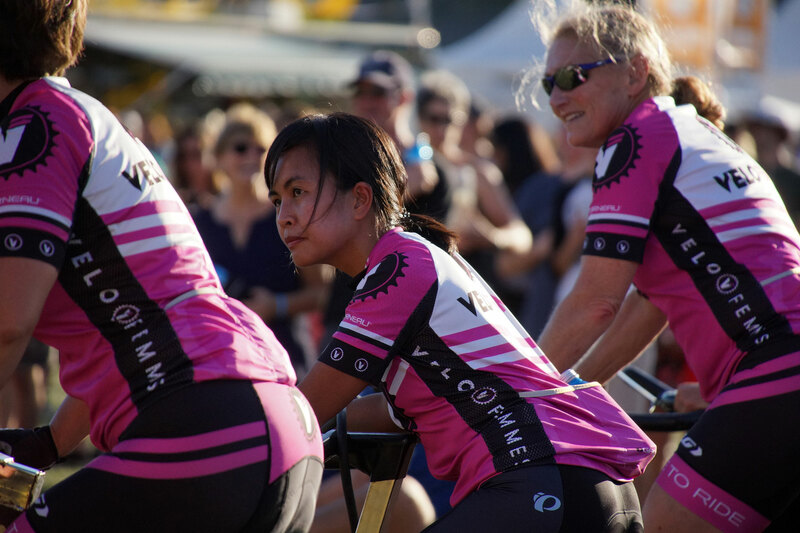 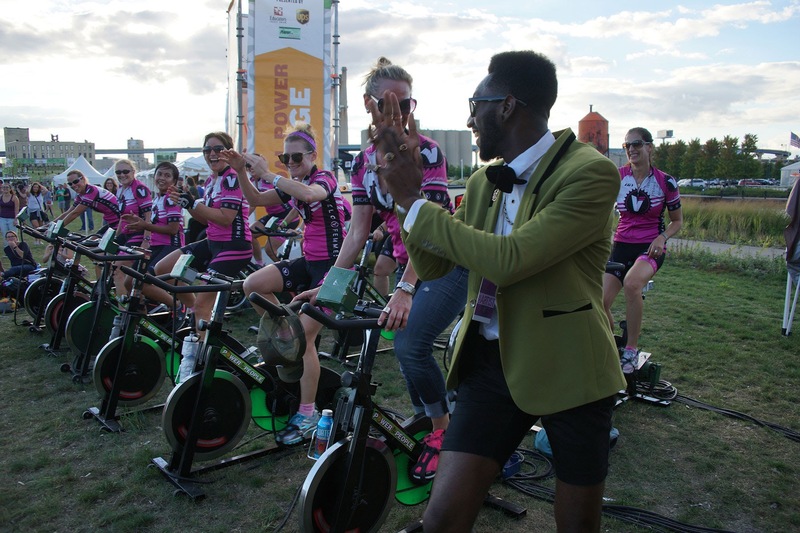 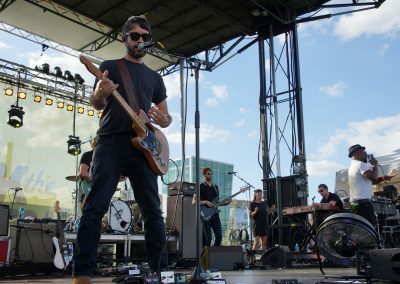 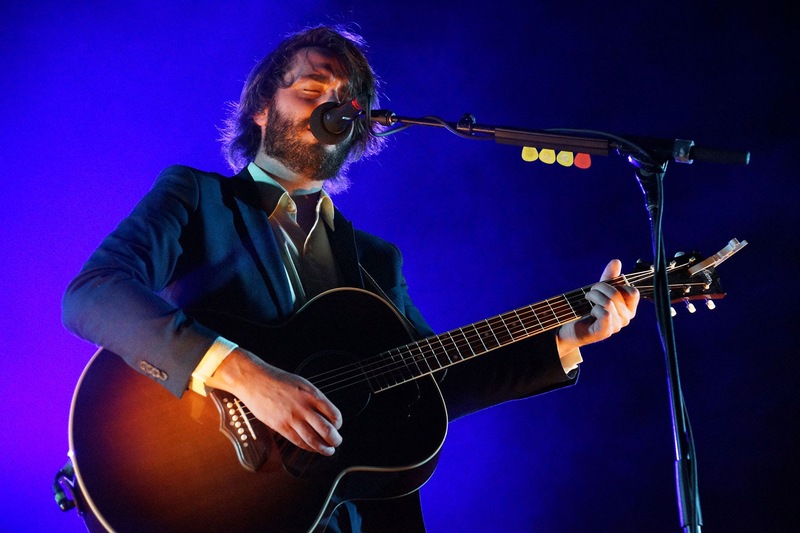 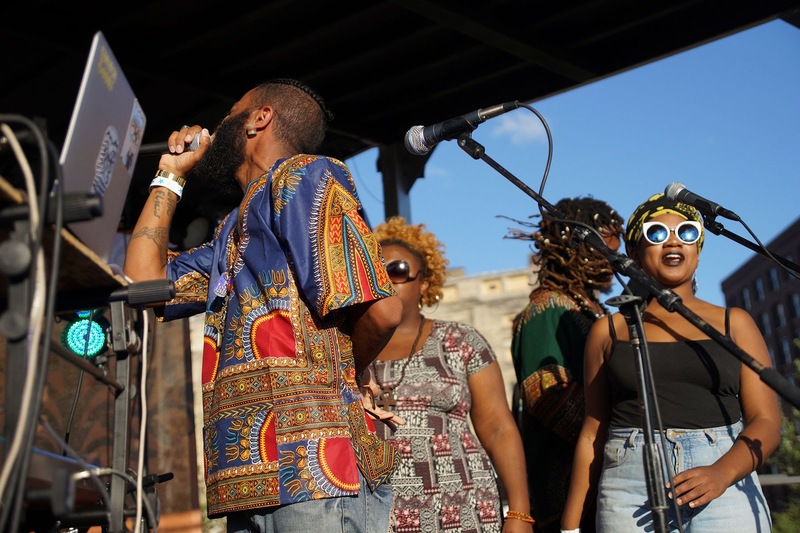 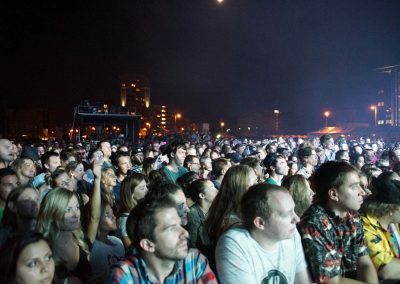 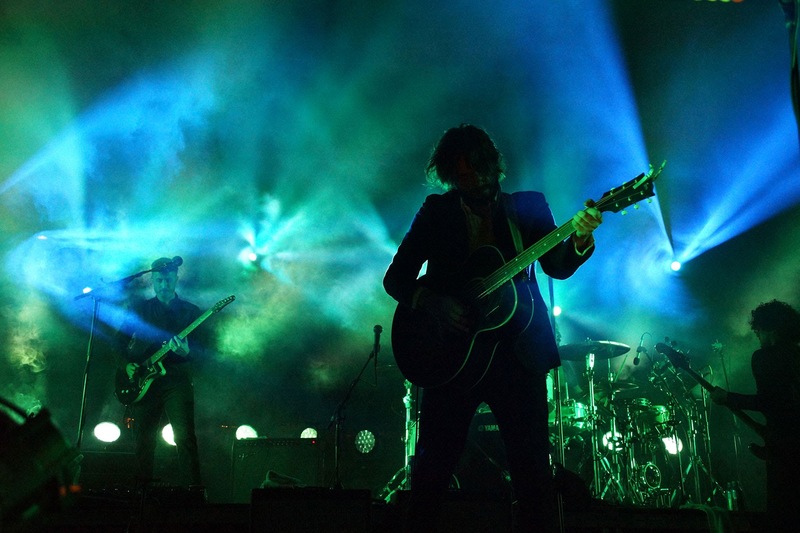 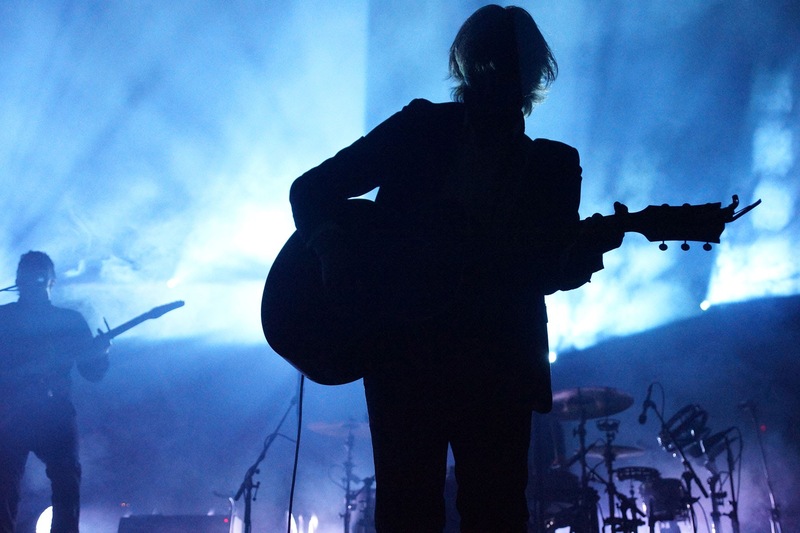 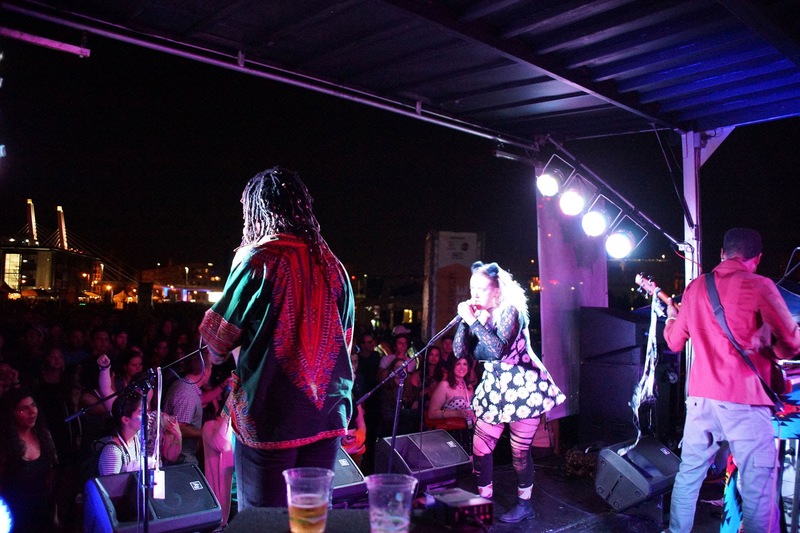 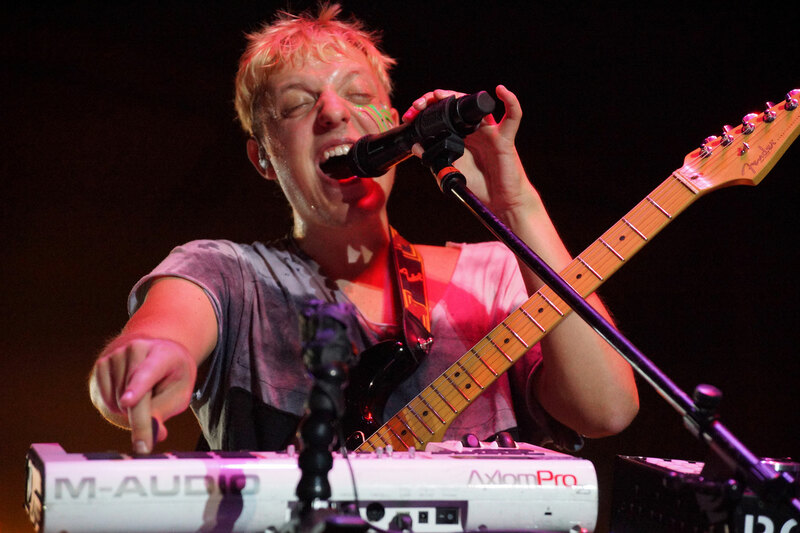 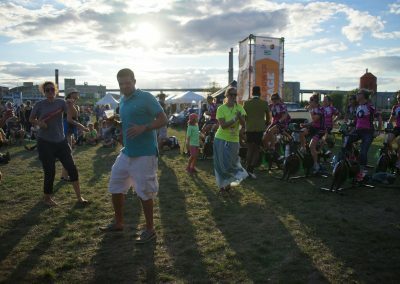 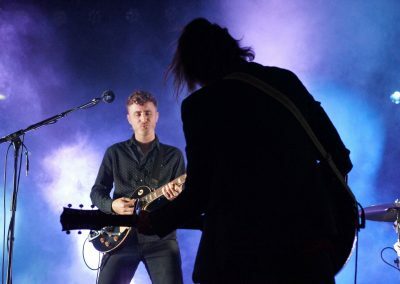 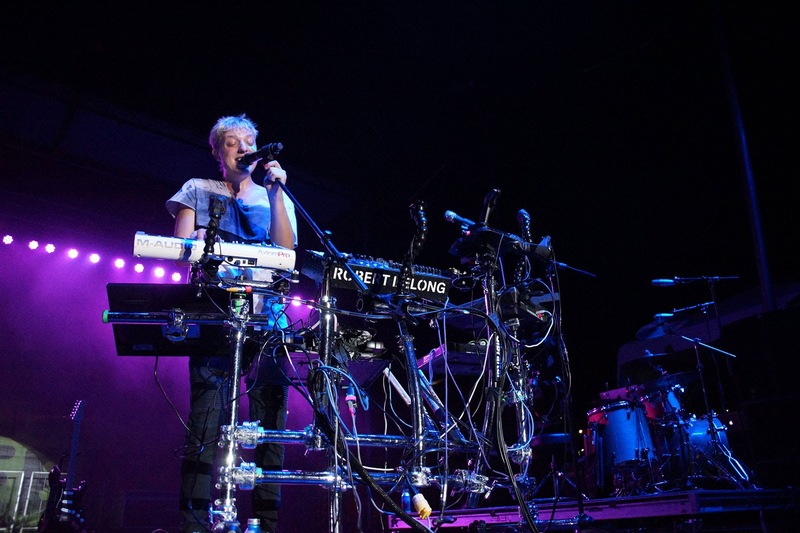 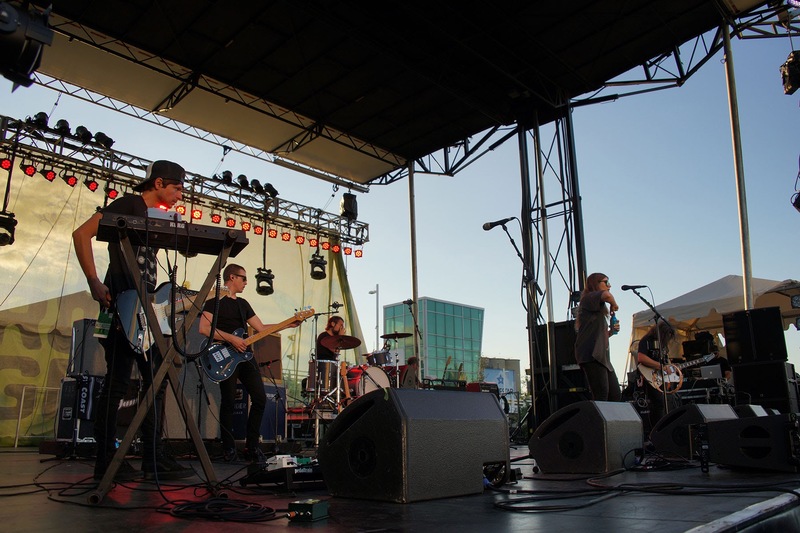 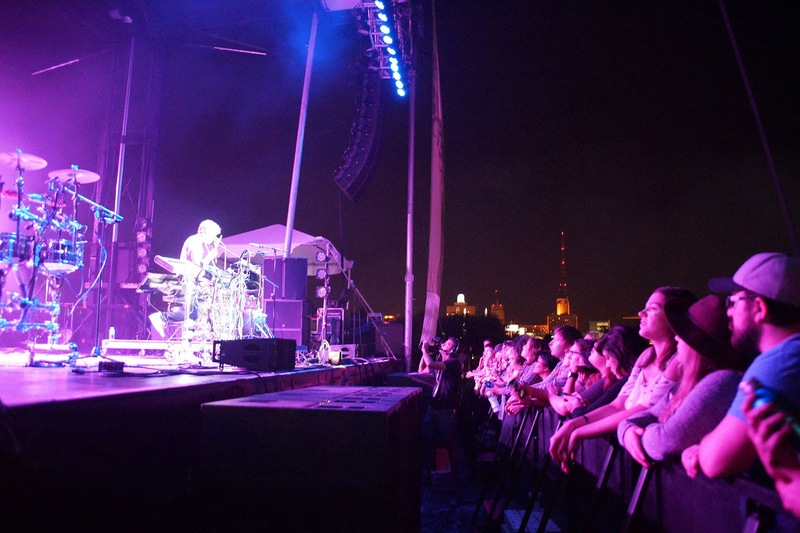 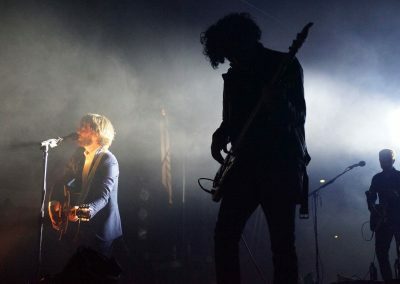 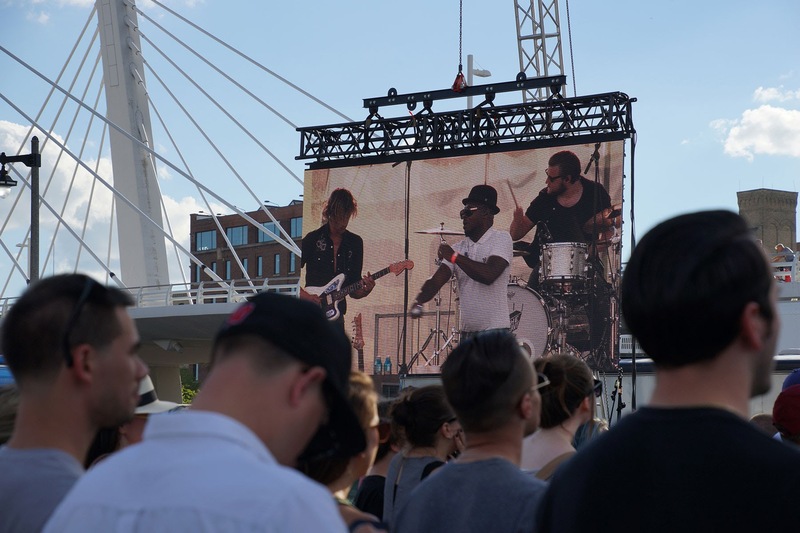 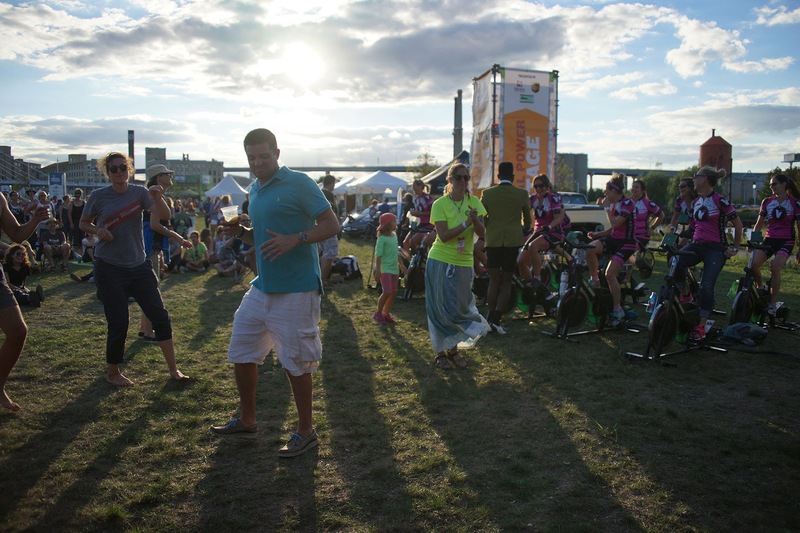 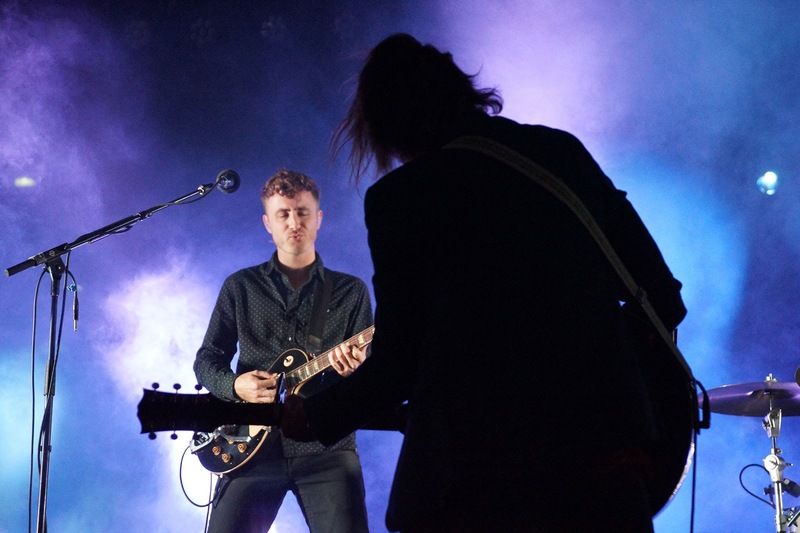 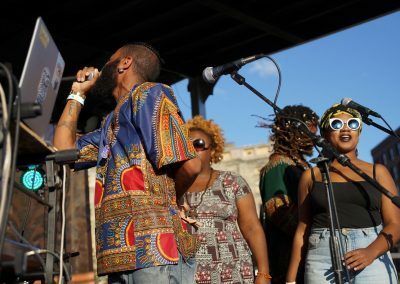 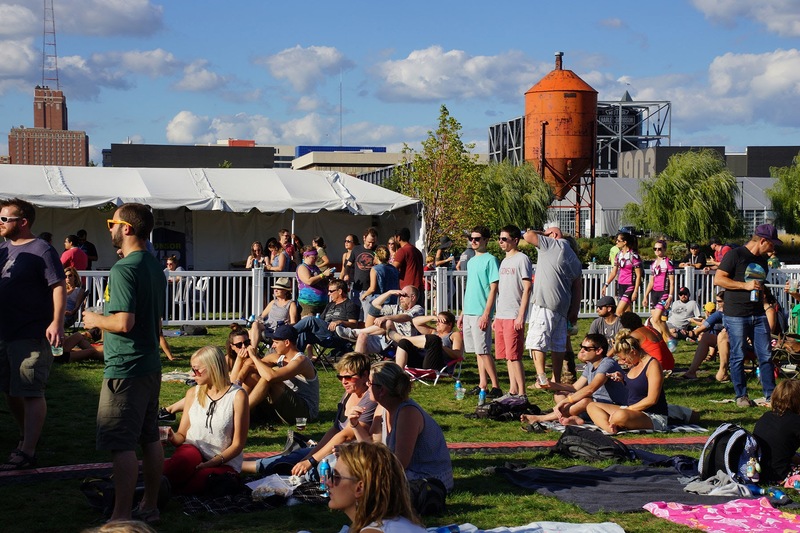 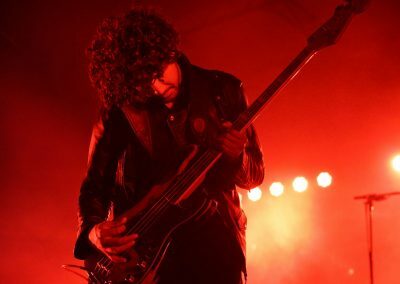 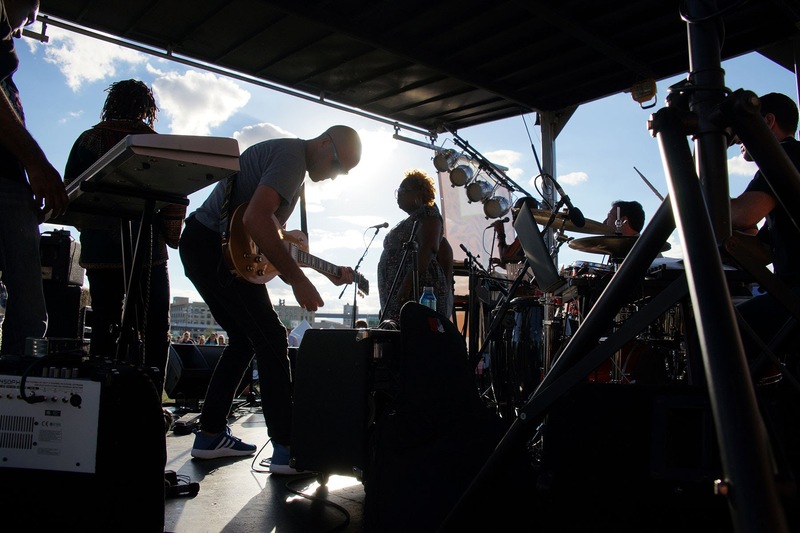 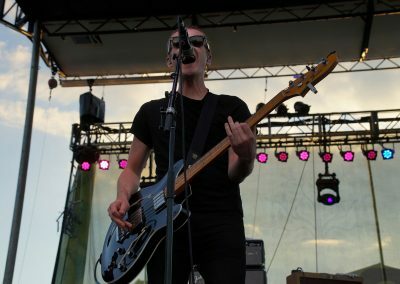 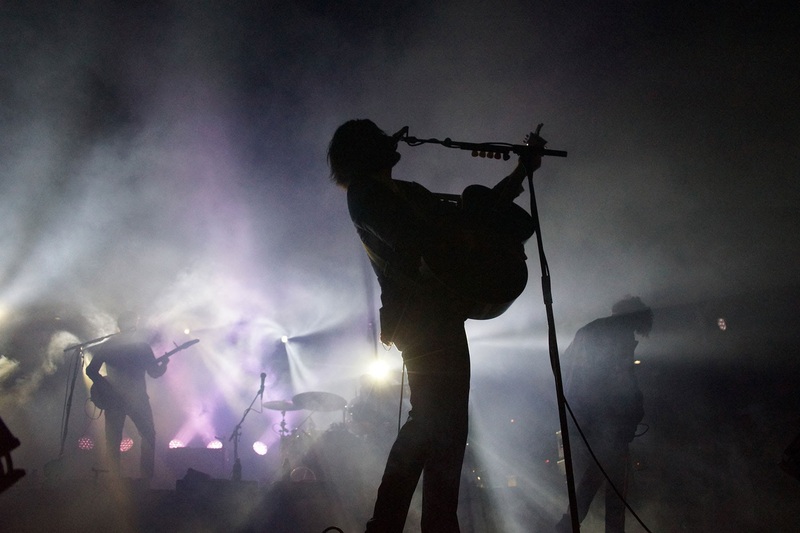 The globally recognized music festival featured headline acts such as Lord Huron and Robert DeLong, along with a mix of local artists on a pedal-powered side stage. 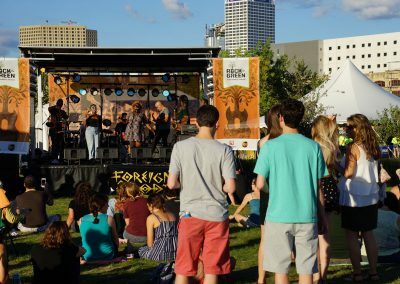 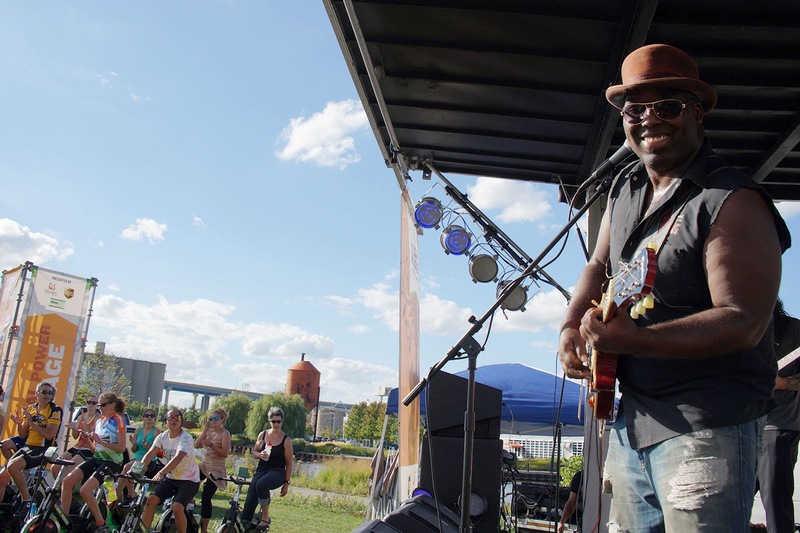 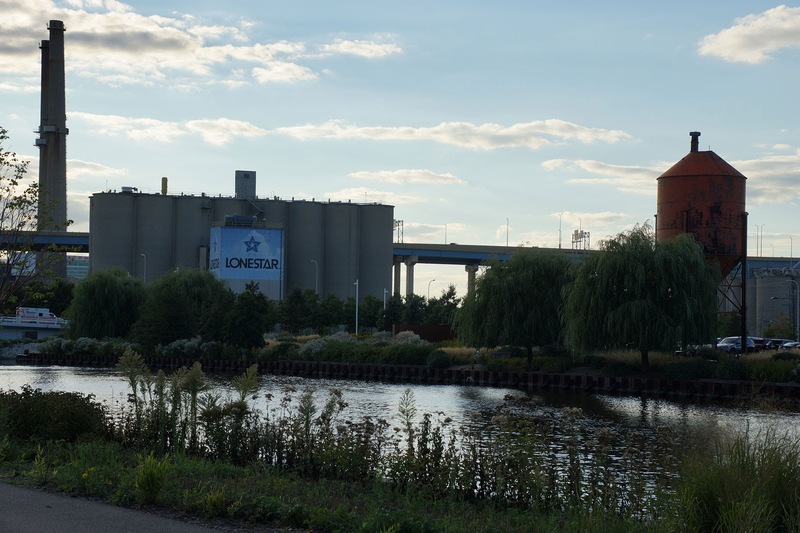 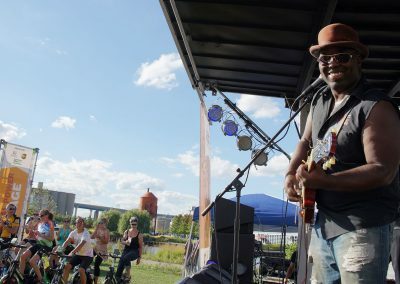 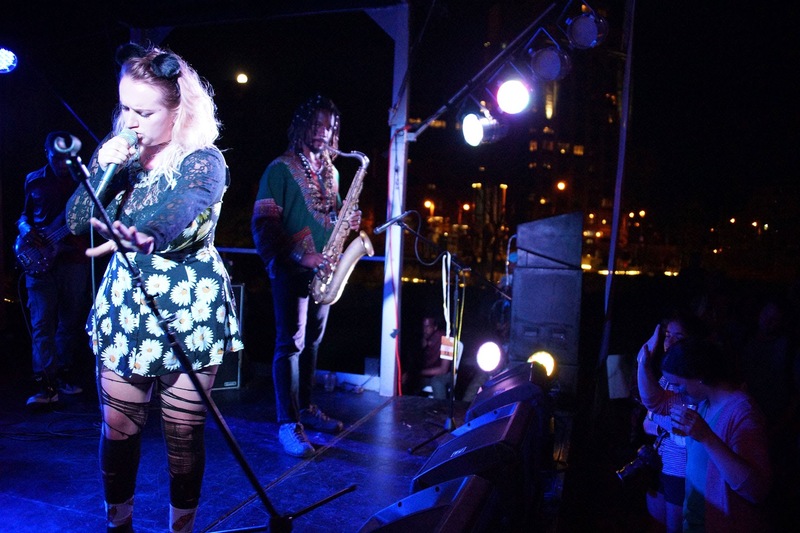 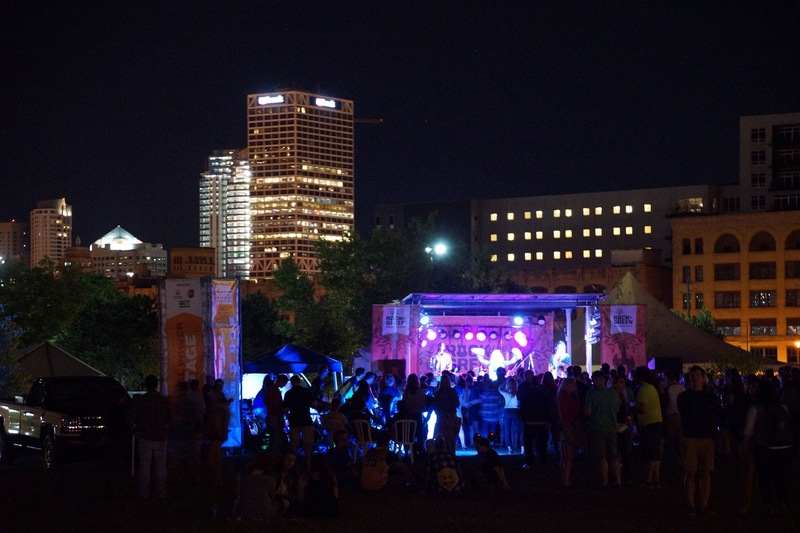 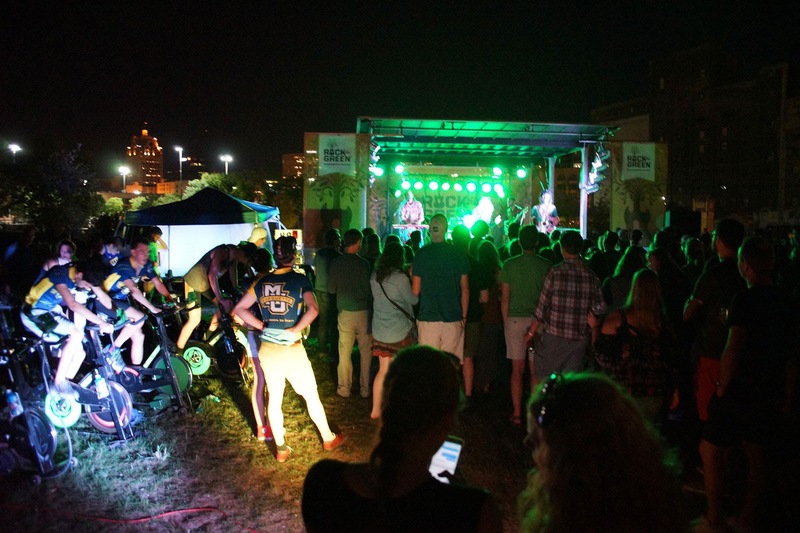 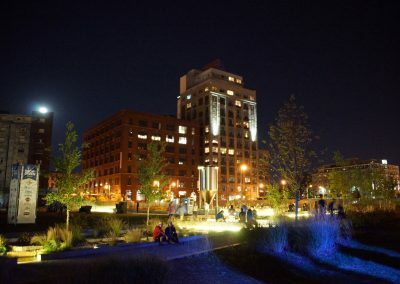 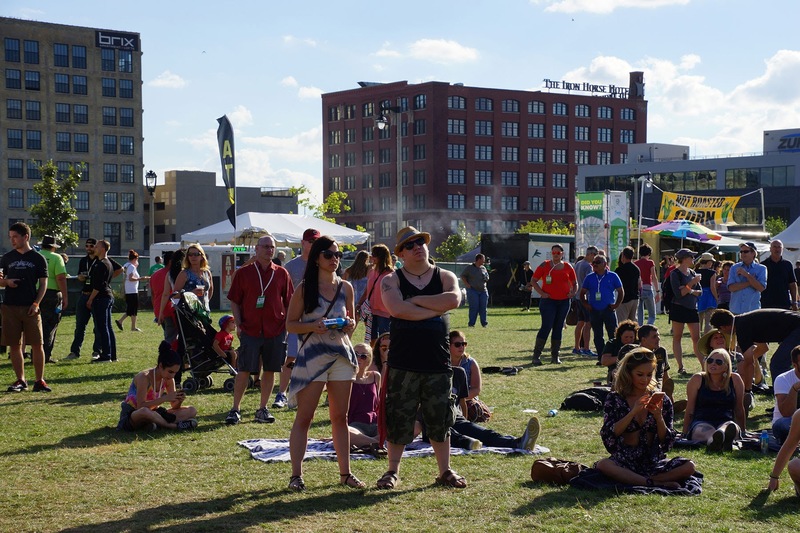 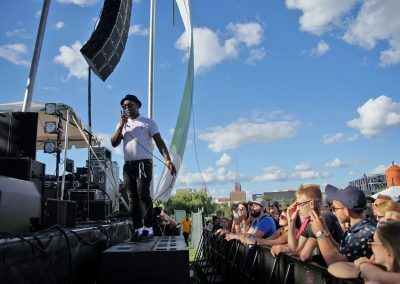 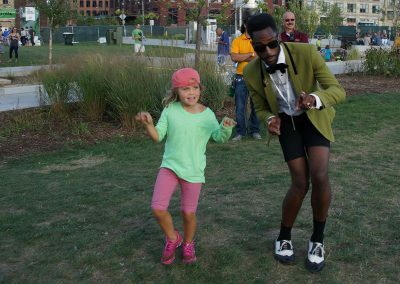 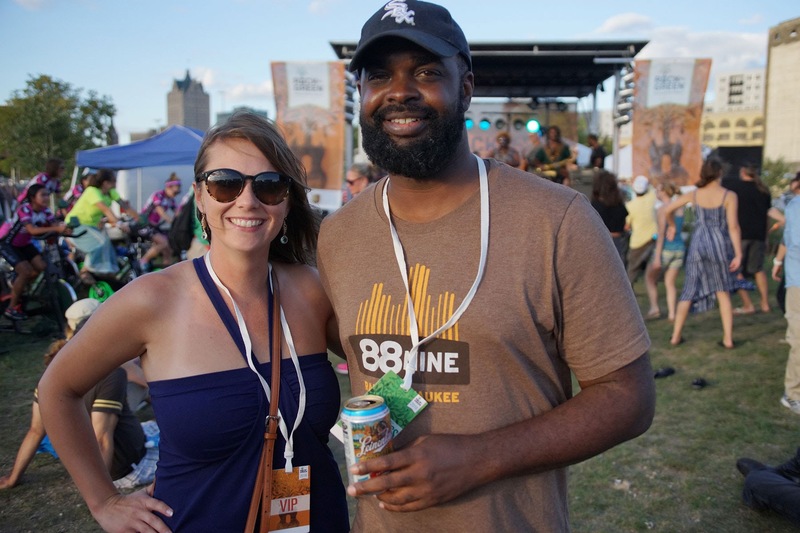 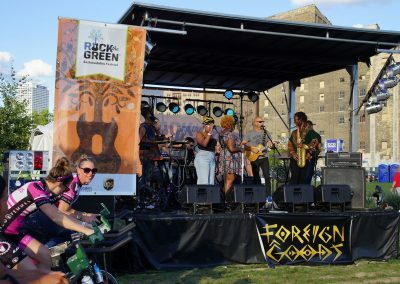 Milwaukee’s third installment of Rock the Green expanded its reach with a new venue, increased focus on freshwater sustainability. 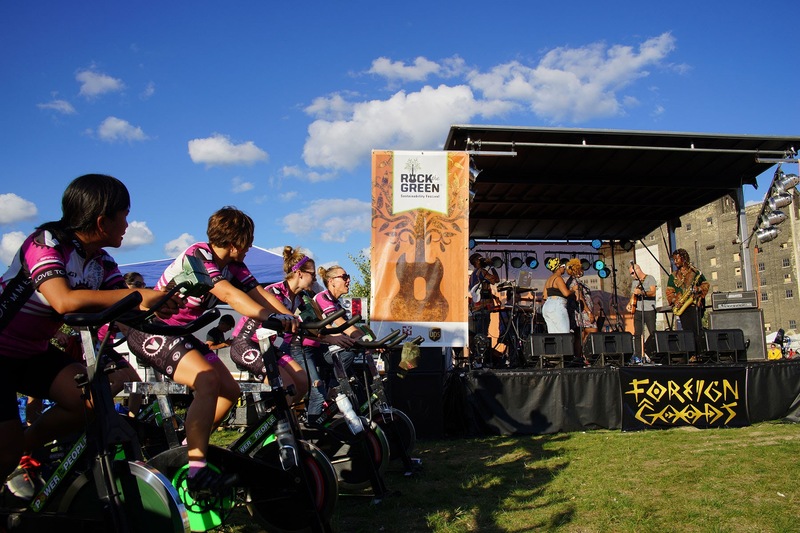 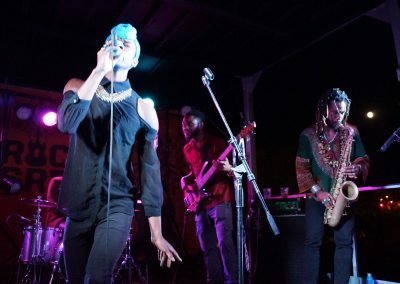 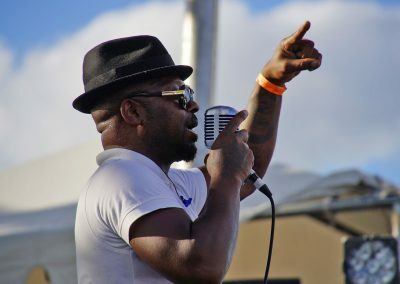 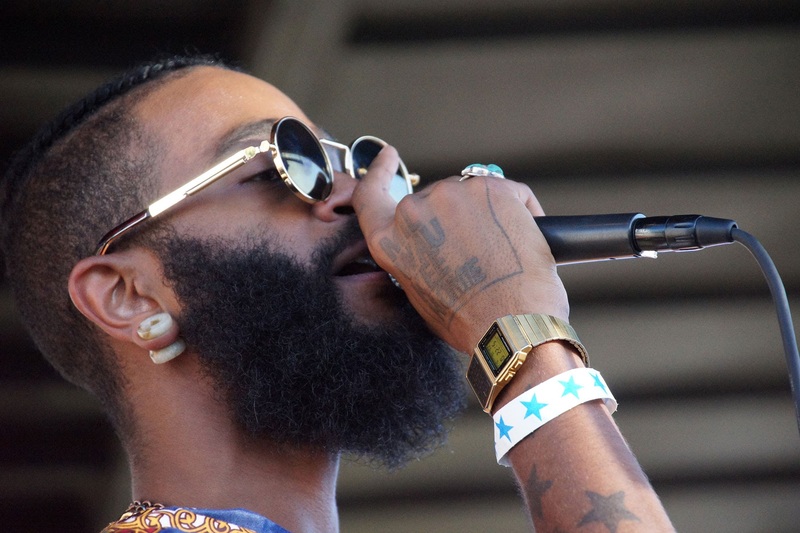 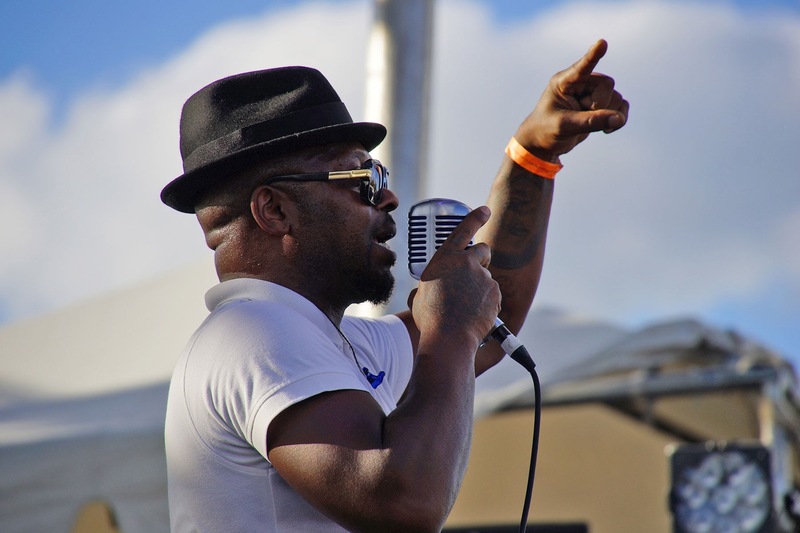 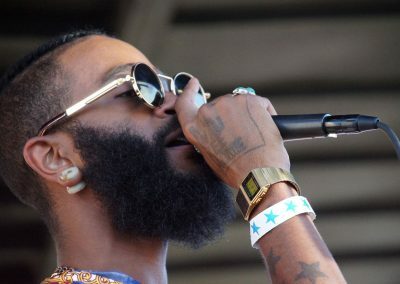 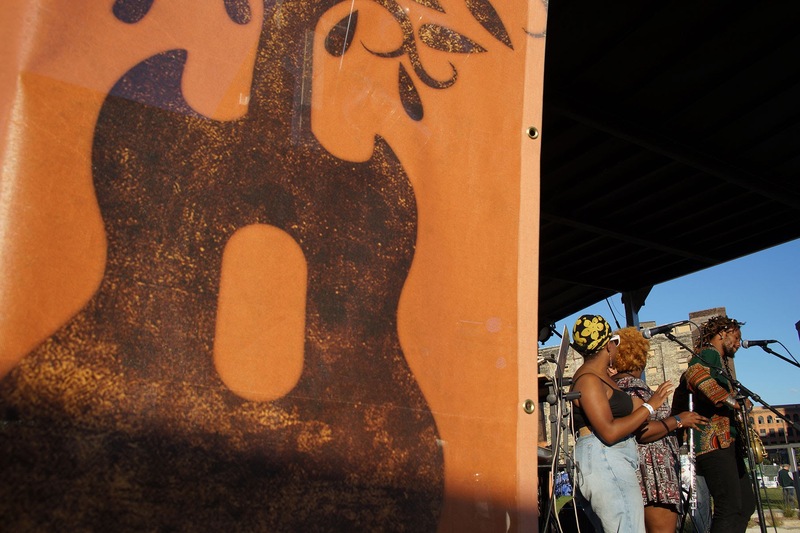 The event continued its mission to entertain and engage community members through music and eco-education, while leaving a lasting impact on attendees to take eco-friendly steps to live, work, and play. 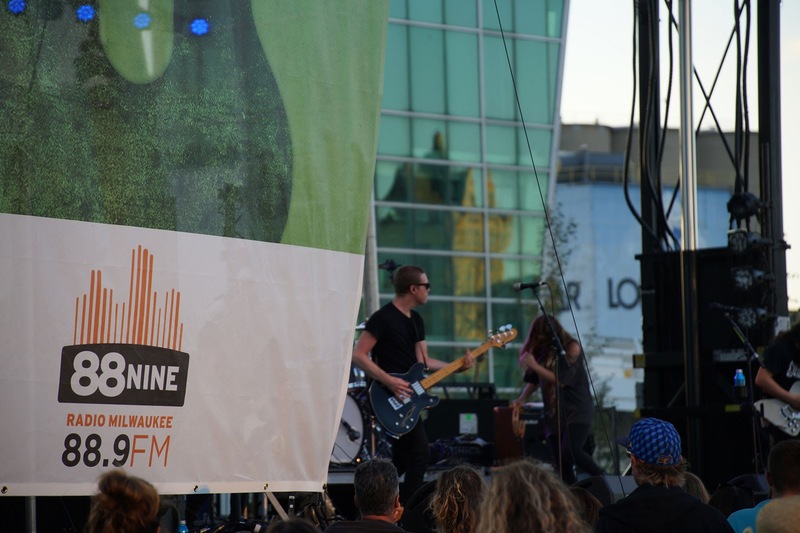 It’s hard to think of Rock the Green or the Milwaukee music community without thinking about Evan Christian. 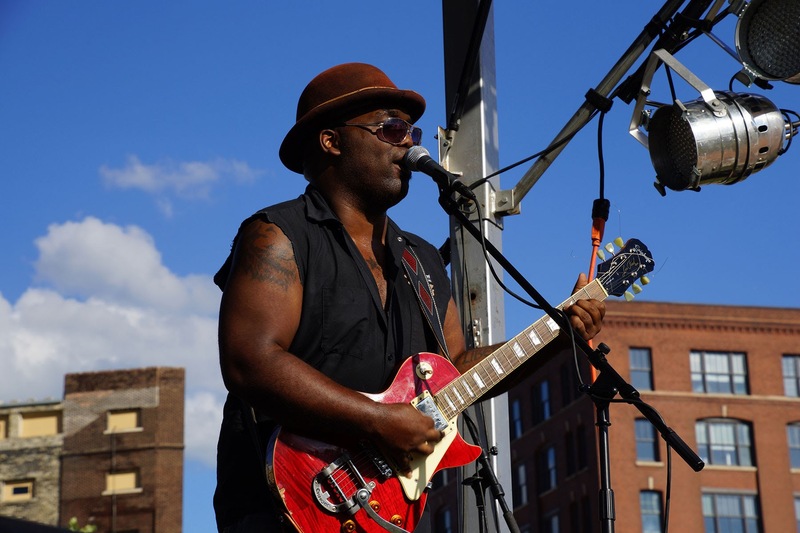 The savvy veteran to Milwaukee’s music scene has played just about every venue around town, and is a household name in the music scene. 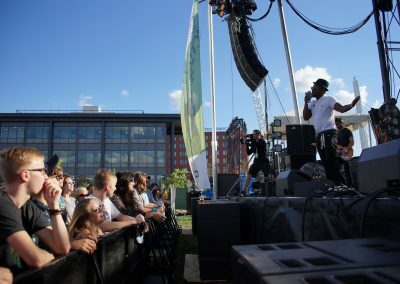 Christian headlined the Rock the Green Earth Day performance back in April, playing to an enthusiastic crowd of Milwaukeeans, including Mayor Tom Barrett. 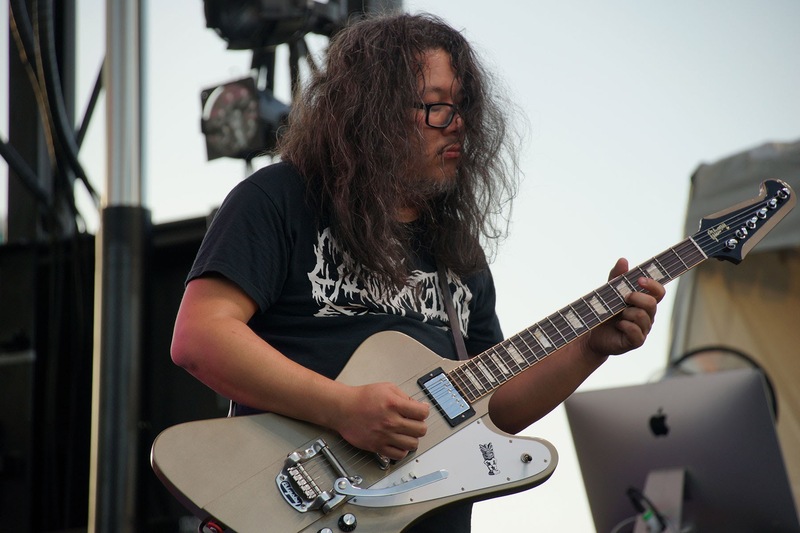 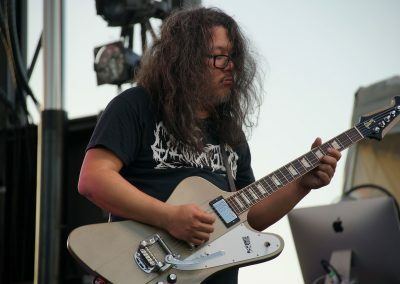 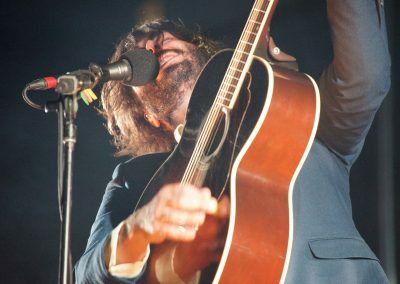 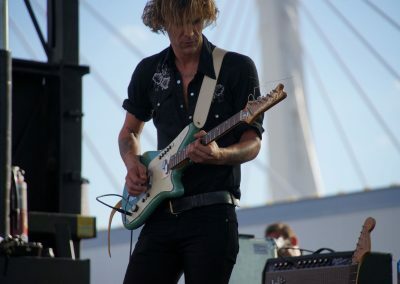 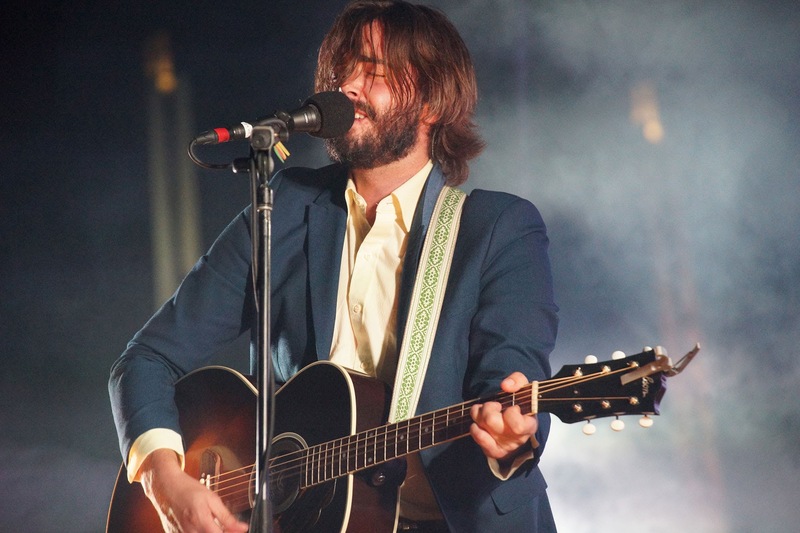 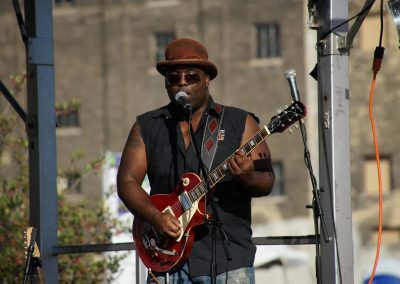 His soulful voice and excellent guitar work make his music easy to connect with. 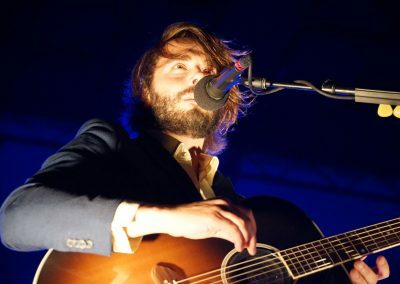 In fact, Christian’s trademark flamenco style of guitar has earned him accolades locally, nationally and even across the pond in Spain where Christian once lived. 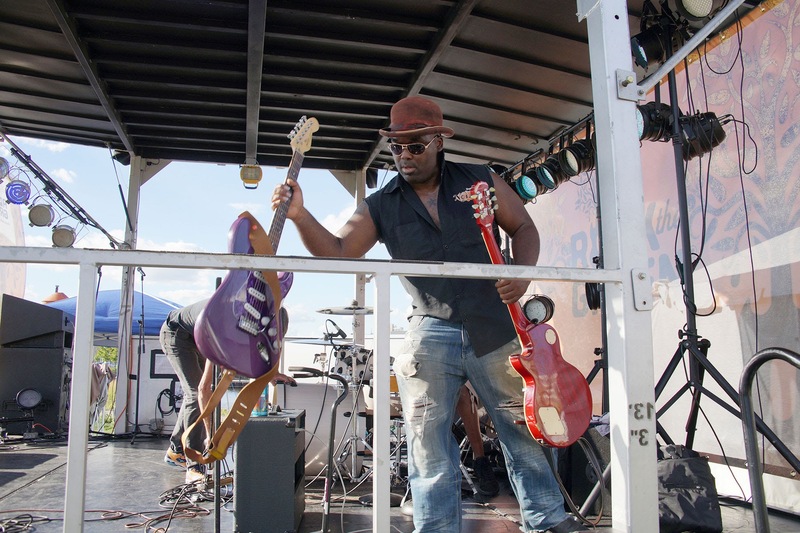 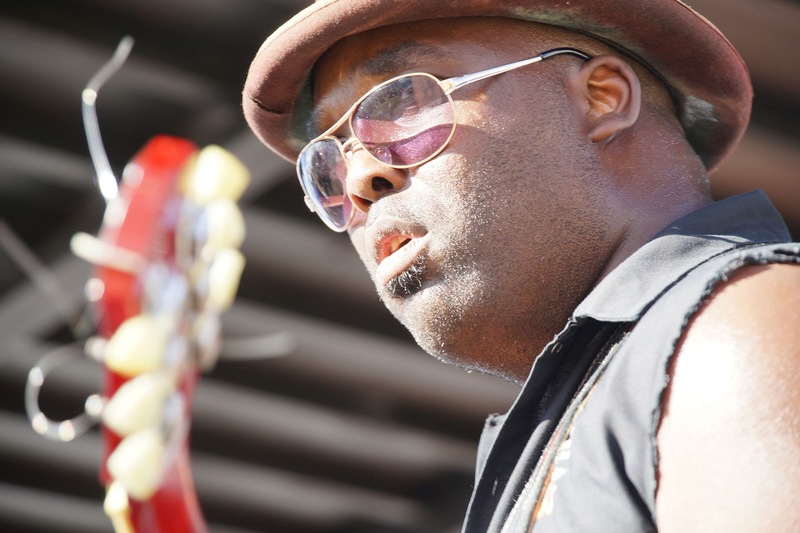 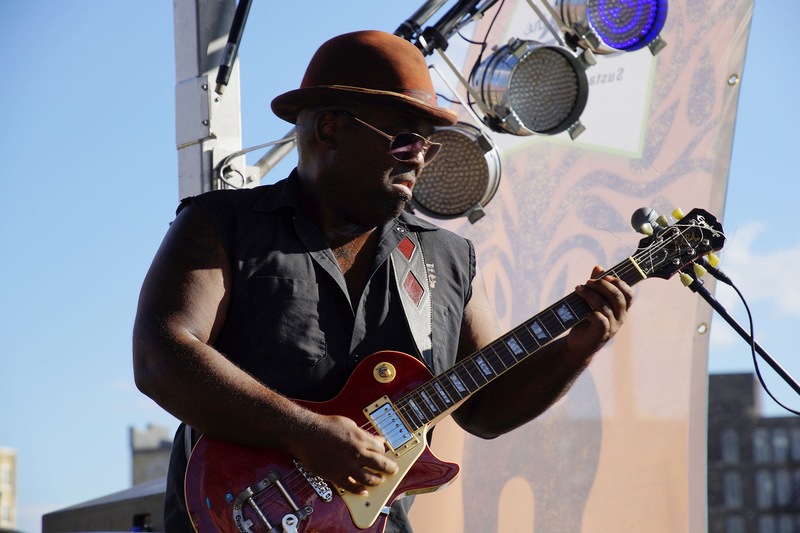 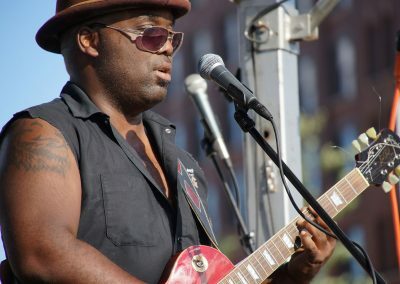 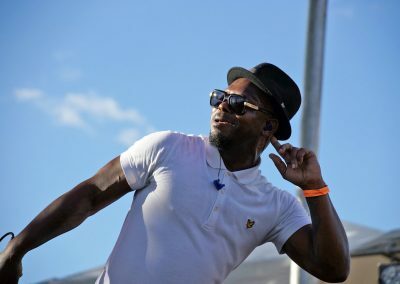 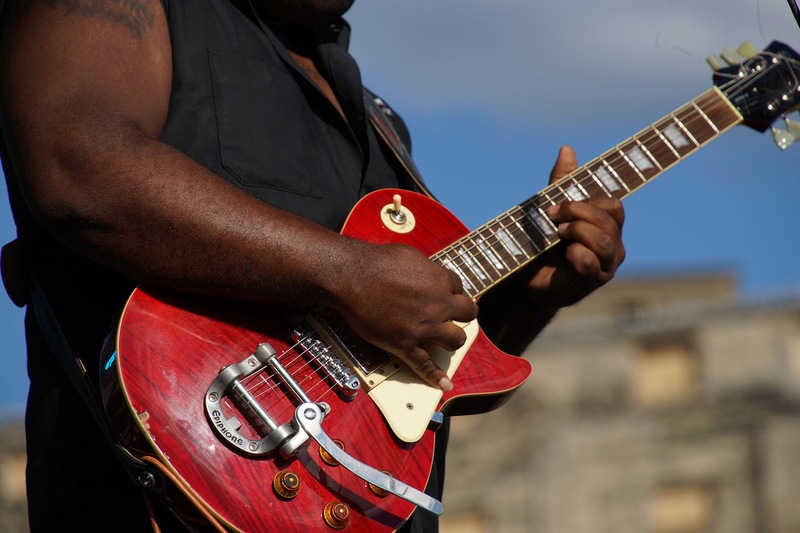 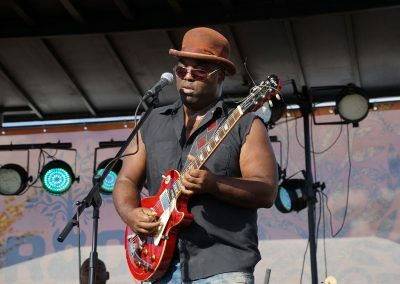 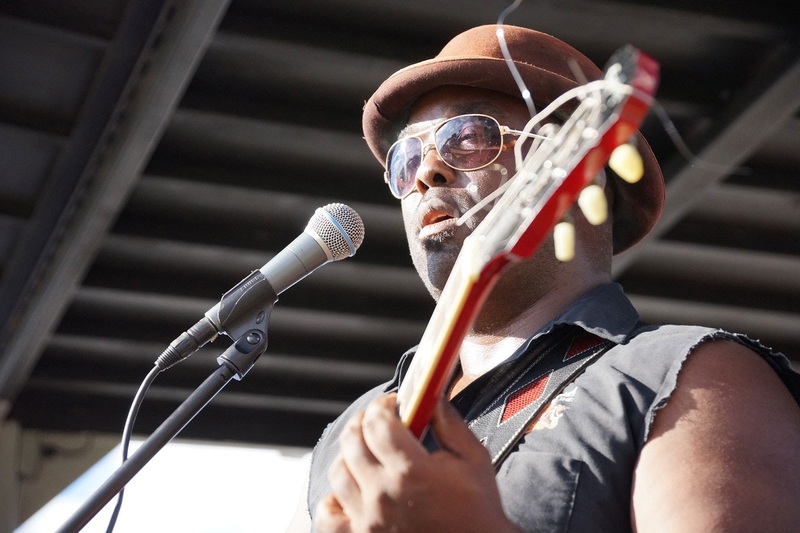 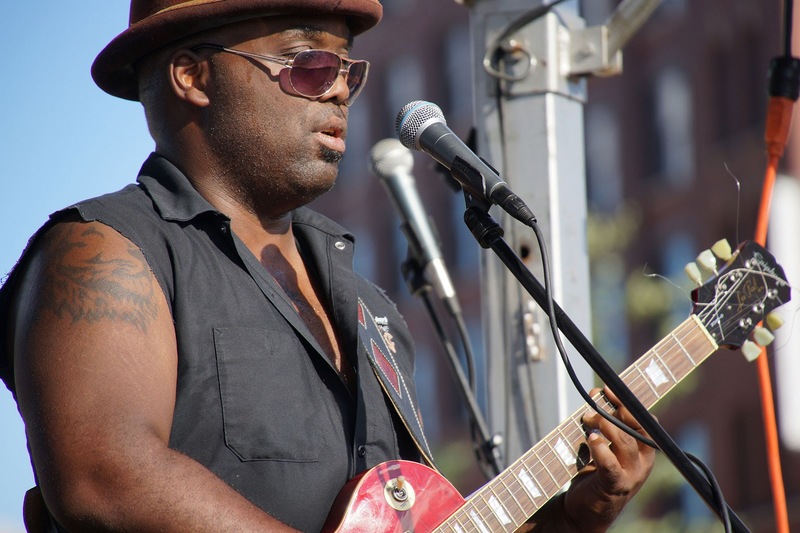 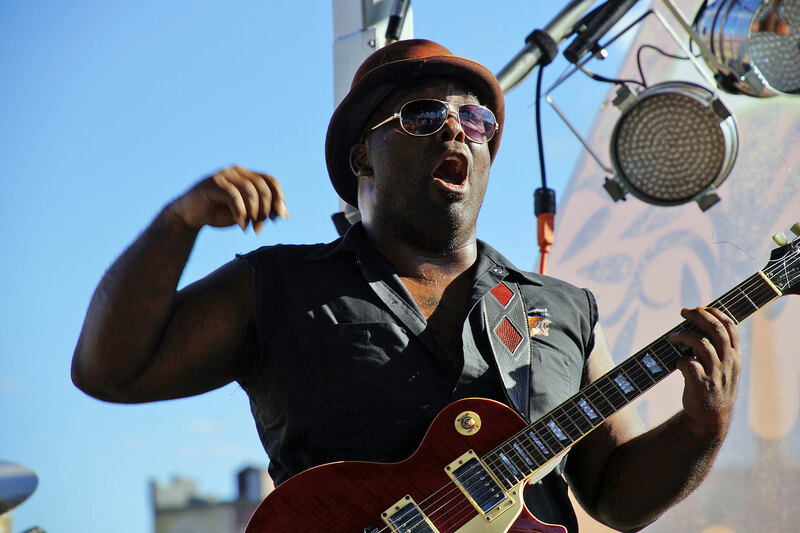 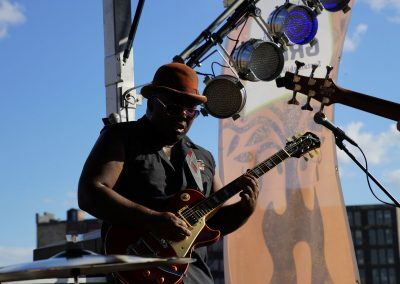 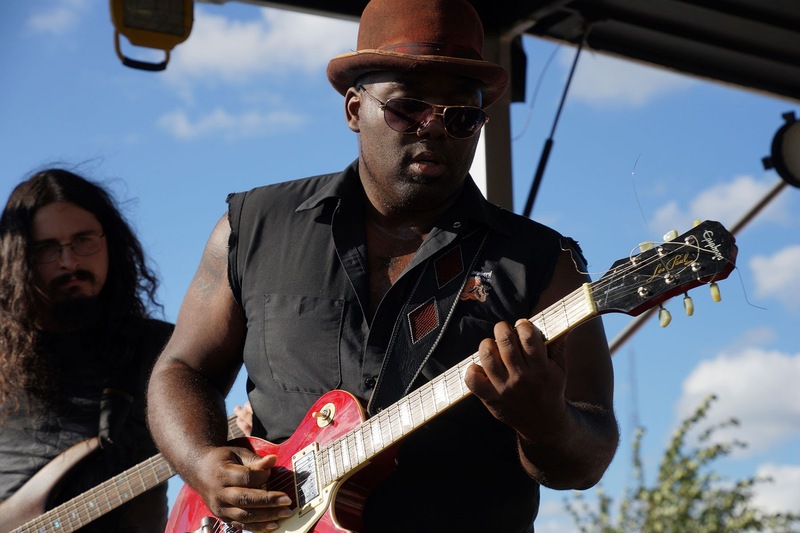 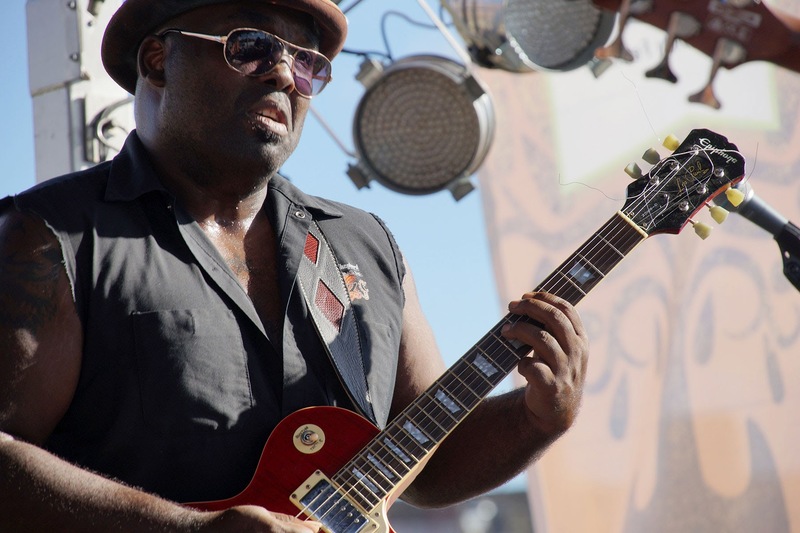 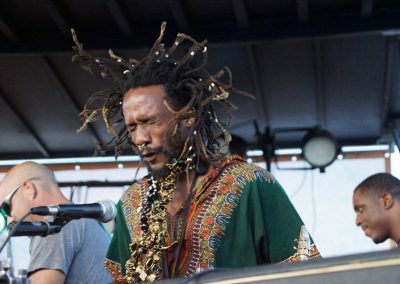 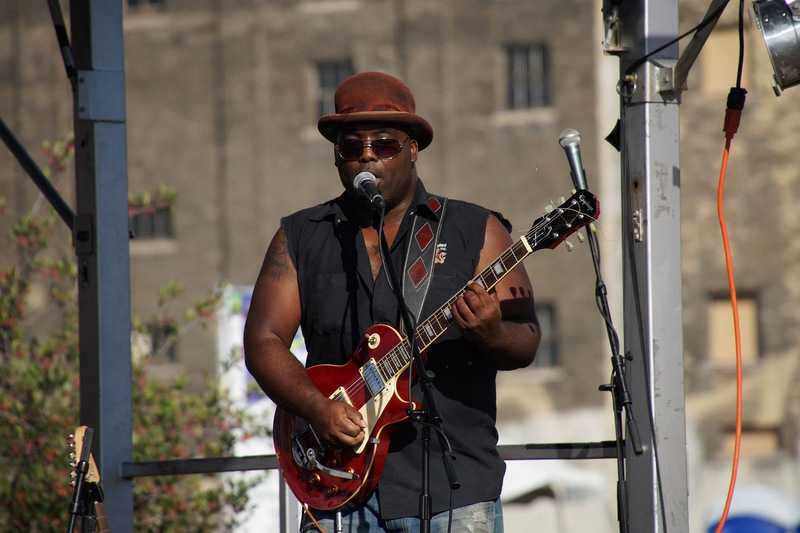 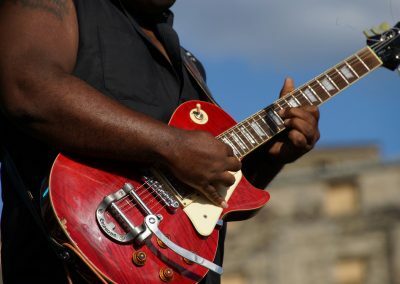 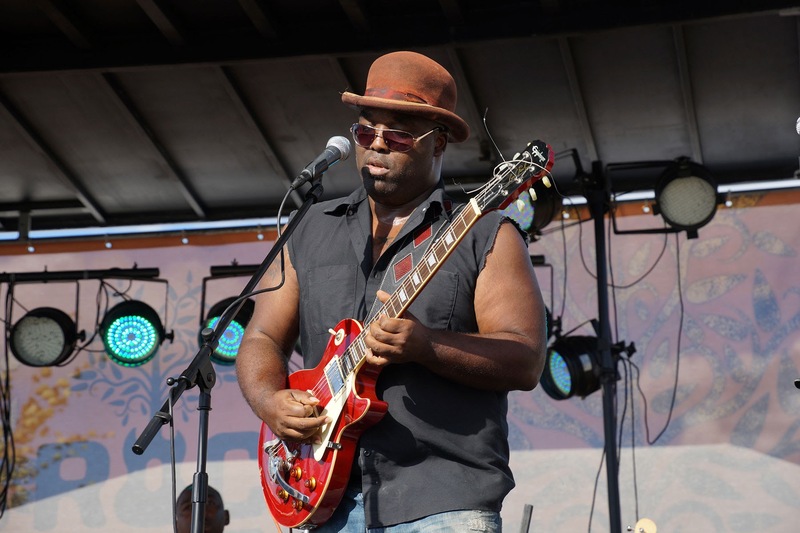 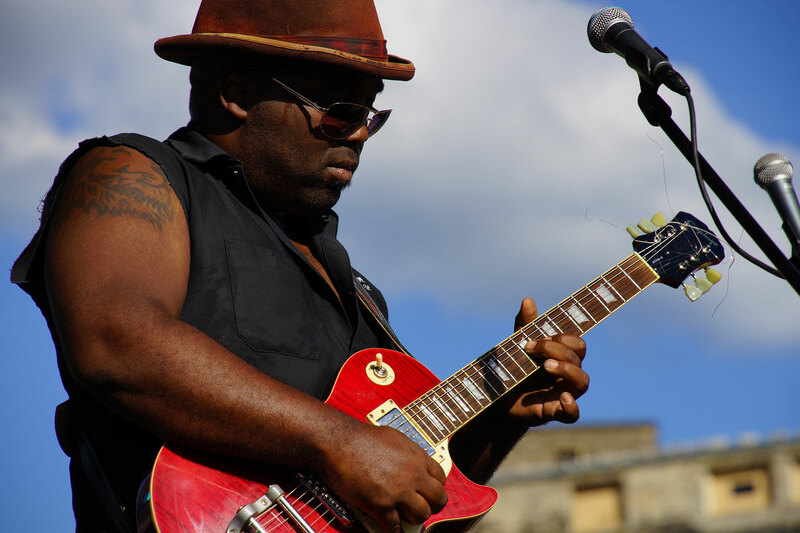 Christian’s musical style has melded elements of roots rock, soul, blues and even reggae into his compositions. 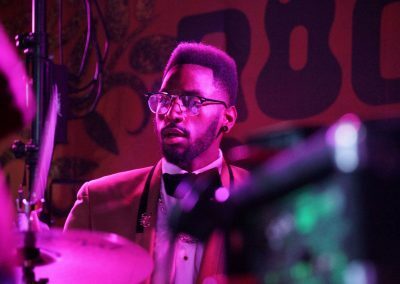 Christian is keeping busy these days not only playing gigs, but also working on his soon-to-open jazz club “Gibraltar” in the Walker’s Point neighborhood. 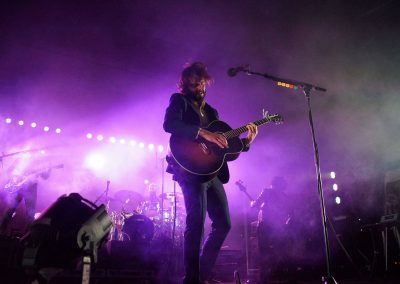 In spite of his busy schedule, we had a chance to chat with Evan Christian about his music and his thoughts about sustainability with his upcoming gig at Rock the Green approaching. 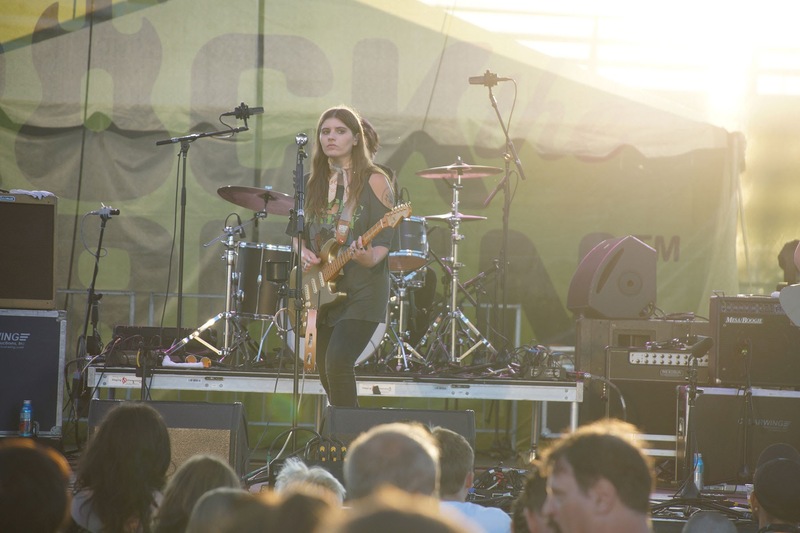 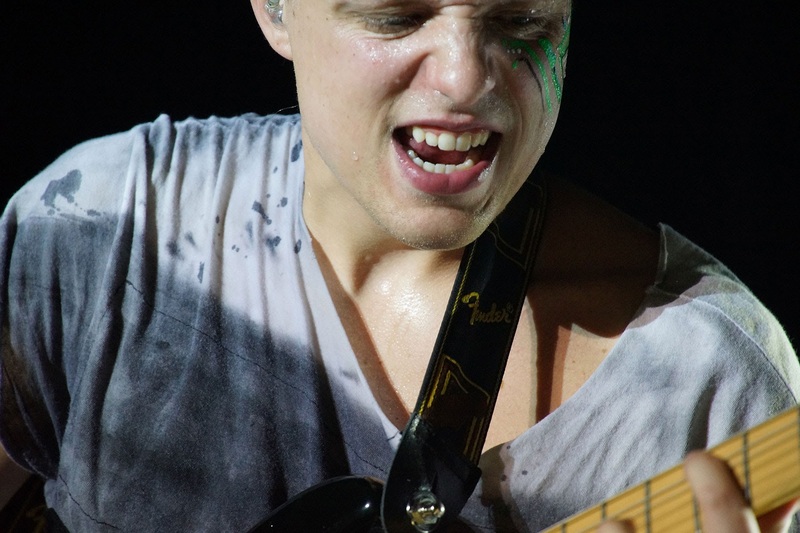 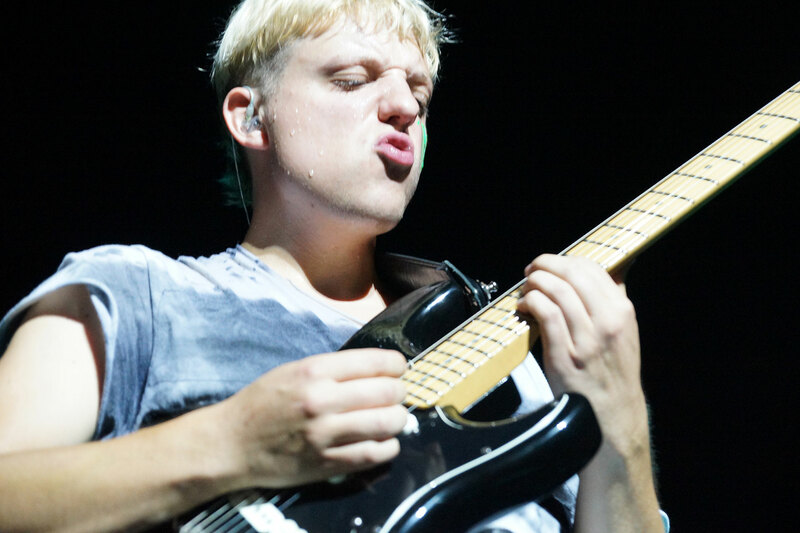 Rock the Green: How would you describe your sound? 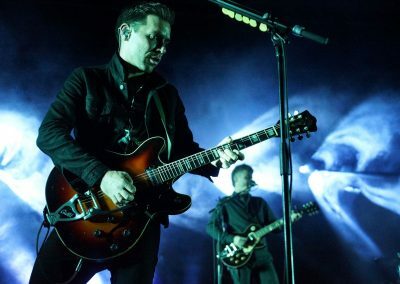 Evan Christian: Lately I would describe it as “bluesy”. 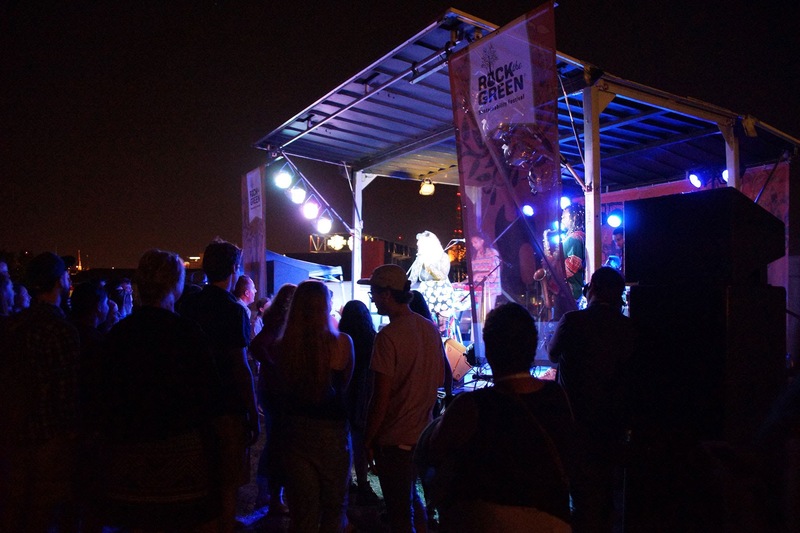 Rock the Green: You have been a Milwaukee institution in the music scene for many years now. 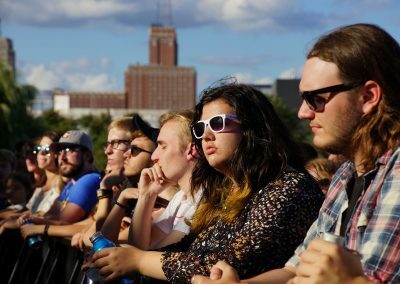 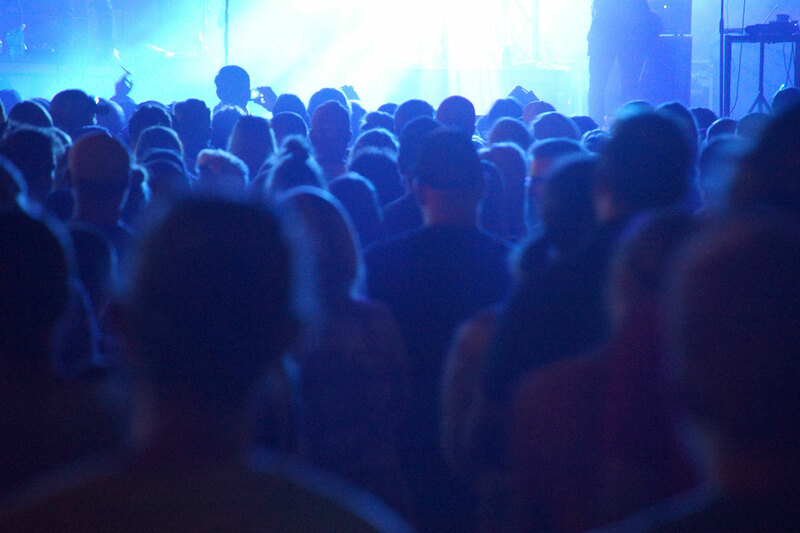 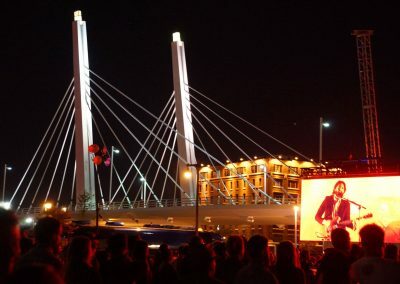 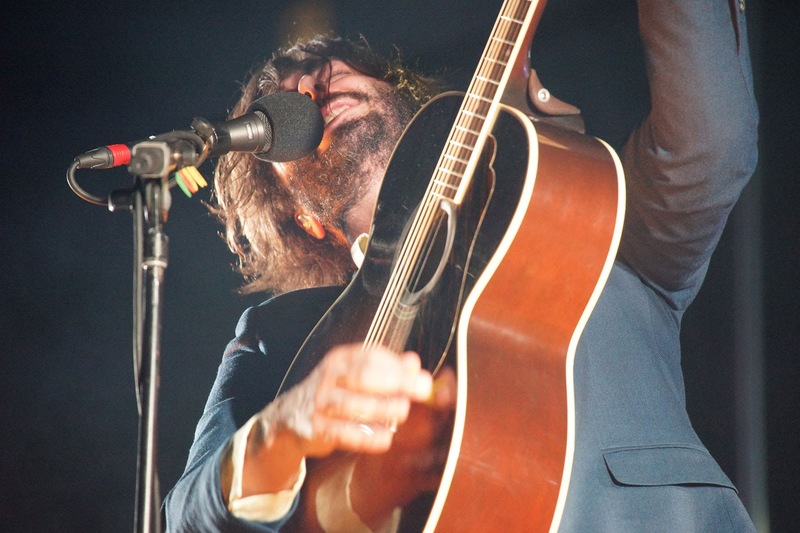 What have been some of your favorite concert memories playing in and around Milwaukee? 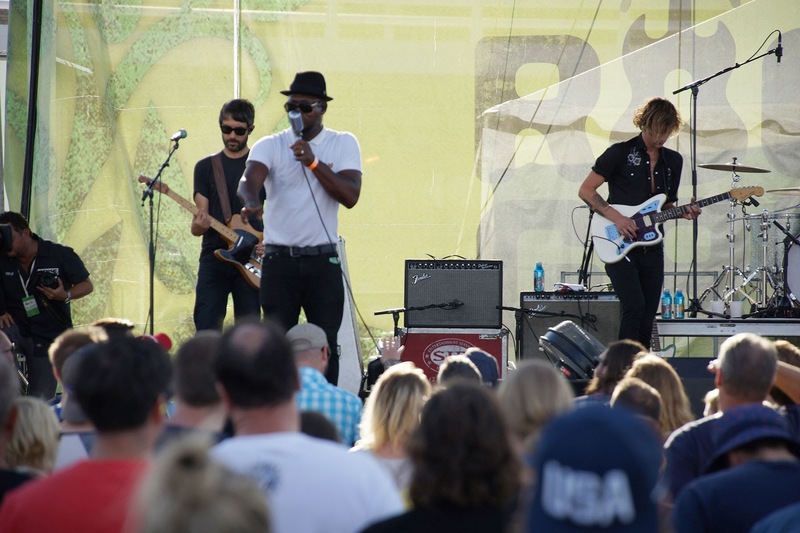 Evan Christian: Opening for Amos Lee at Summerfest three years ago was a definite highlight. 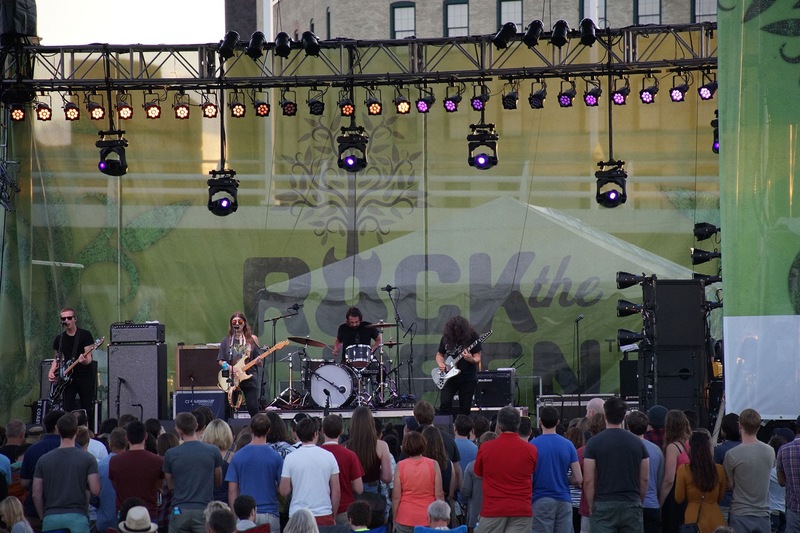 I also have been honored to have opened the Rock the Green shows over the past several years. 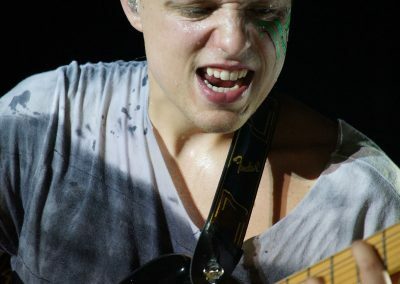 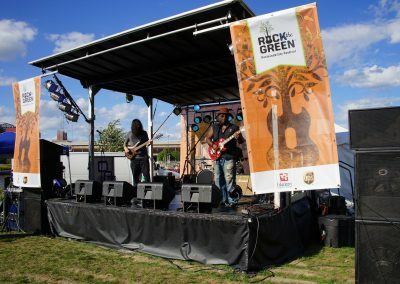 Rock the Green is one of my favorite gigs to play. 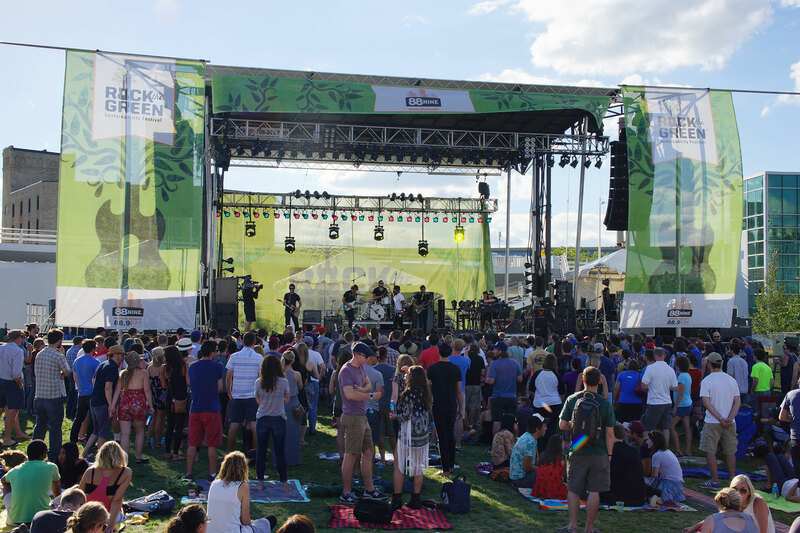 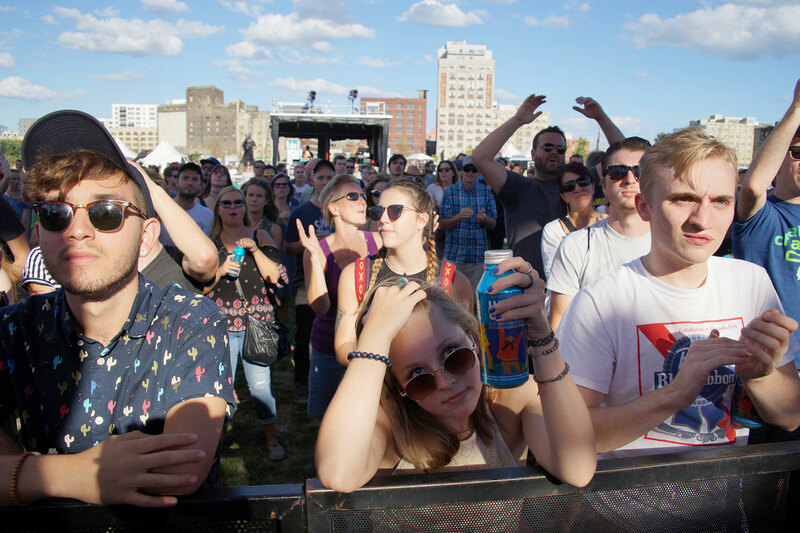 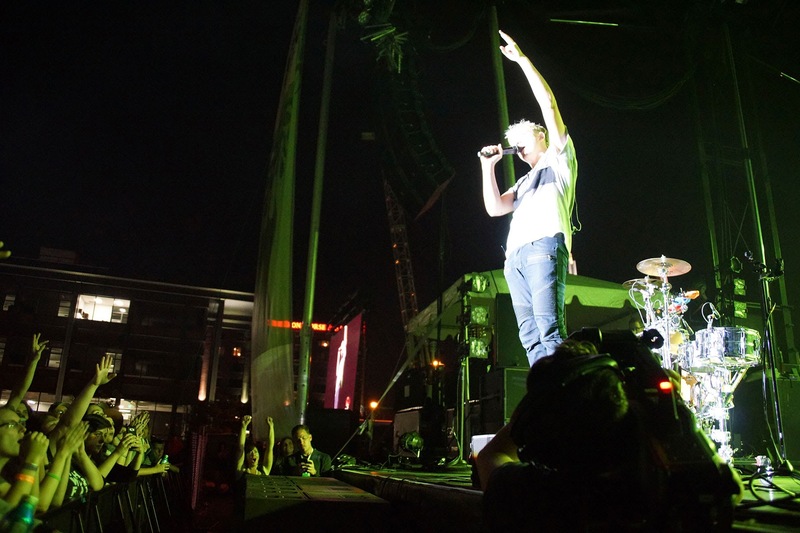 Rock the Green: What should fans expect when they see you at Rock The Green? 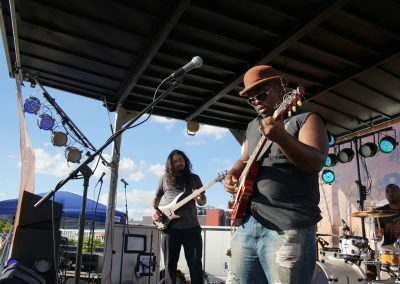 Evan Christian: They’ll see me playing first acoustic and then with my blues/rock trio. 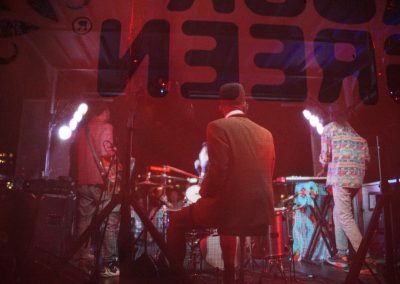 They’ll hear originals that are unreleased at the moment too, which should be fun to play as well as for the audience to hear. 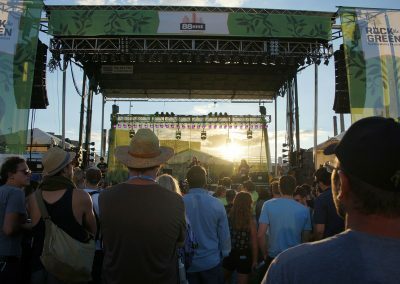 Rock the Green: Are there other artists on the Rock The Green line-up you’re especially excited to see or collaborate with? 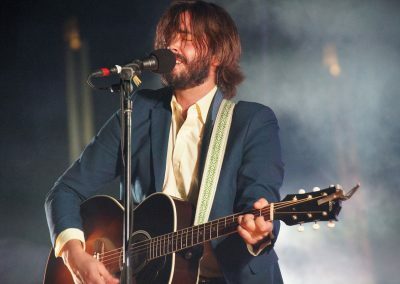 Evan Christian: I’m excited about all of them but stoked to see Trapper Schoepp because they are all from here. 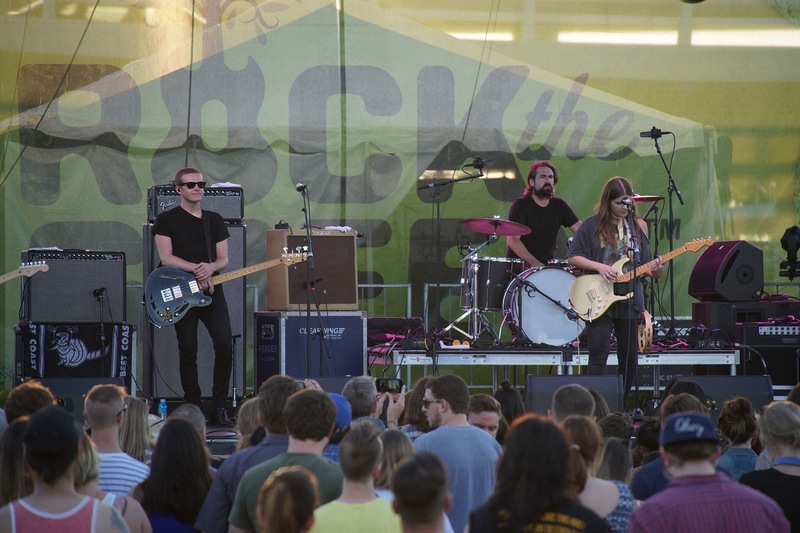 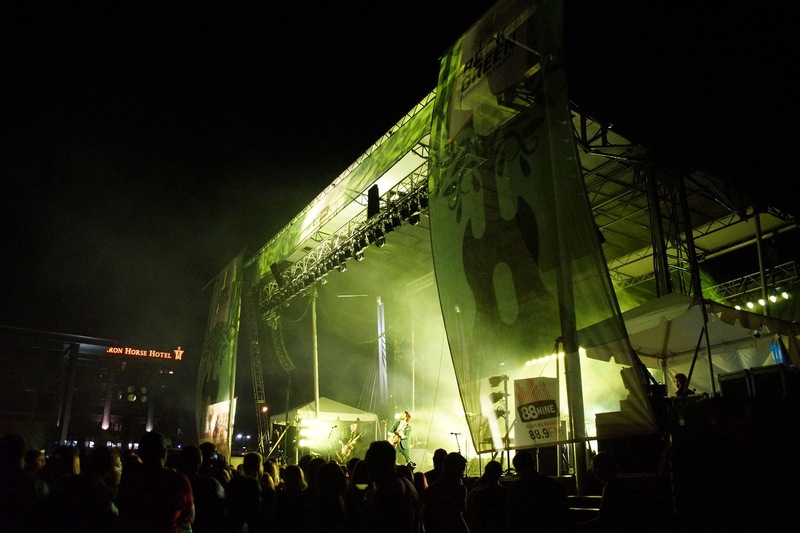 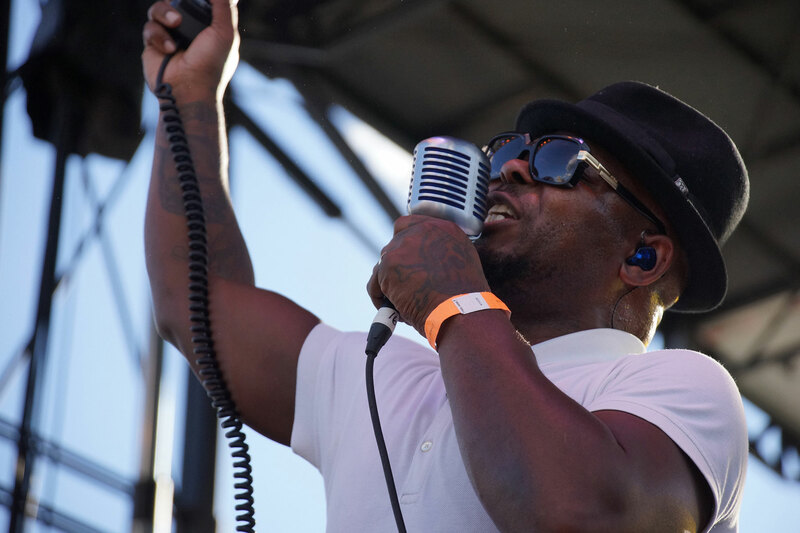 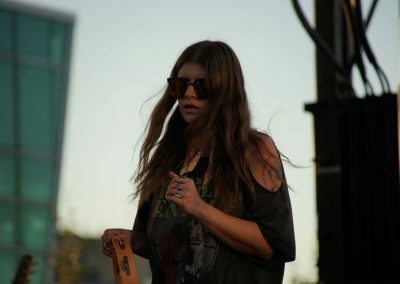 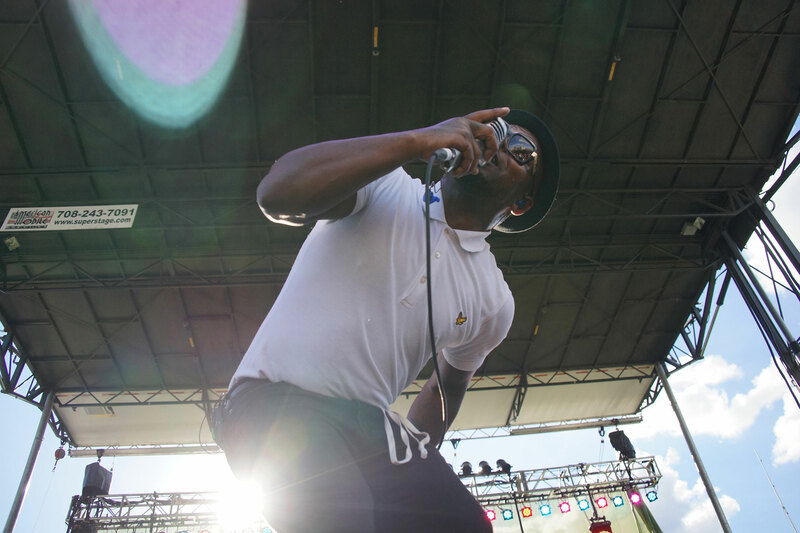 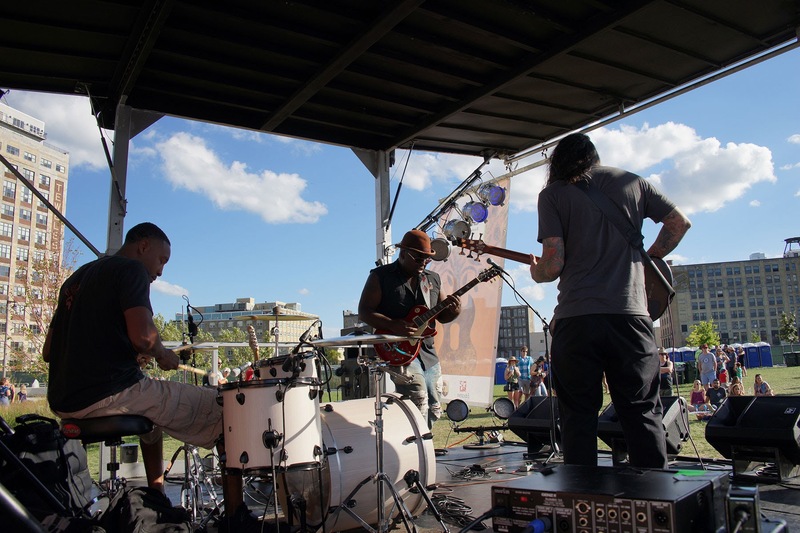 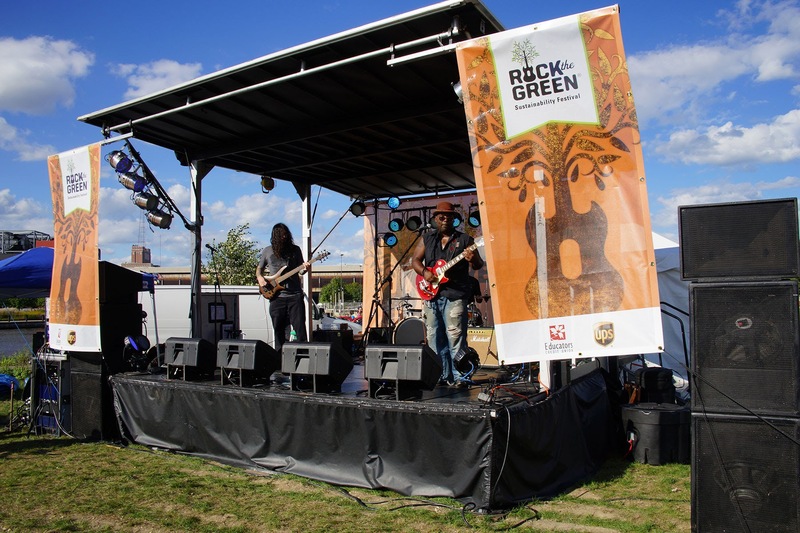 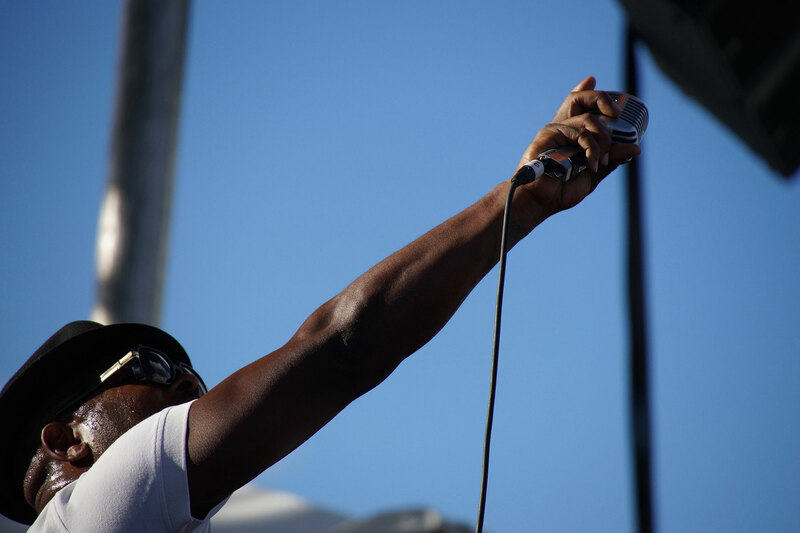 Rock the Green: You have a history of performing at Rock the Green events, like last year’s Earth Day celebration. 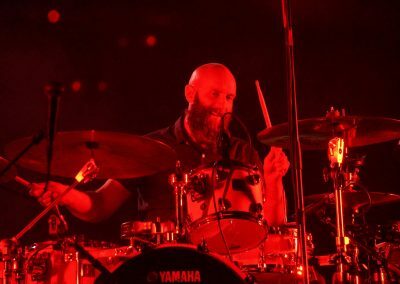 How did that gig go? 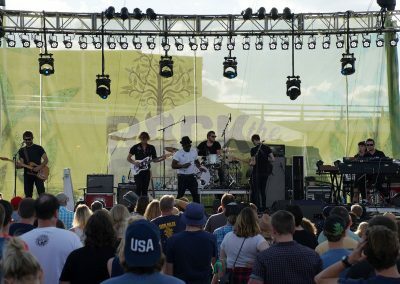 Evan Christian: Earth Day went great. 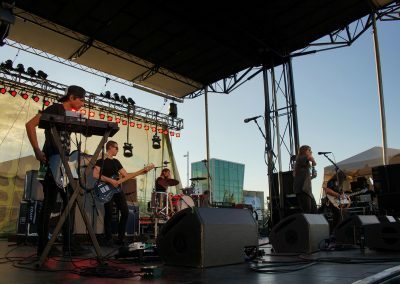 It was such an awesome friendly crowd and a great cause too! 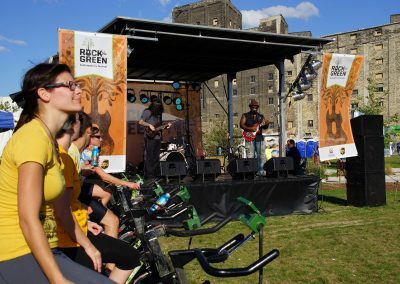 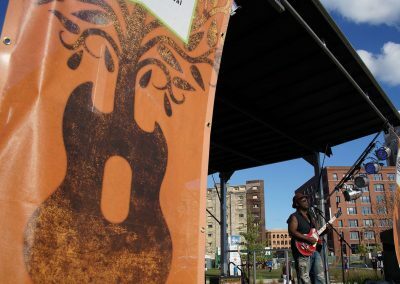 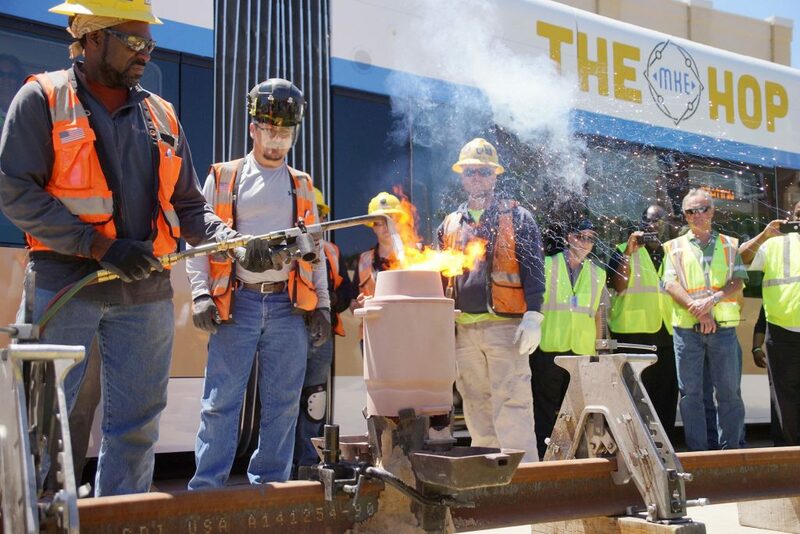 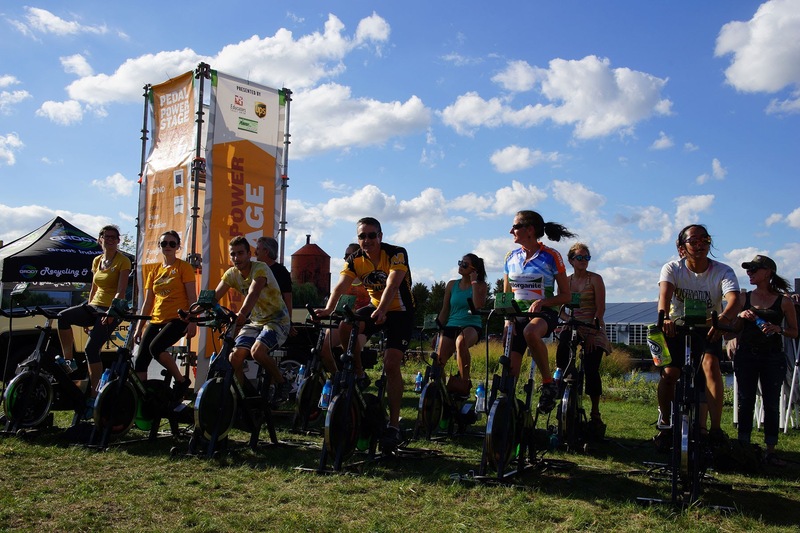 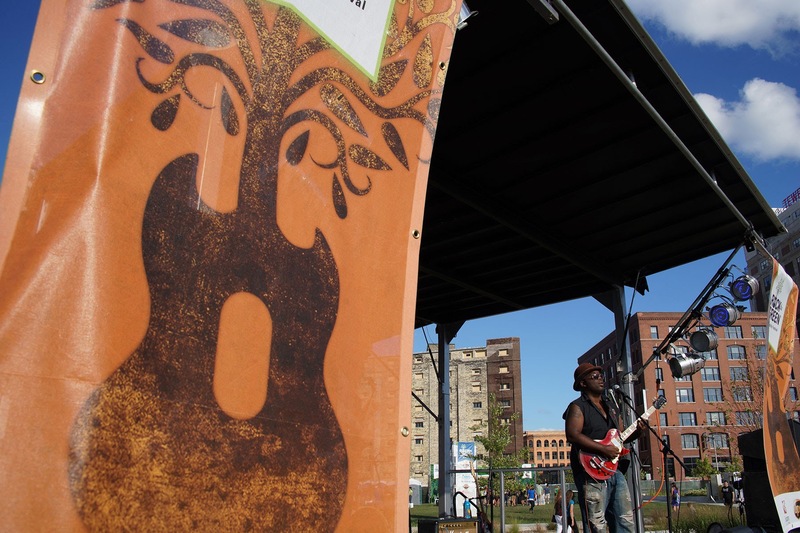 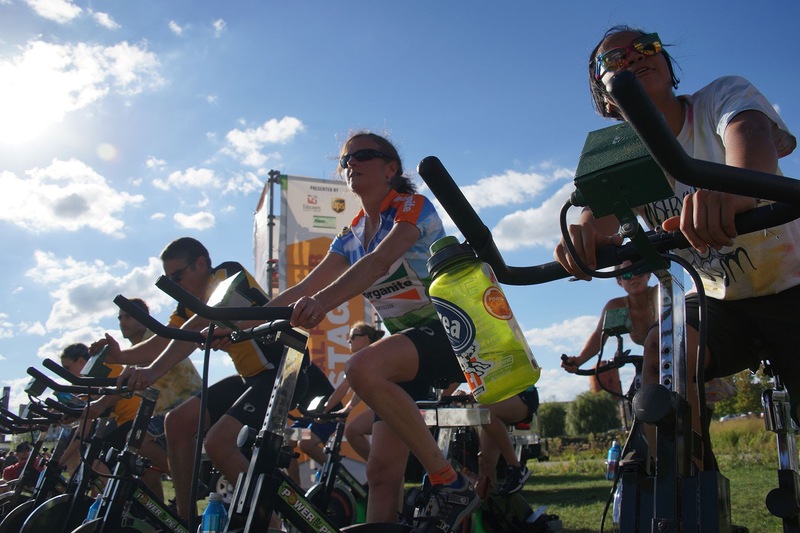 Rock the Green: As you know, the focus of Rock the Green is sustainability. 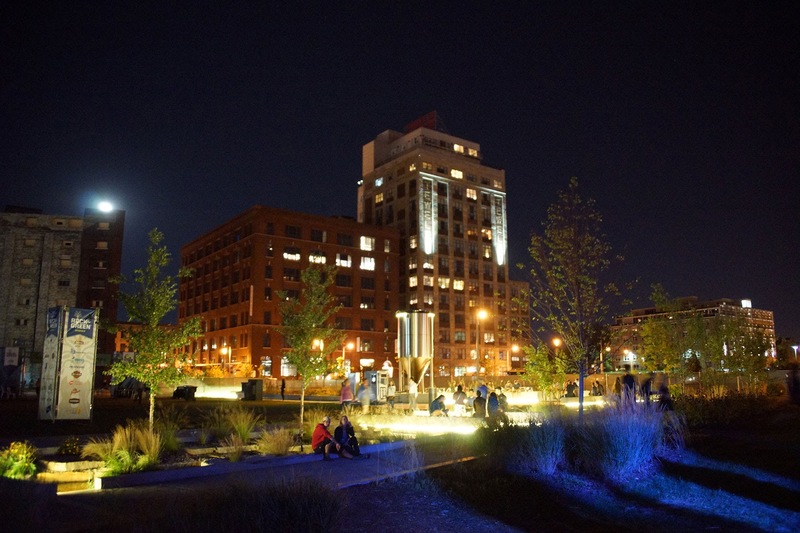 Why is sustainability important to you as an artist? 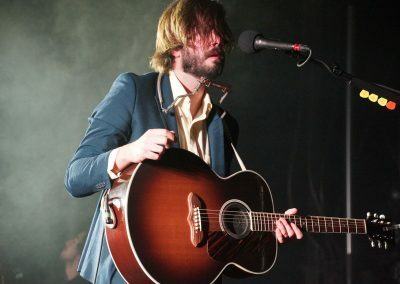 Evan Christian: I think it is very important. 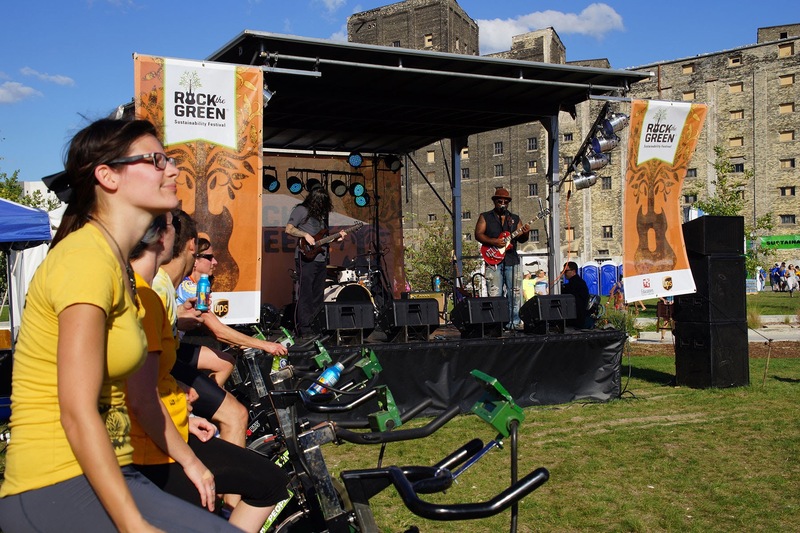 Anytime and anyway we can bring awareness to the preservation of our environment is a great thing in my opinion. 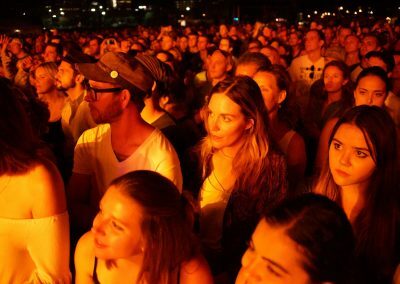 It’s important because living in harmony with our surroundings is something that should be taken seriously in my opinion. Rock the Green: Are there any particular things that you do when you are touring to “rock the green?” If so, could you please share some. 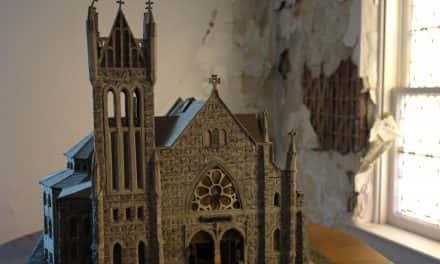 Evan Christian: I try to do practical things like disposing of my trash properly and being mindful of how much trash I am creating. 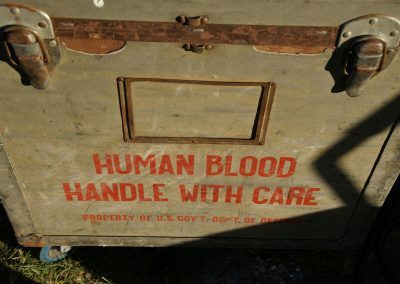 If there’s a less wasteful option I try to take it. 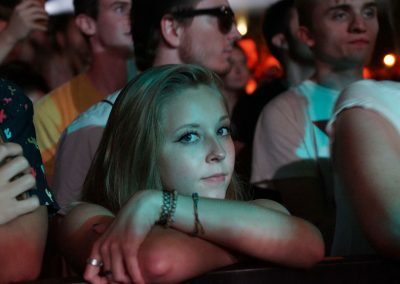 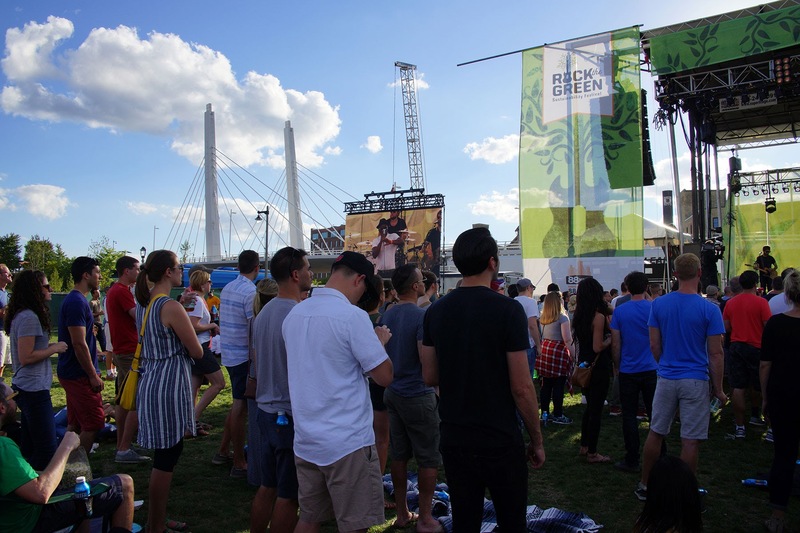 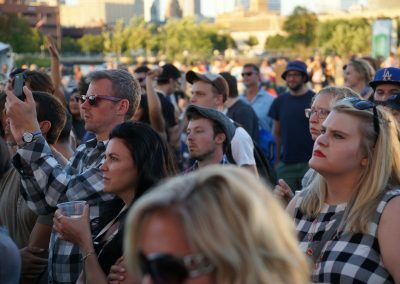 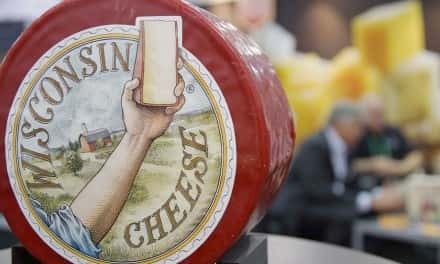 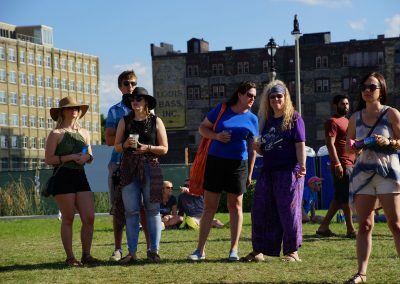 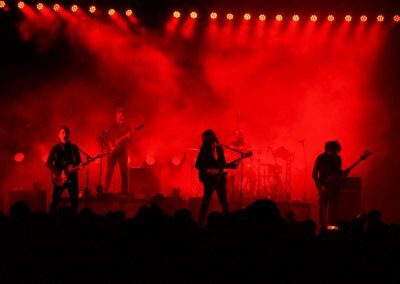 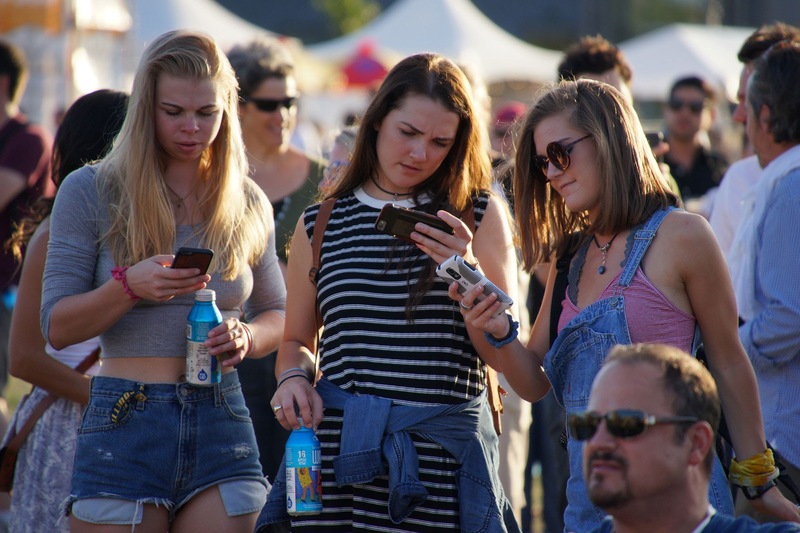 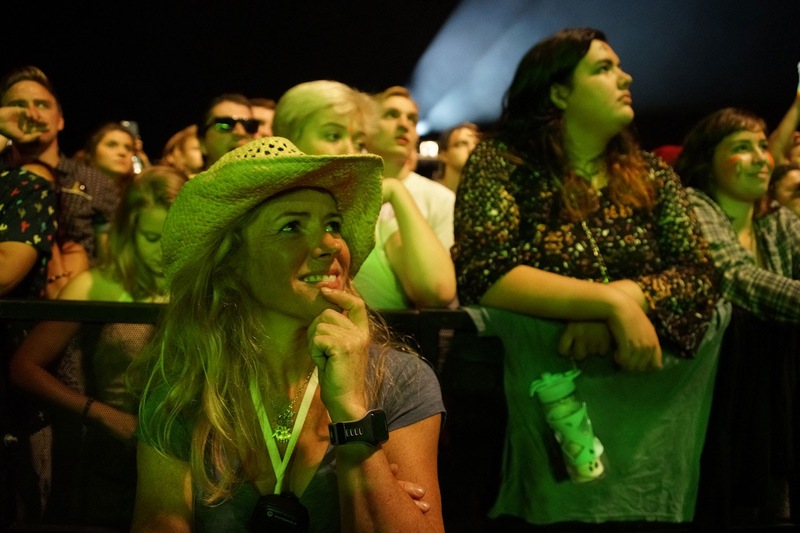 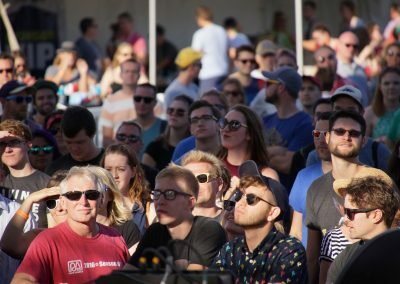 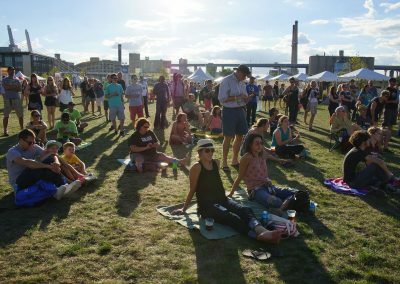 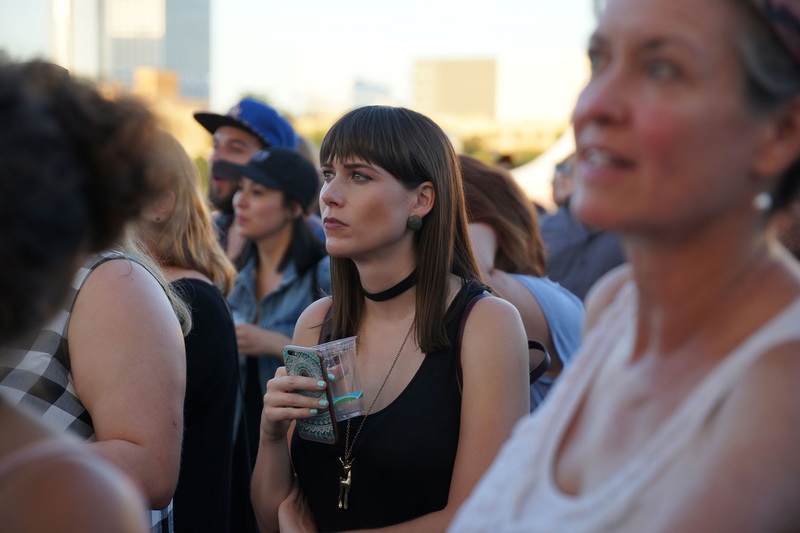 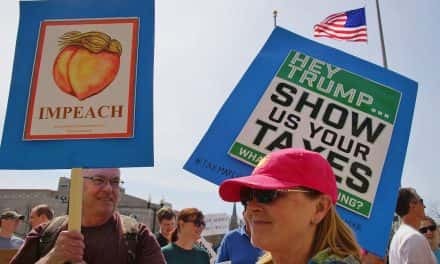 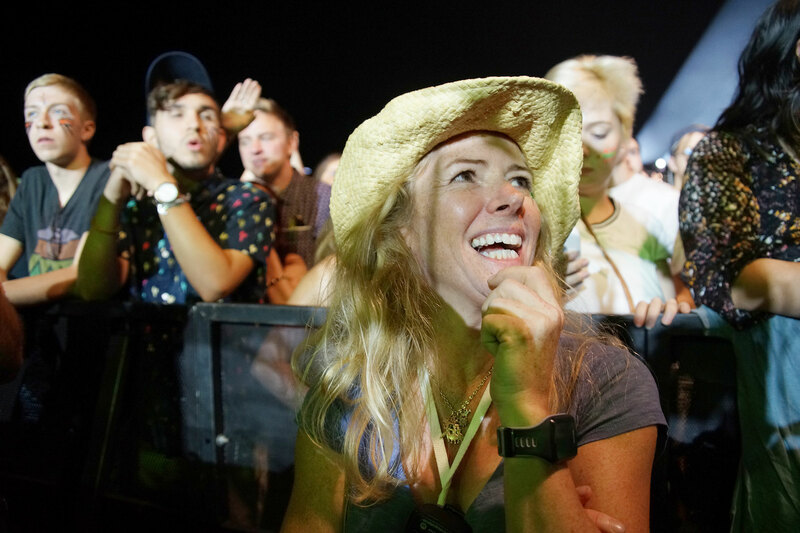 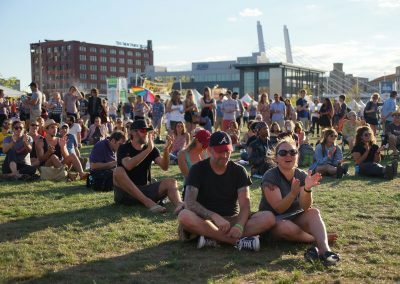 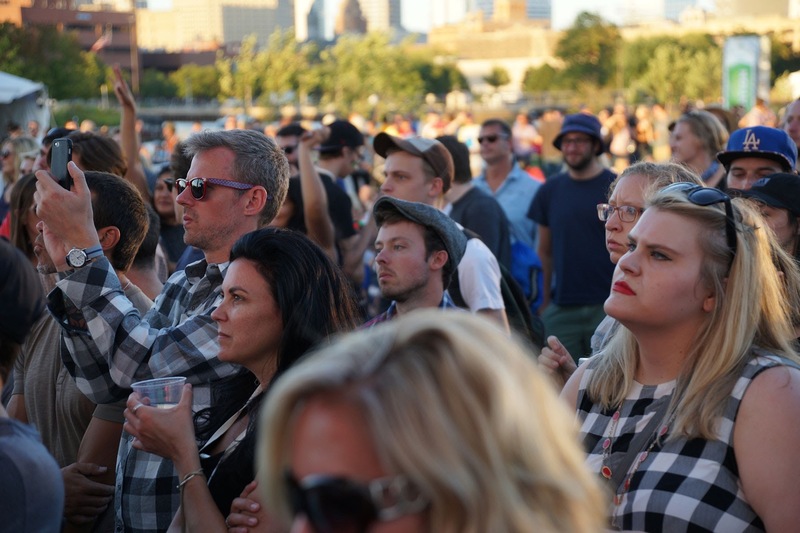 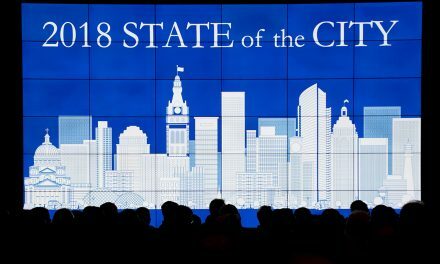 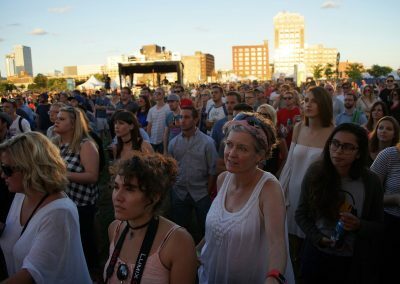 Rock the Green: Do you have any advice to concert attendees or folks reading this blog about simple ways people can be more mindful about sustainability? 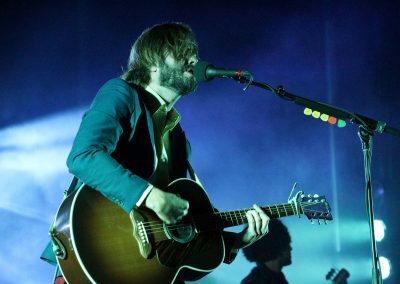 Evan Christian: To be open minded and supportive of the cause because it’s of benefit to all of us. 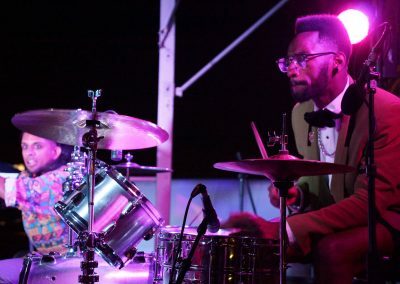 “Groovy groovy jazzy funky pounce bounce dance,” the opening lines of early 90’s British jazz-rap group, US3, might help pin-point the sound of one of Milwaukee’s most diverse musical treasures, Foreign Goods.Categorizing their sound is a delightful challenge for your ear.With heavy ties to the experimental jazz scene, a world-music vibe that links the band to everything from Ethiopian music to Caribbean grooves to north Indian soundscapes, and with poetic vocals delivered by MC Klassik, Foreign Goods is a hard band to plug into a genre.Perhaps that’s why on their Facebook page, Foreign Goods list their genre as No Genre, at all. 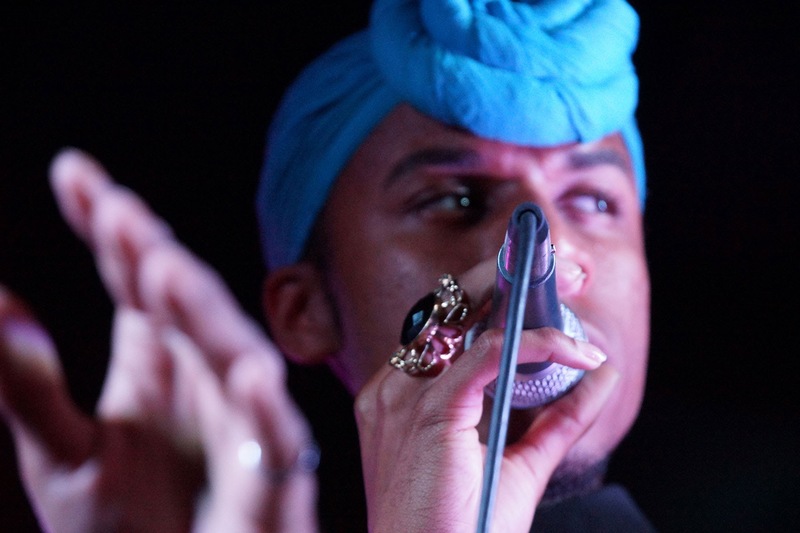 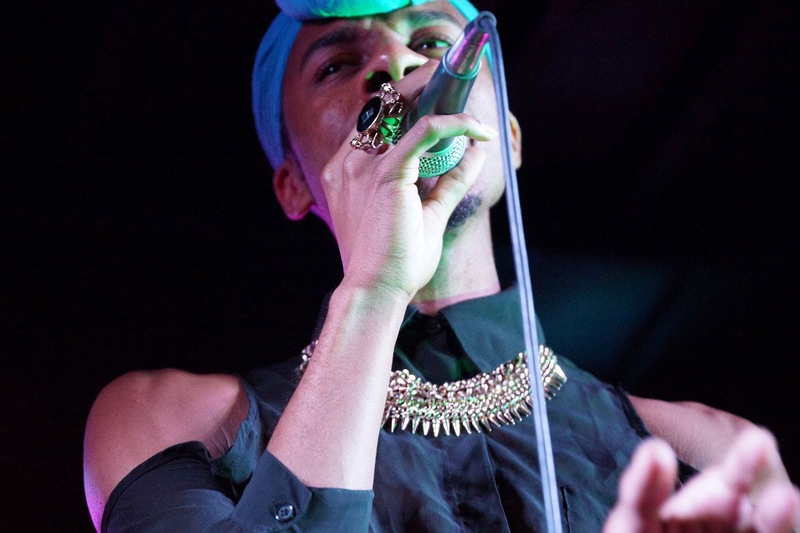 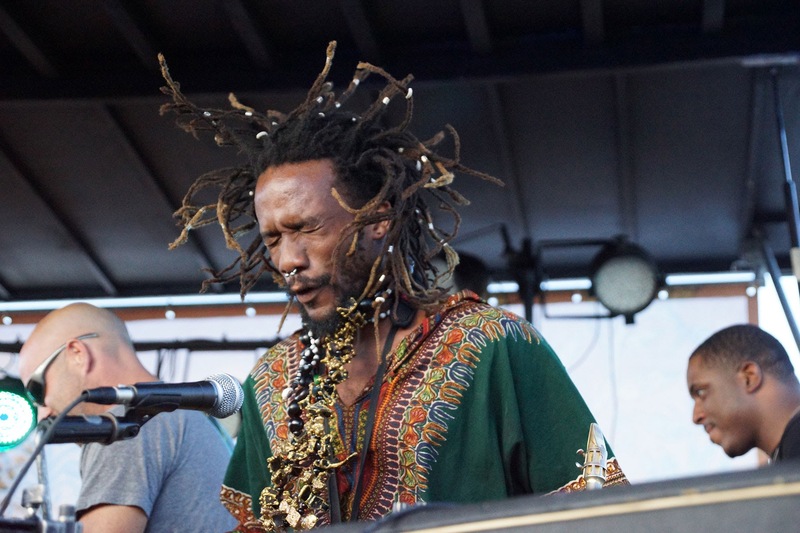 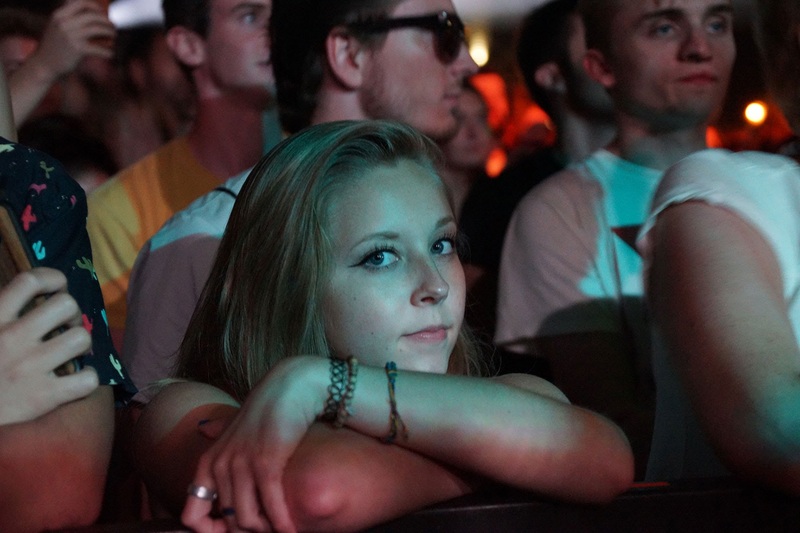 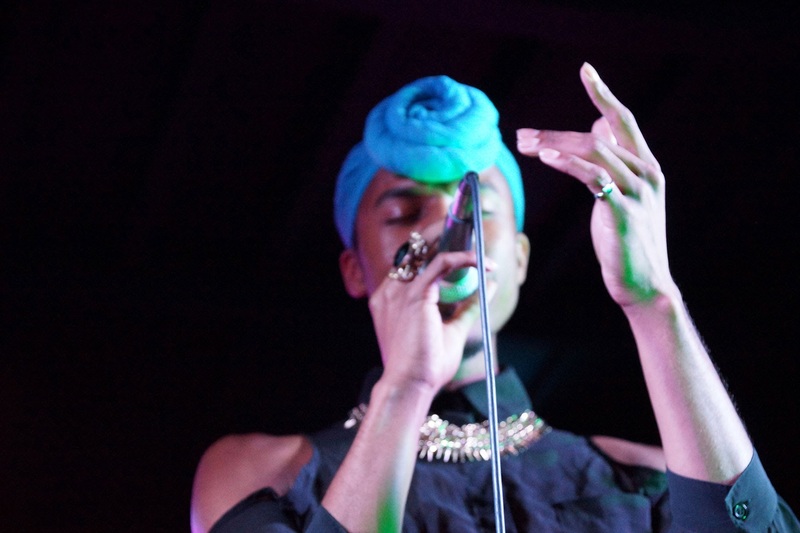 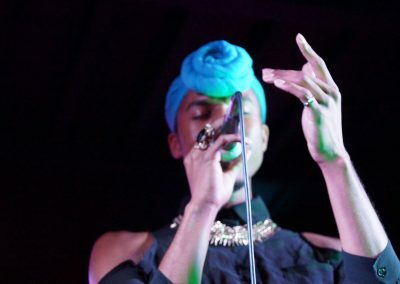 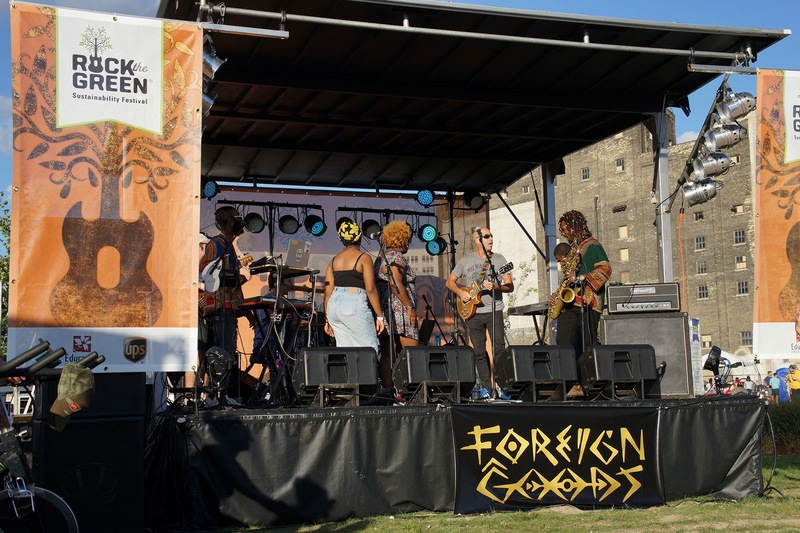 Foreign Goods’ music transcends styles, age groups, and barriers. 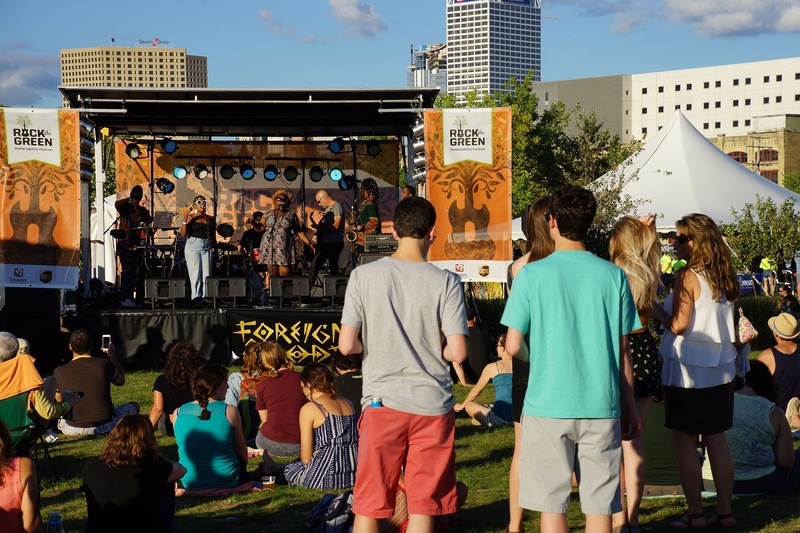 For 88.9 Radio Milwaukee listeners, Foreign Goods may be the sound-child on DJ Tarik Moody’s “Rhythm Lab Radio” show as well as on DJ Marcus Doucette’s “Sound Travels” program. 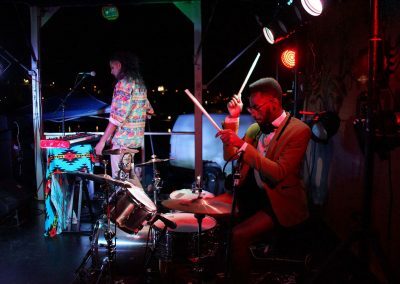 It’s eclectically infectious to put it lightly. 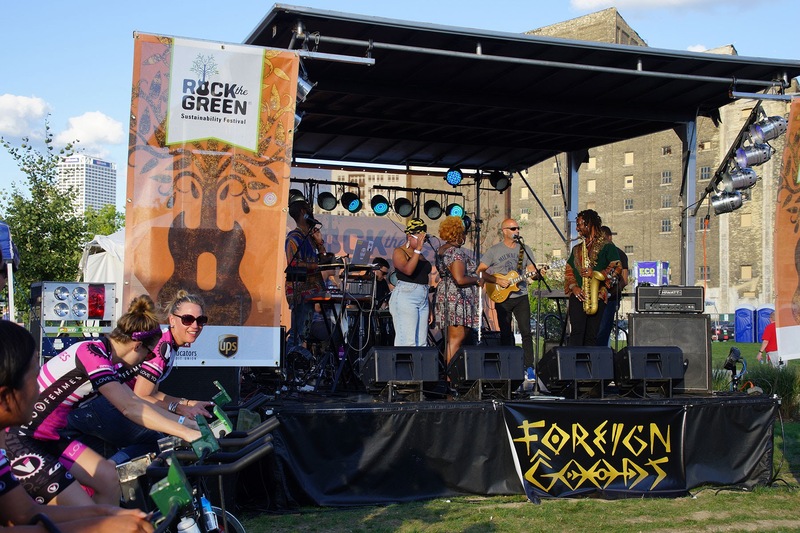 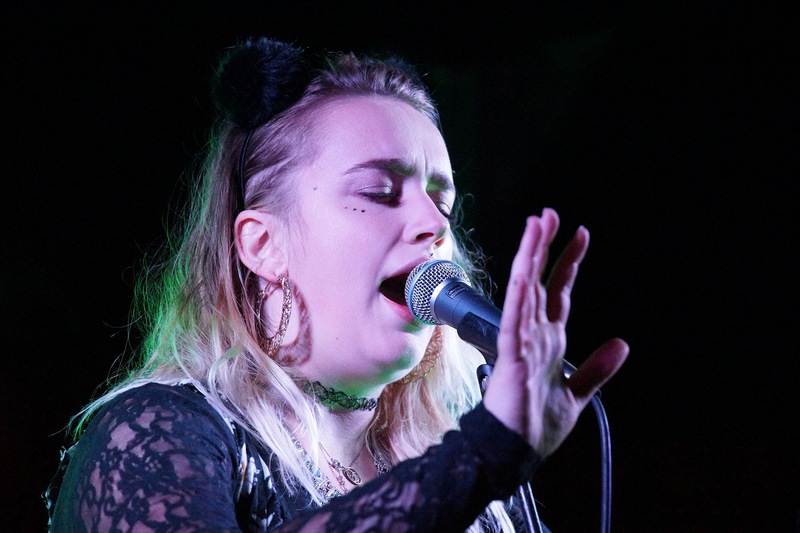 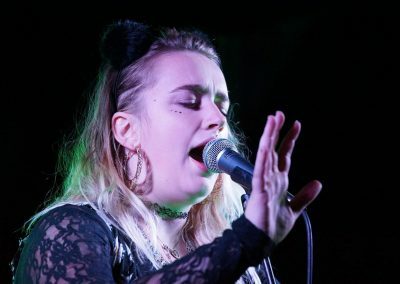 Along with their good friends New Age Narcissism, Foreign Goods might be the most ambitiously eclectic group to grace the Pedal Power Stage at Rock the Green. 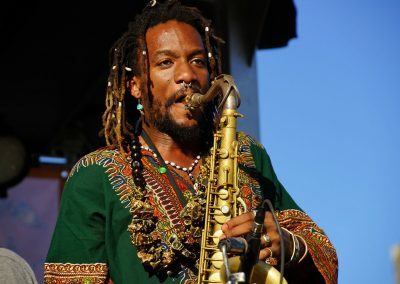 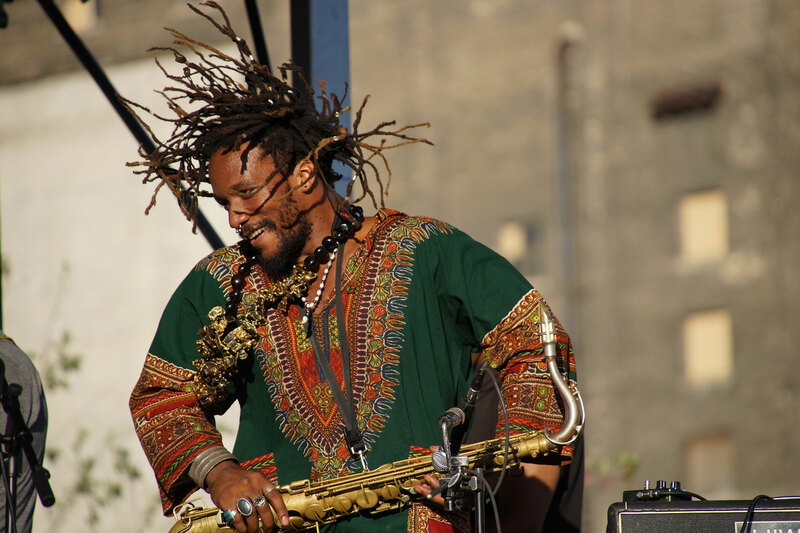 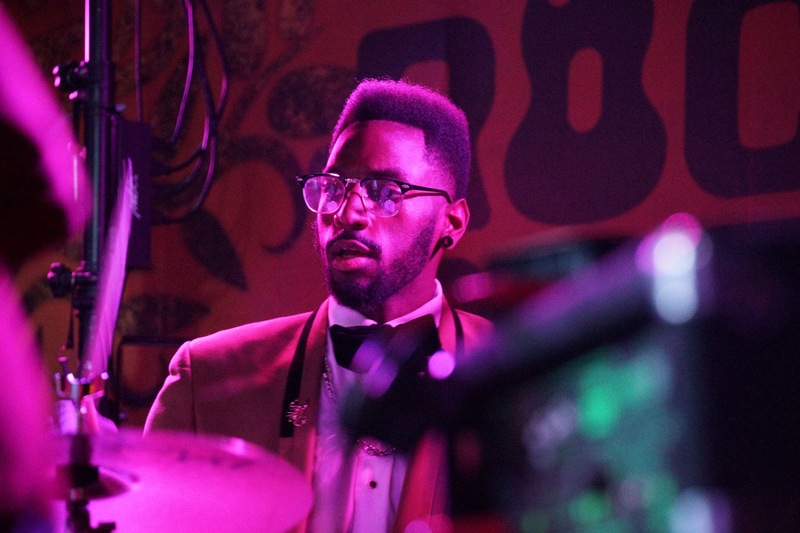 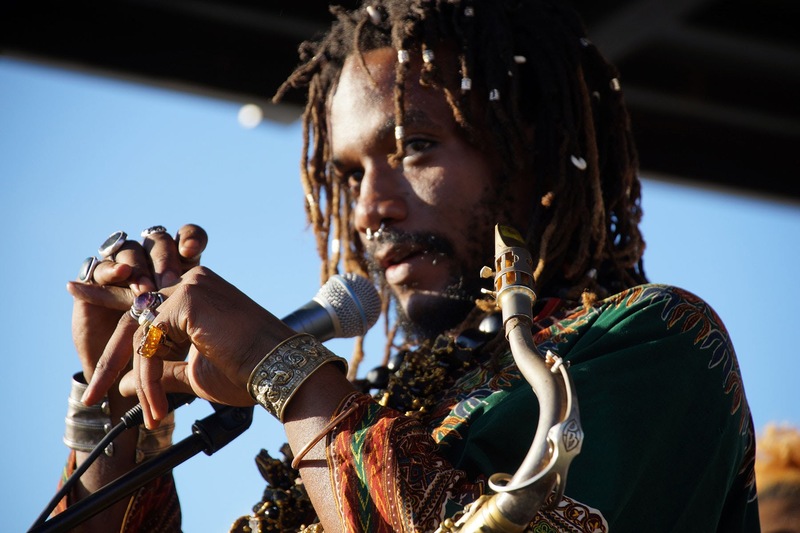 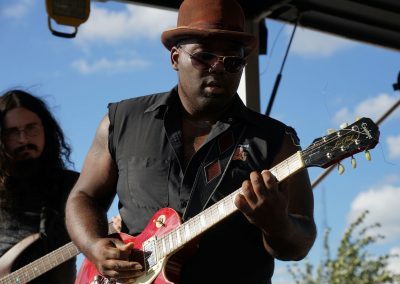 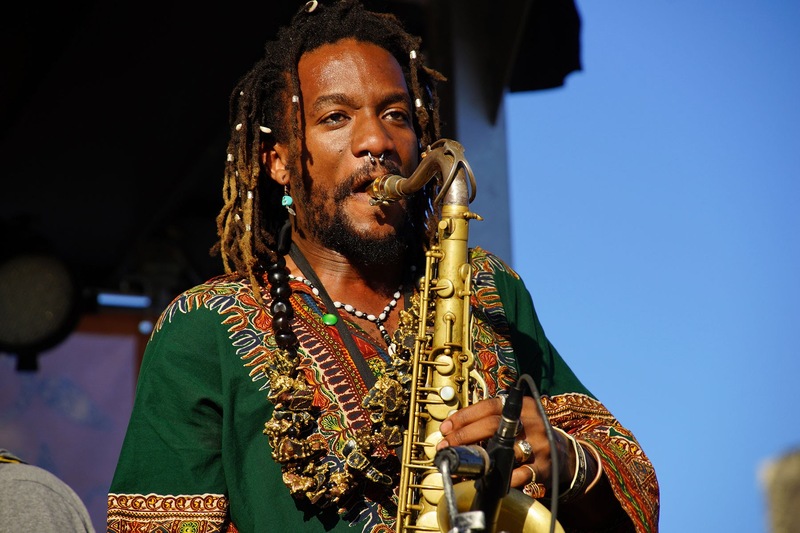 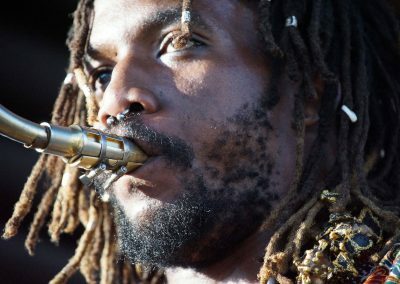 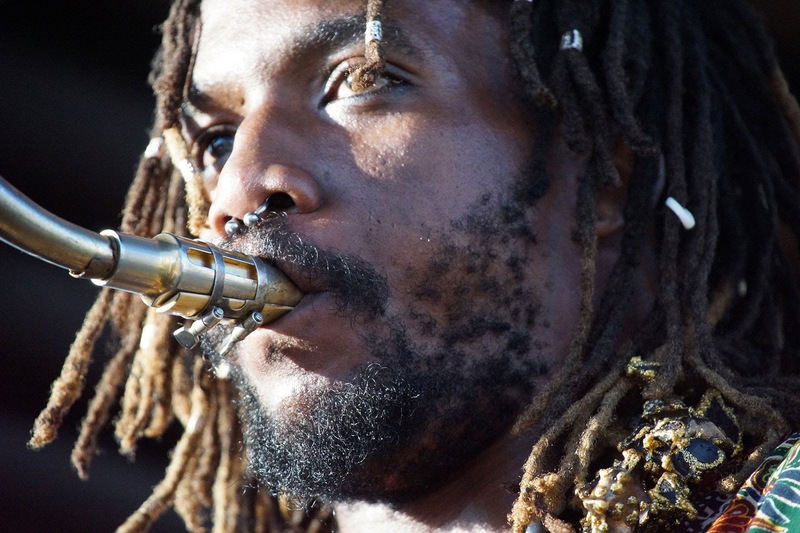 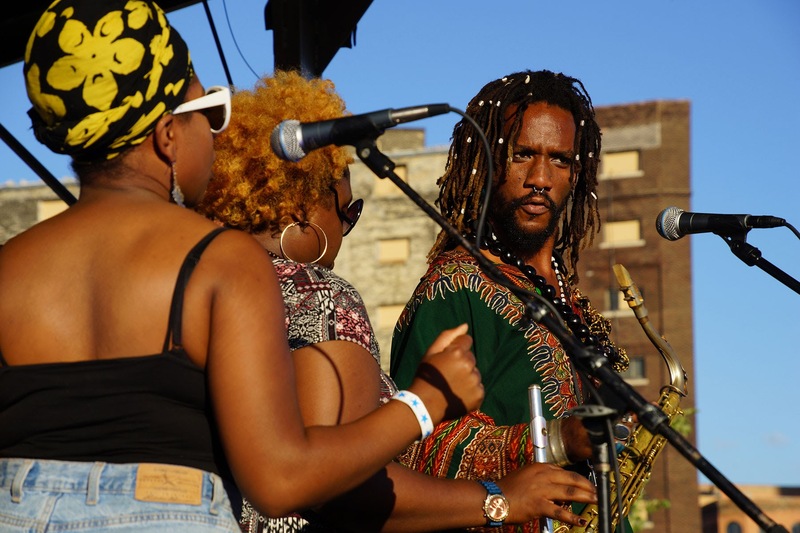 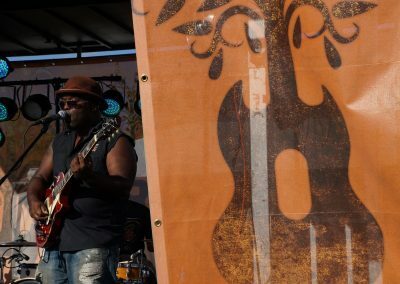 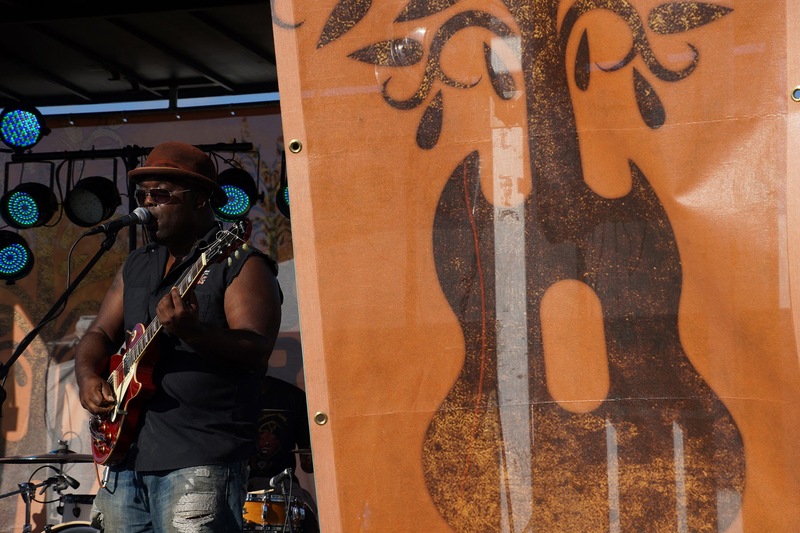 We recently had a chance to connect with band leader, Jay Anderson (who plays saxophone) and hear some of his thoughts on playing the sustainability festival in a couple of weeks. 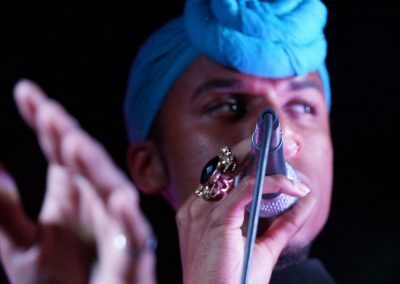 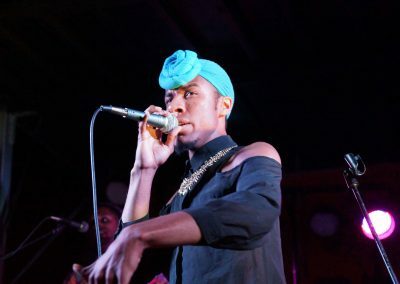 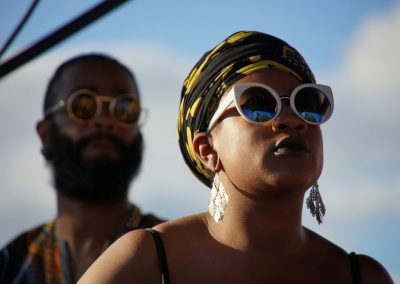 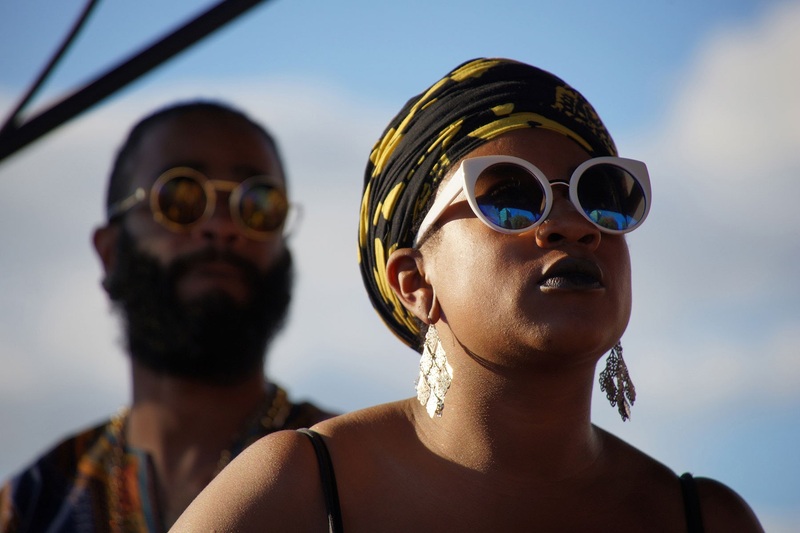 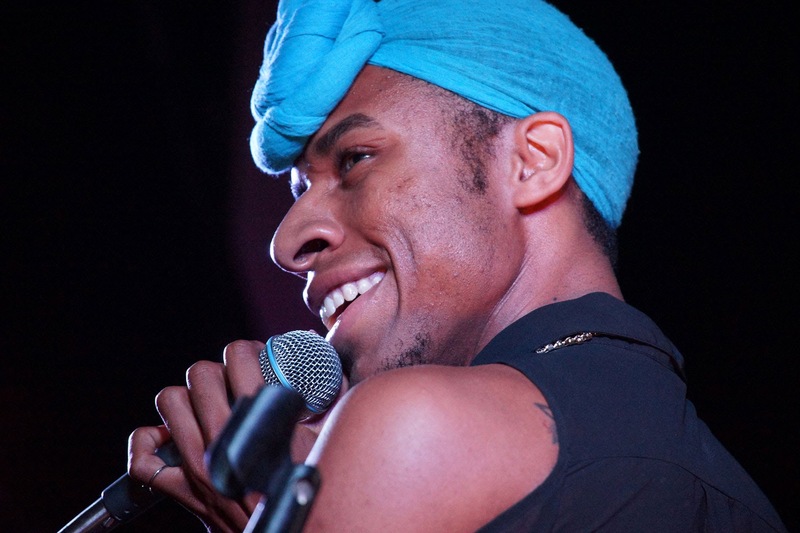 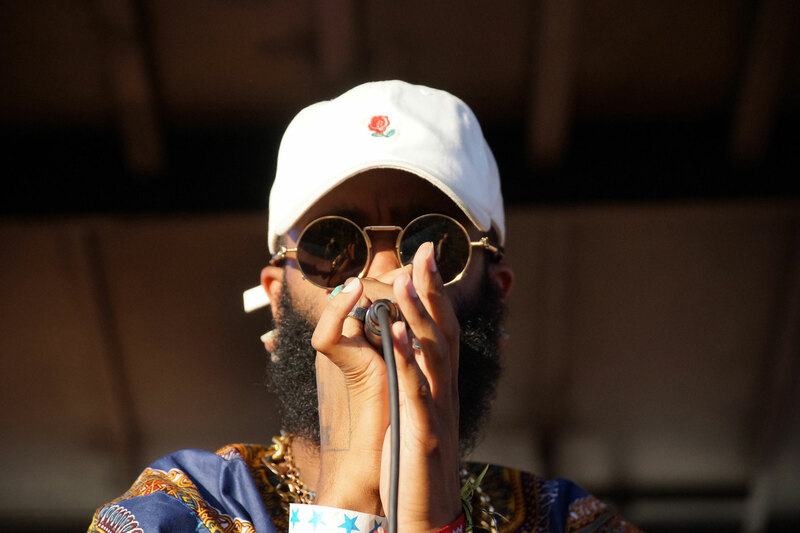 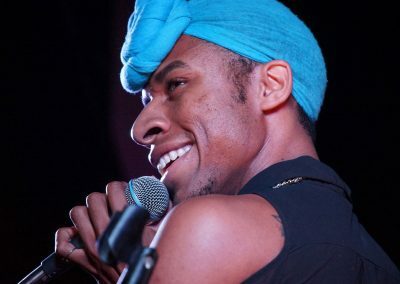 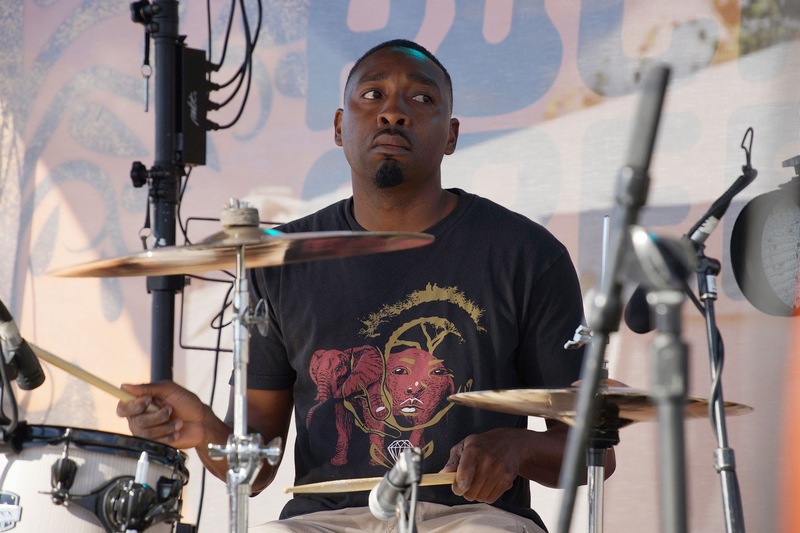 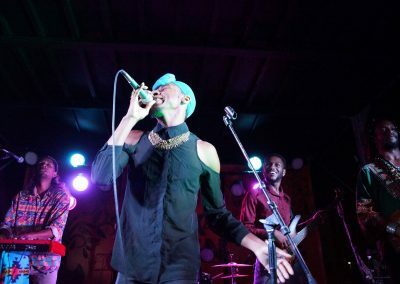 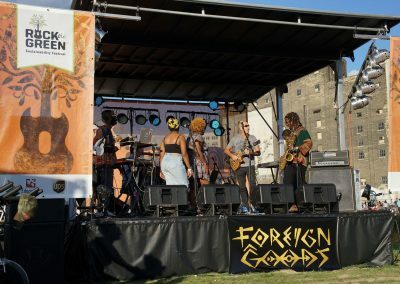 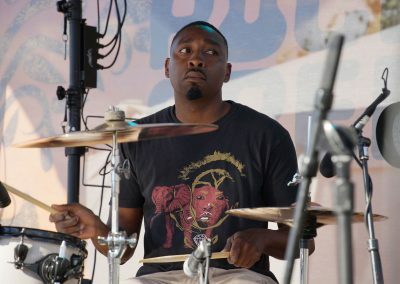 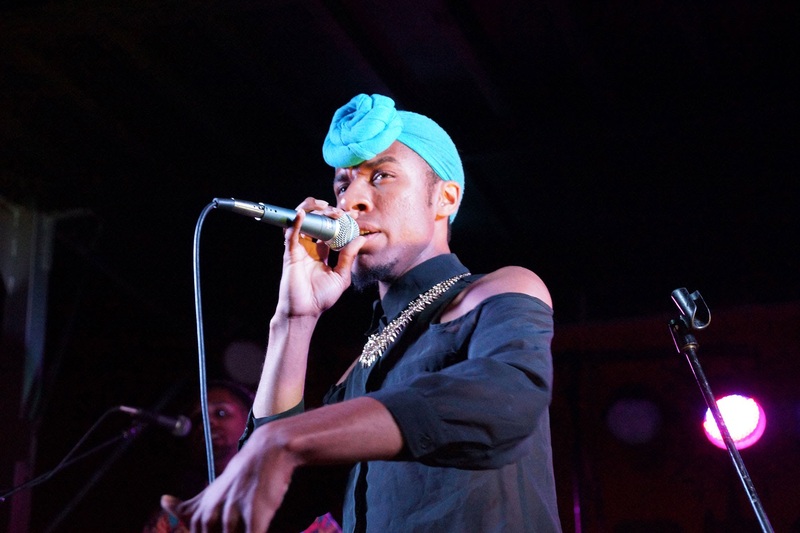 Jay Anderson (Foreign Goods): Foreign Goods plays Black American Music, and we pride ourselves on linking our music to that of the African Diaspora. 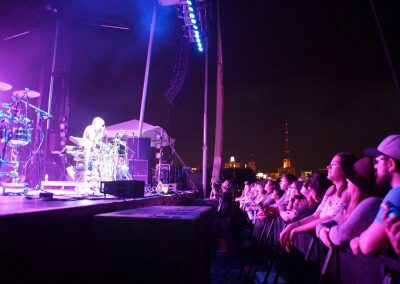 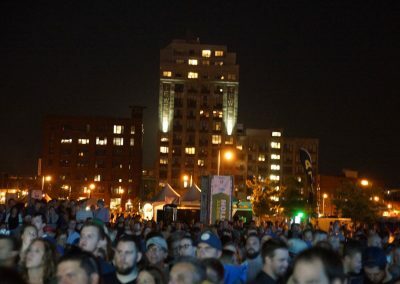 Rock the Green: What have been some of your favorite concert memories playing in and around Milwaukee? 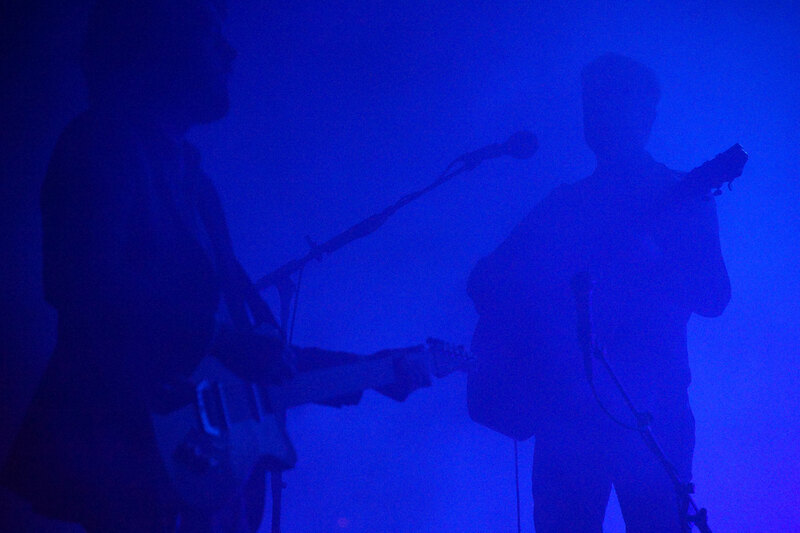 Jay Anderson: Our first show at Bremen Café was awesome. 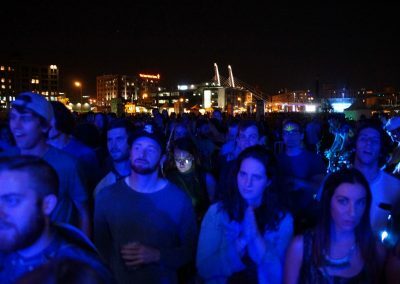 We were about ten times overcapacity and everyone loved the music and danced and enjoyed themselves. This was by far one of my best memories. 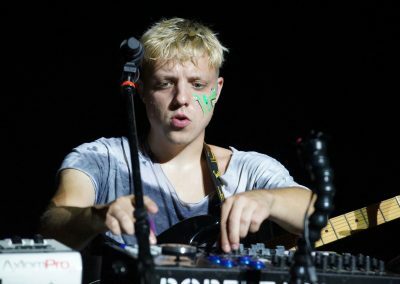 Jay Anderson: They should expect to dance and be surprised at every turn. 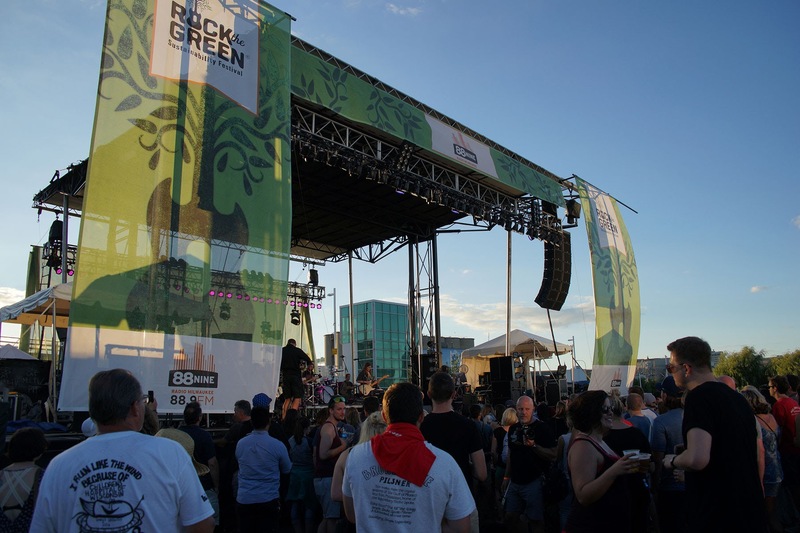 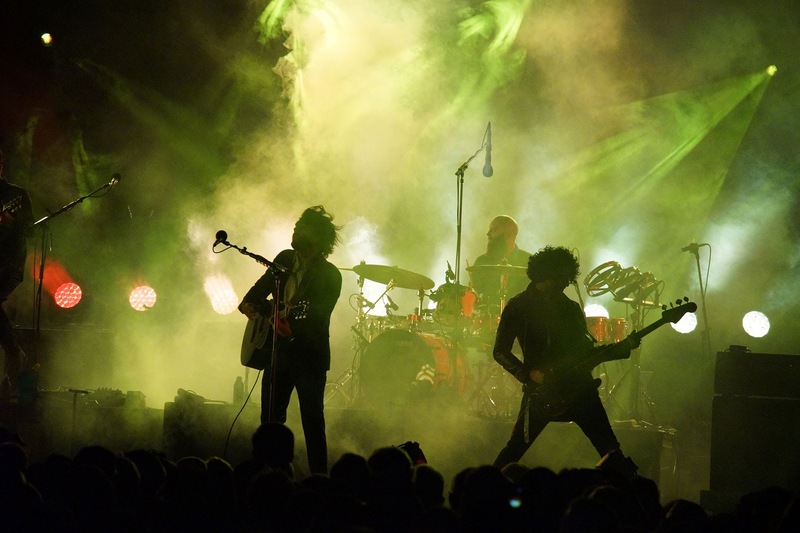 Rock the Green: Are there other artists on the RTG line-up you’re especially excited to see or collaborate with? 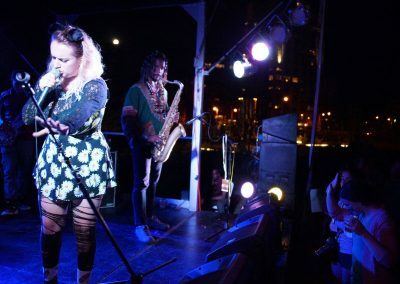 Jay Anderson: We love the guys in New Age Narcissism, and I’m excited to collaborate with Siren (one of their female singers) later that day! 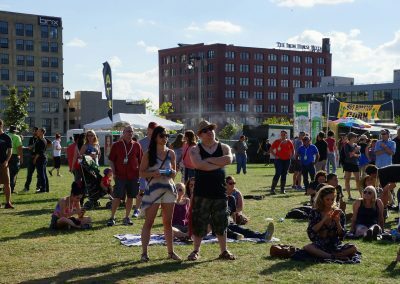 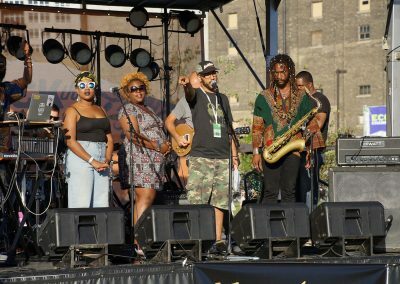 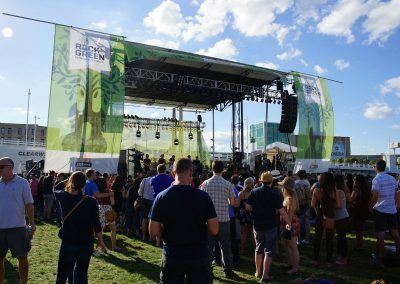 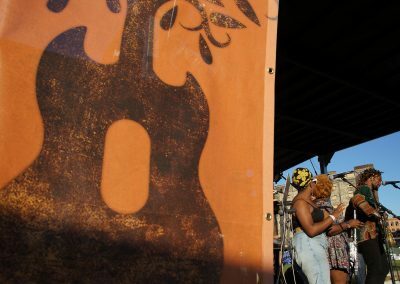 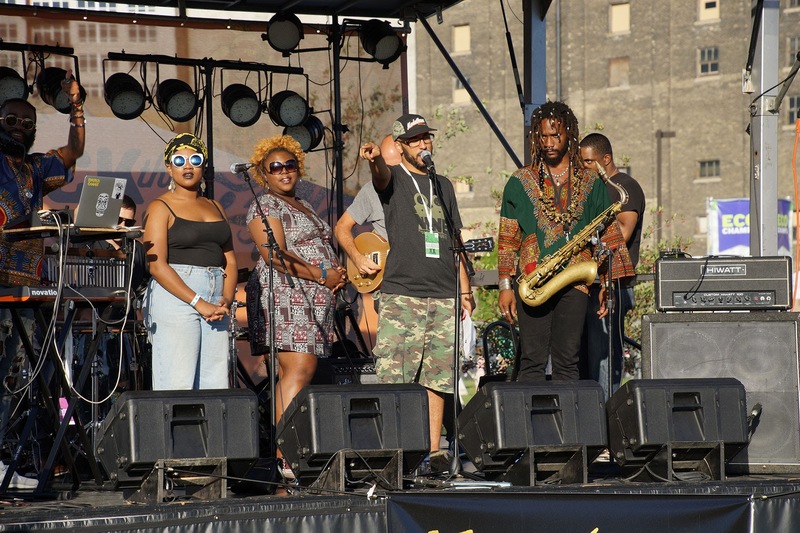 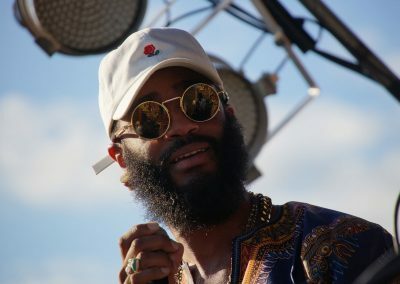 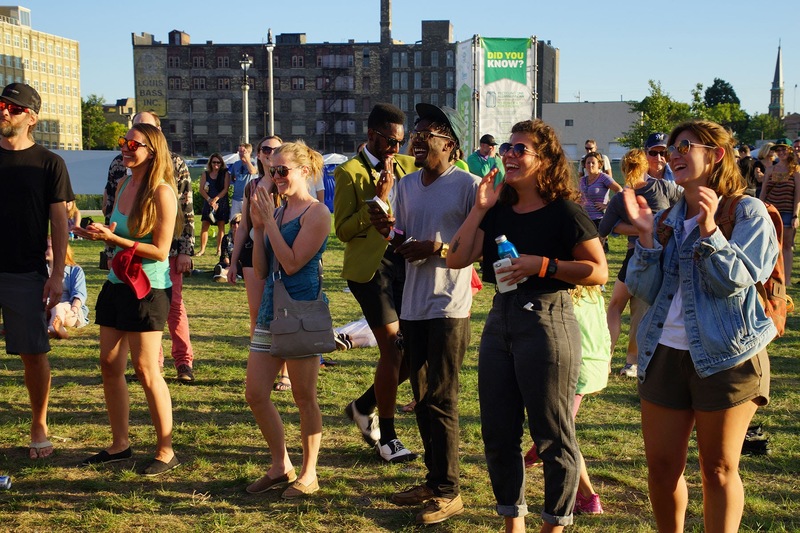 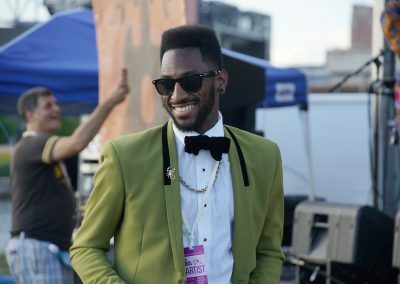 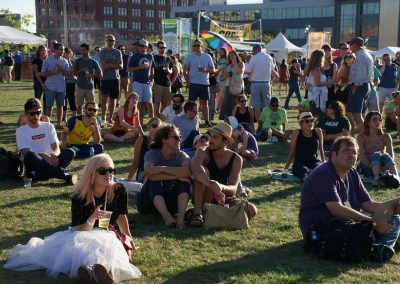 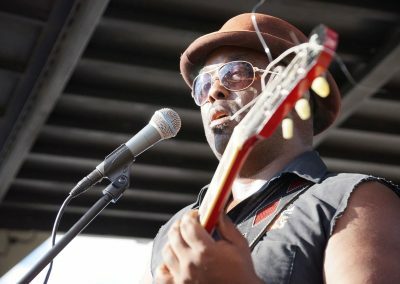 Rock the Green: What do you think is the importance/impact of a festival like RTG in creating a greater sense of unity and community in Milwaukee? 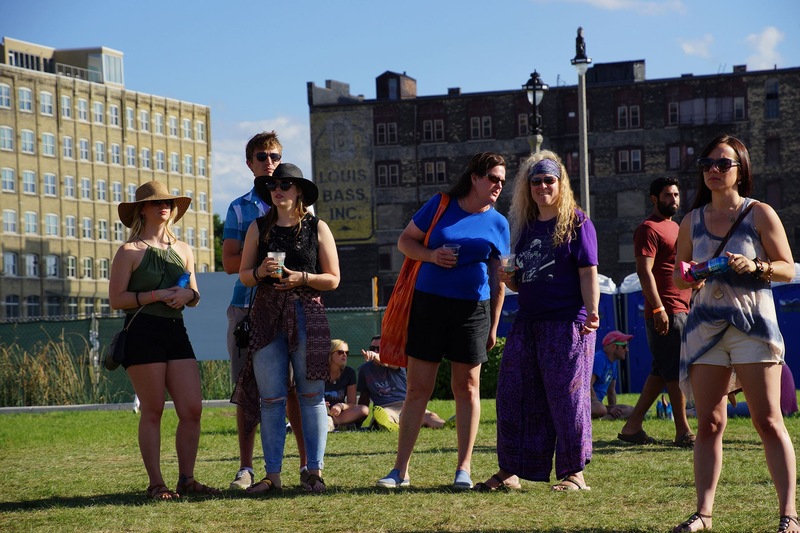 Jay Anderson: It’s important to have various different acts in order to put their separate fan bases in the same space.We want to create an environment at the festival of growing and loving and learning from one another. 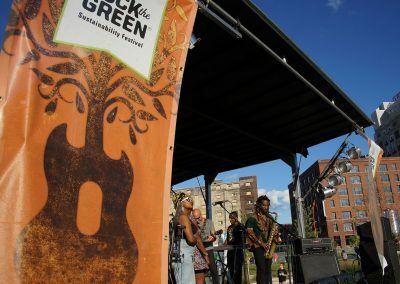 Rock the Green: As you know, the focus of Rock the Green is sustainability.Why is sustainability important to you as an artist? 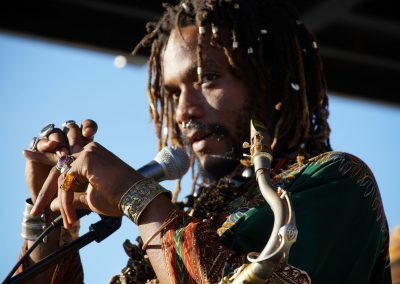 Jay Anderson: Sustainability is important to me as an artist because I was an organic farmer until I was able to sustain myself just on music. 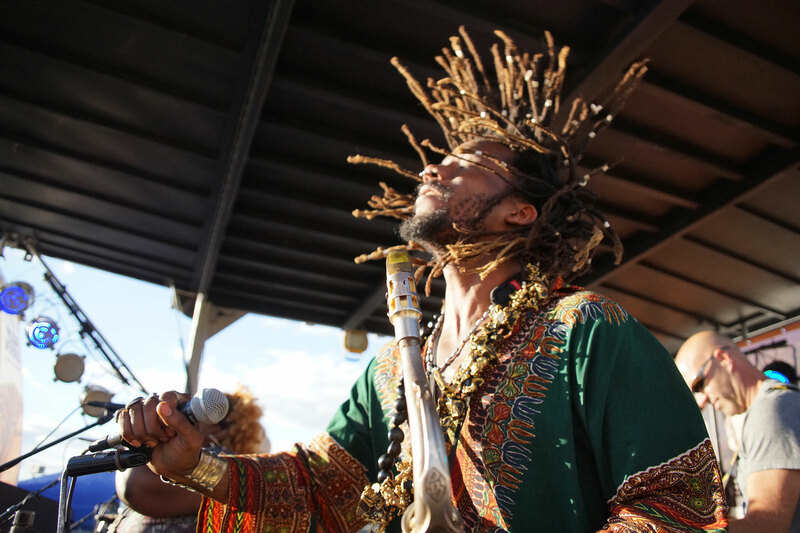 I feel a deep connection to the earth and my surroundings. 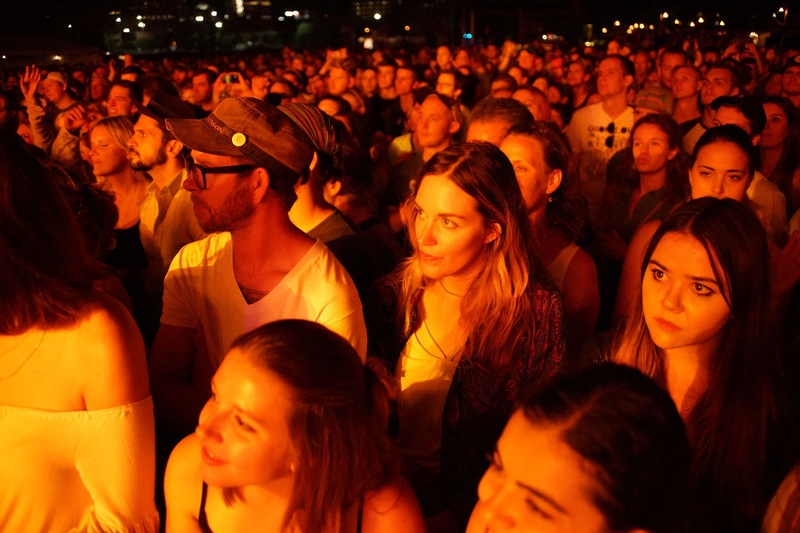 Jay Anderson: I’d encourage others to think about your lives more mindfully. 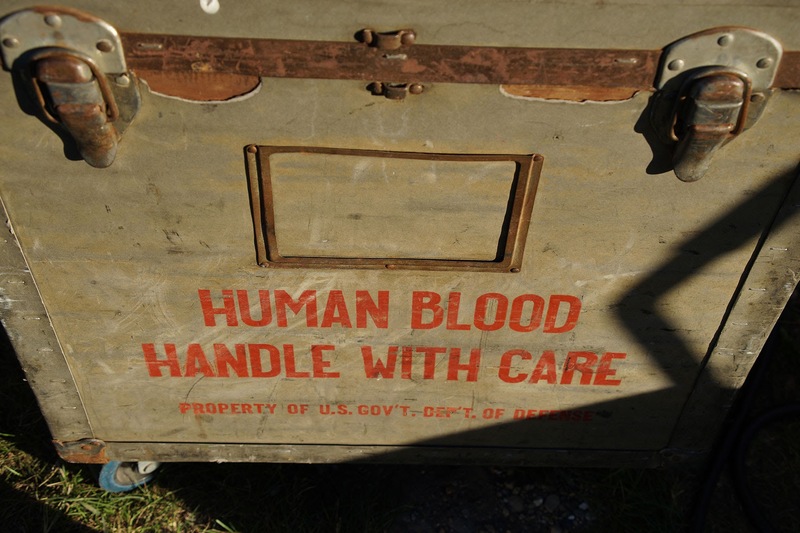 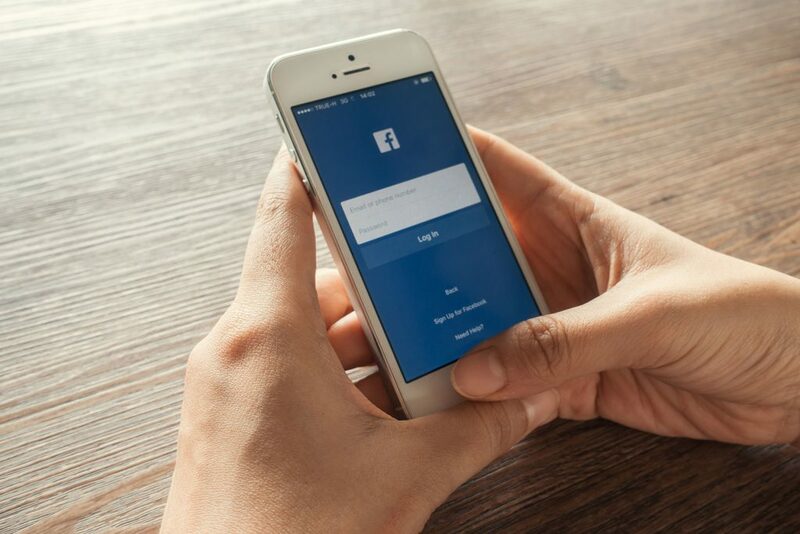 Every time you use something, think about who made it, where did it come from? 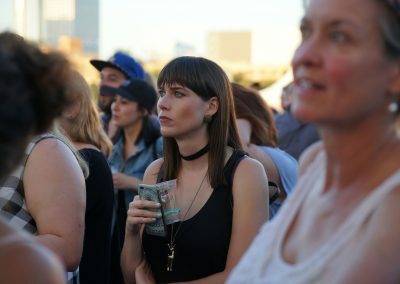 Where is it going after me?